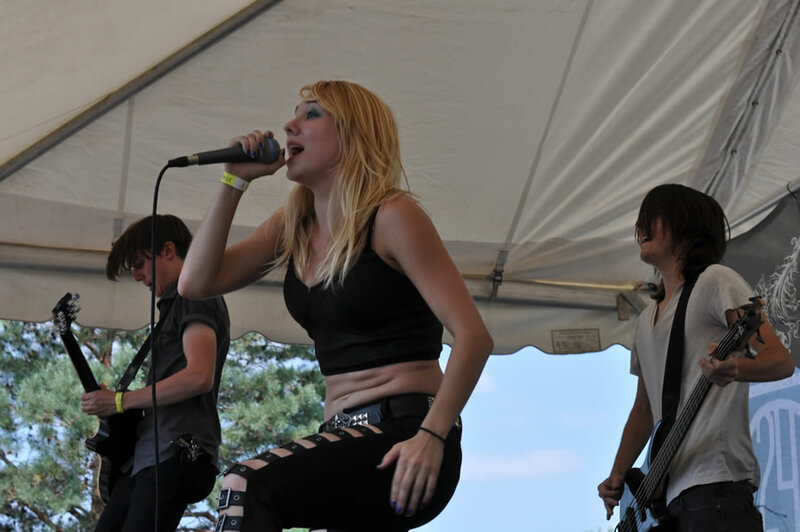 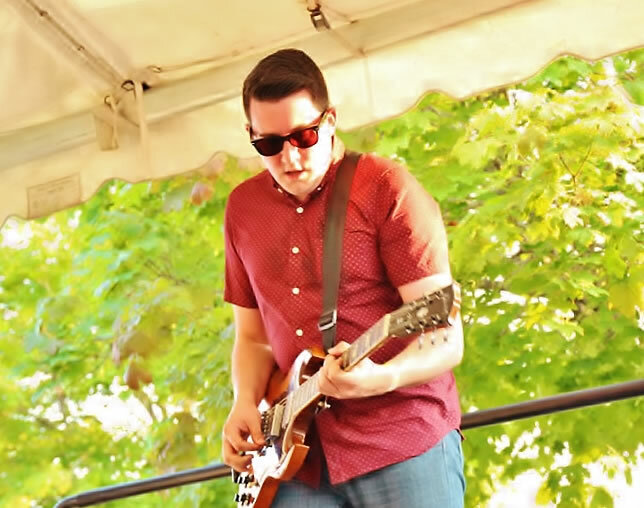 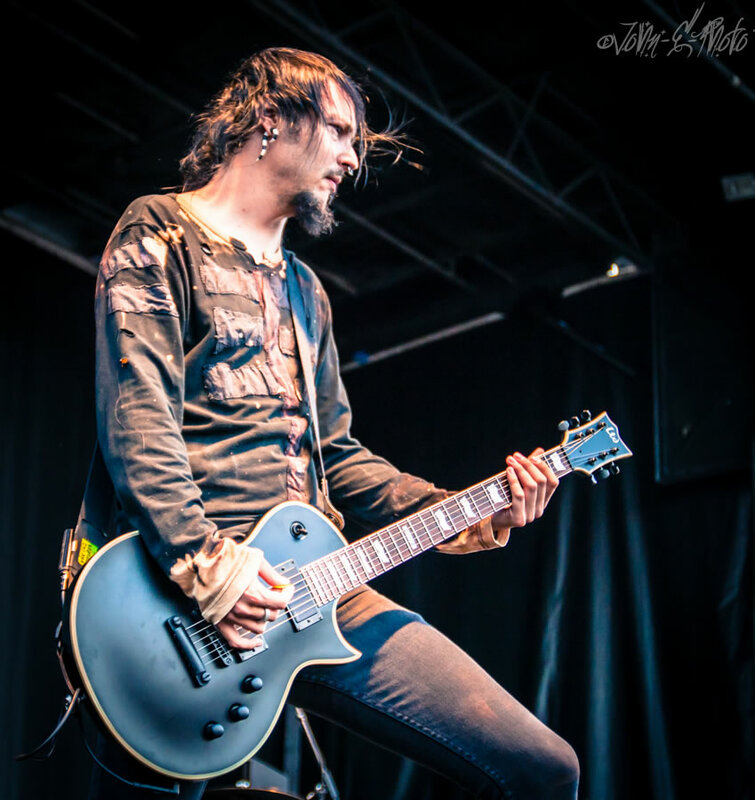 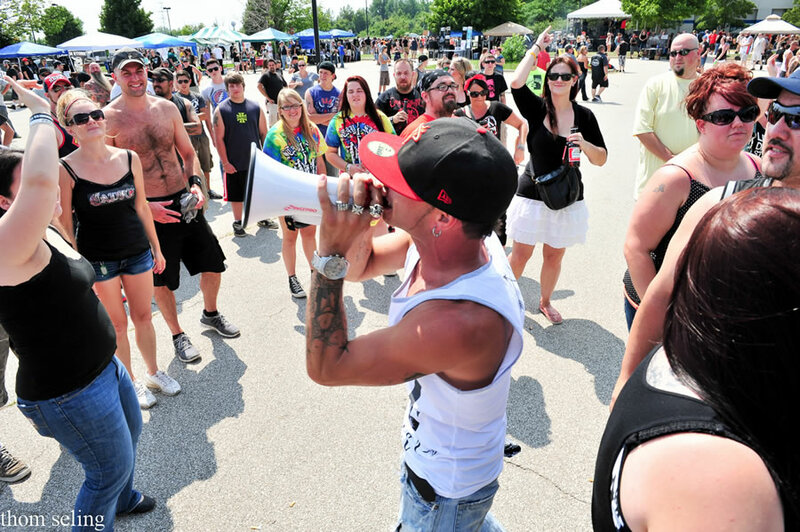 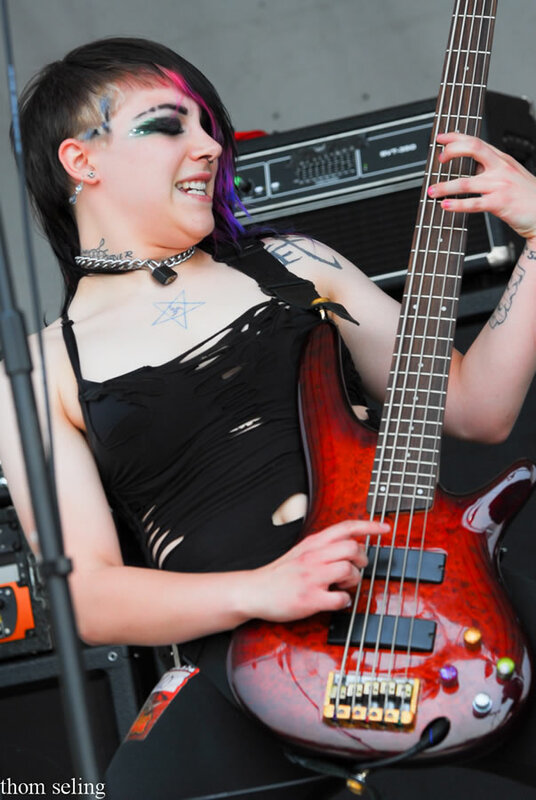 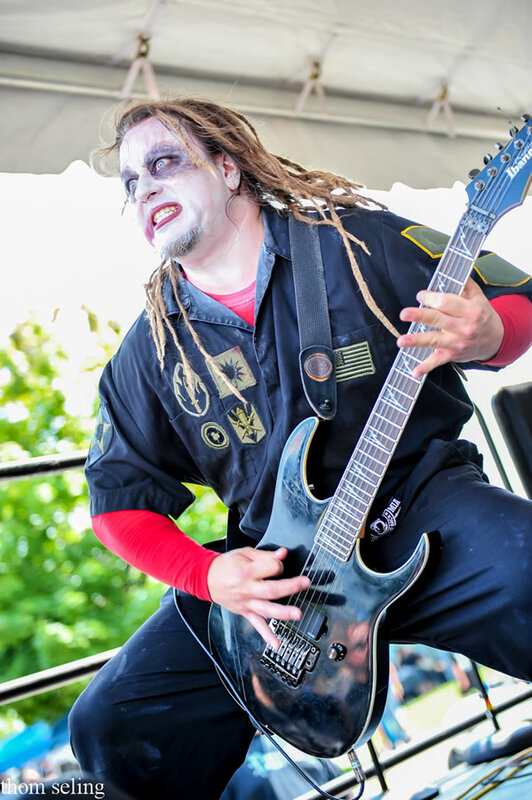 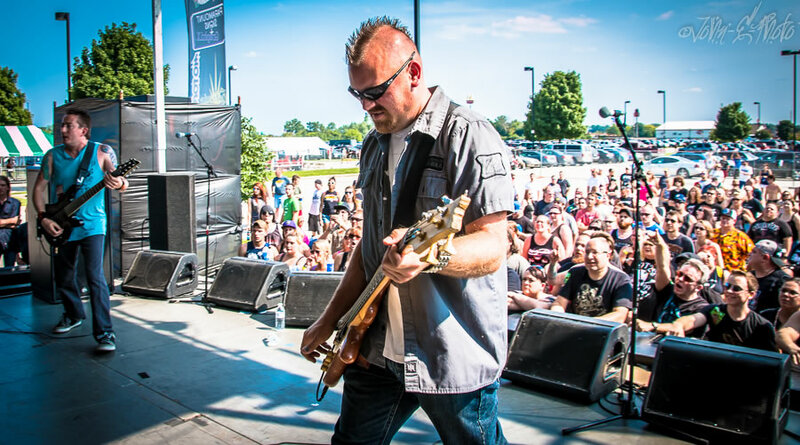 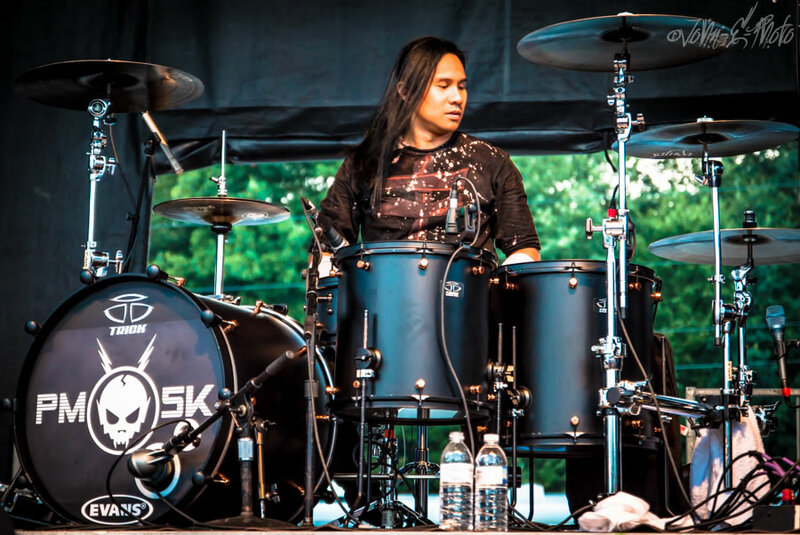 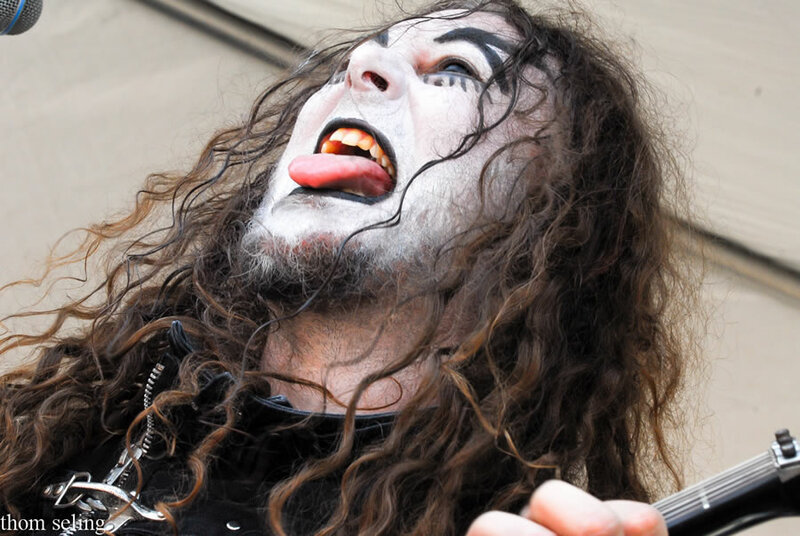 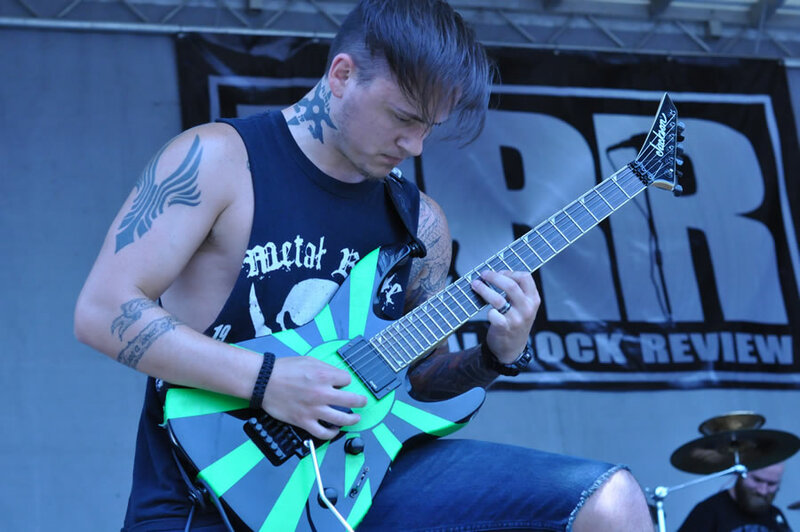 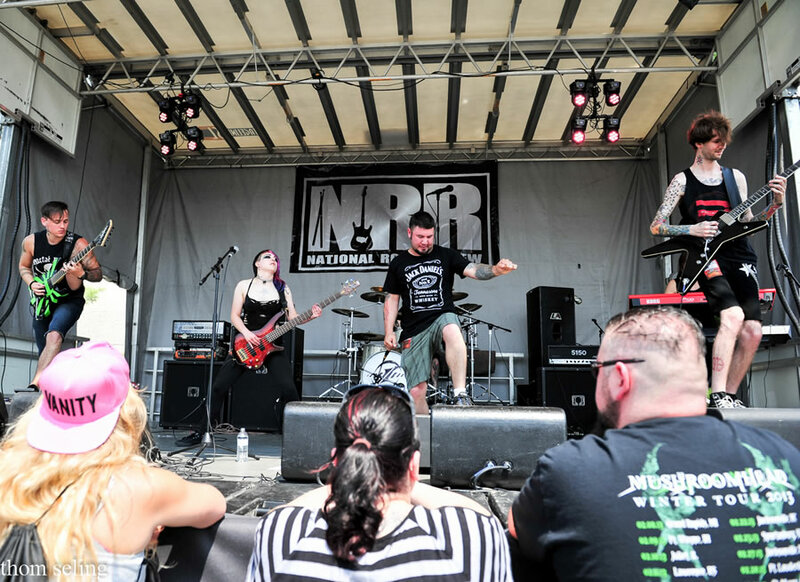 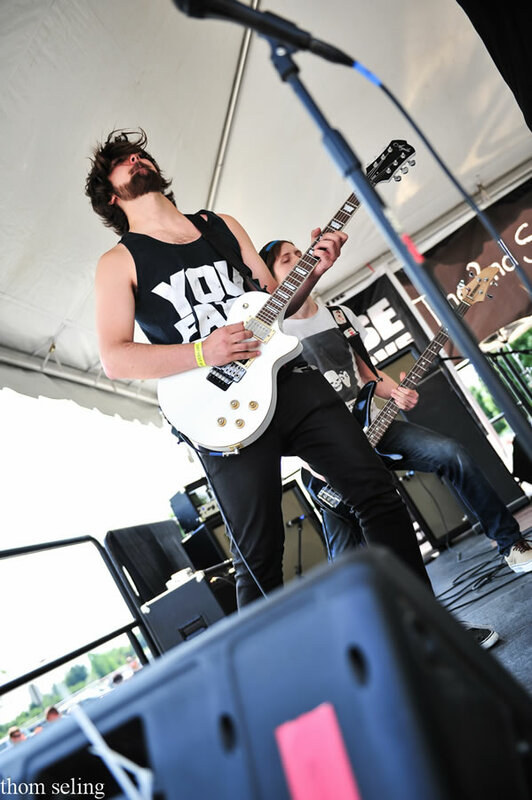 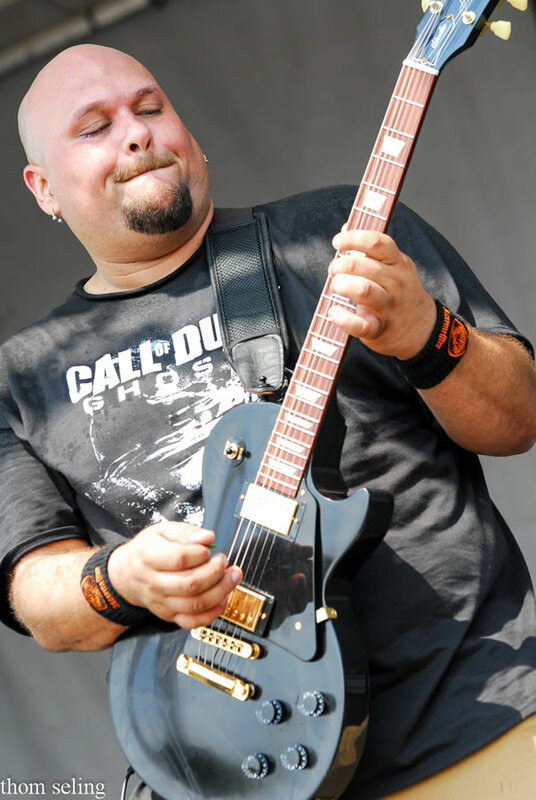 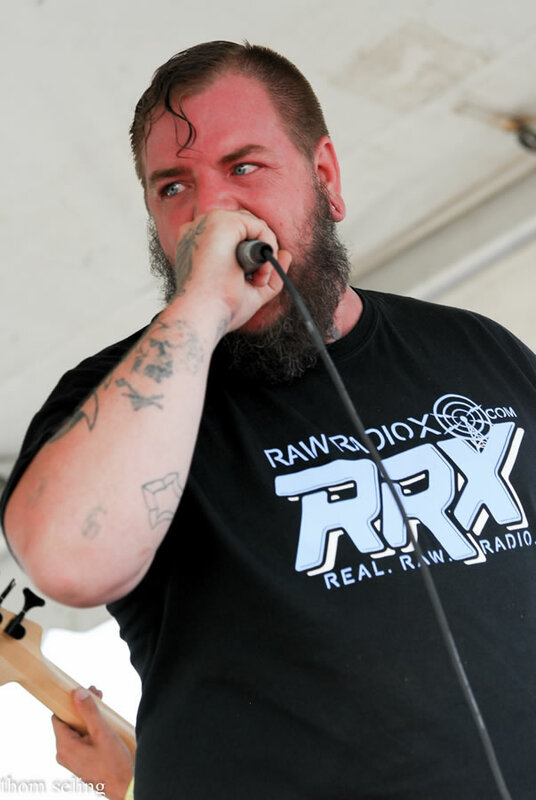 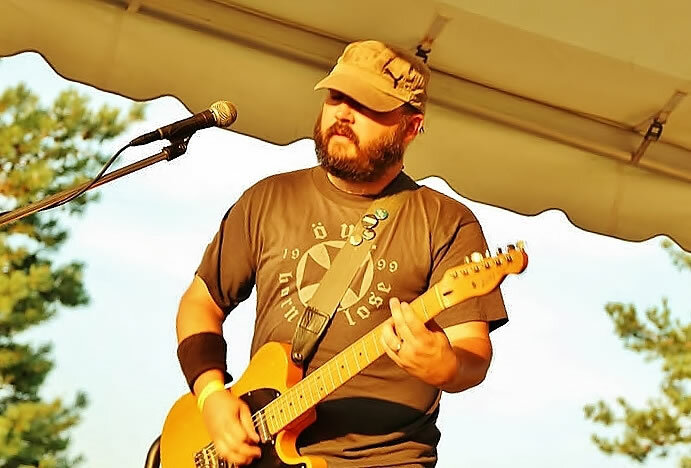 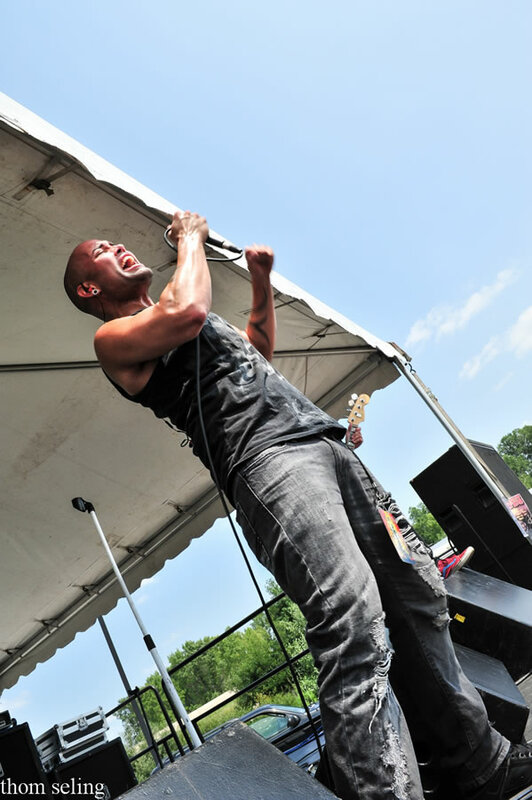 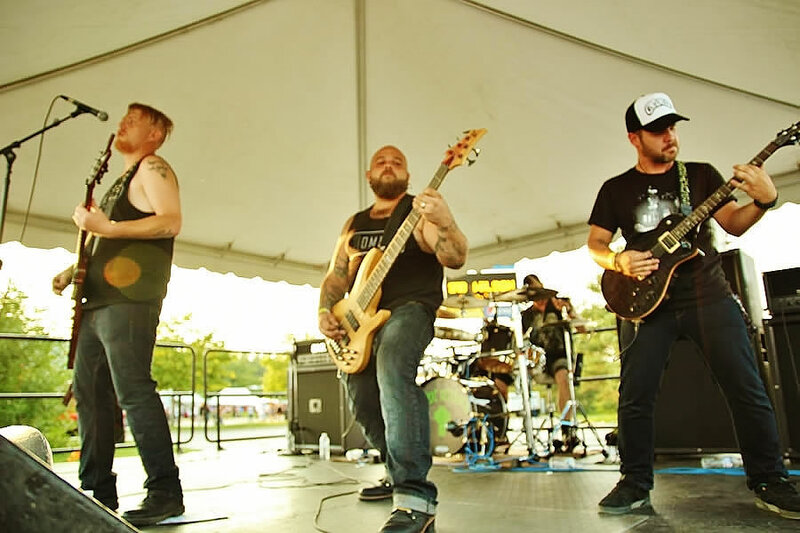 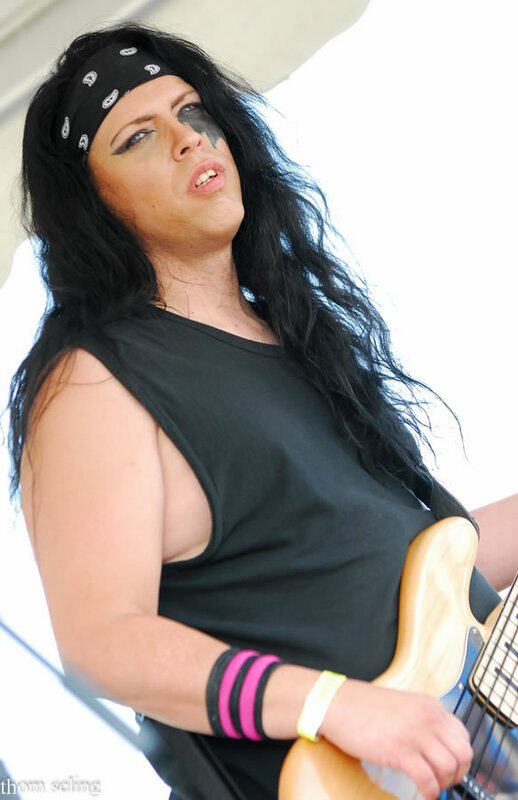 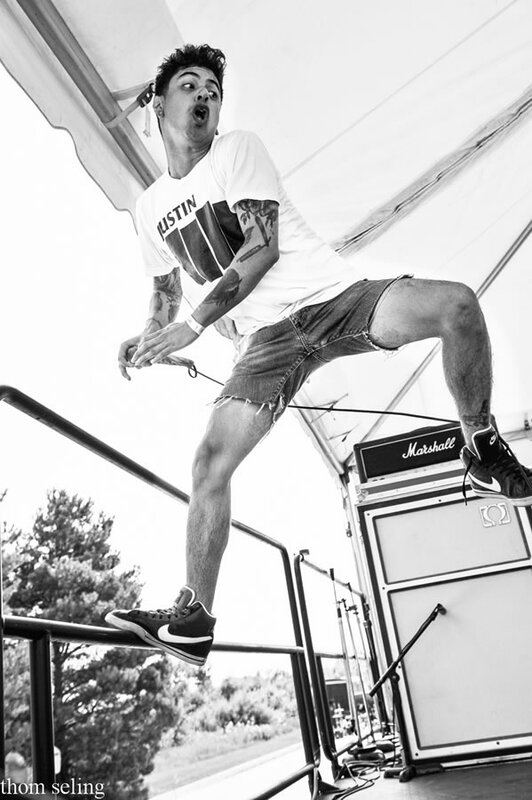 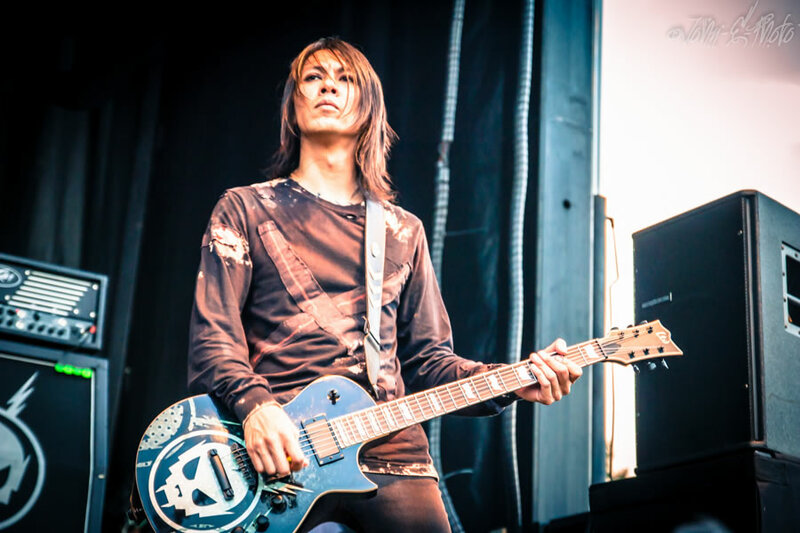 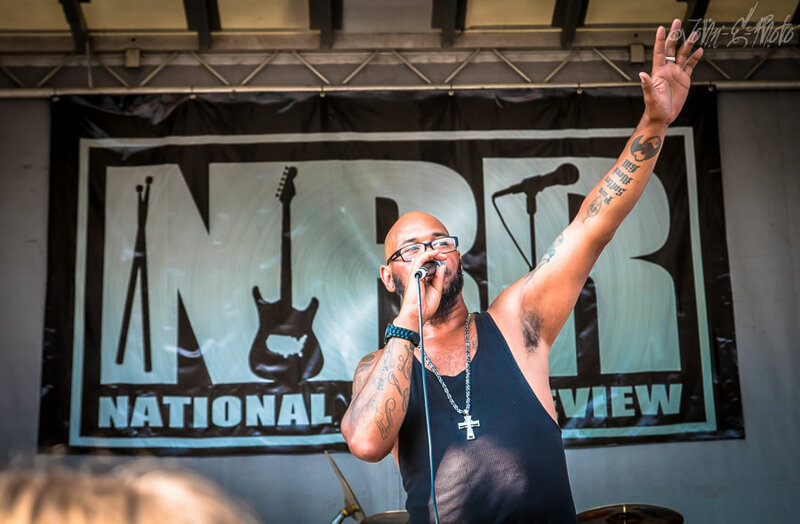 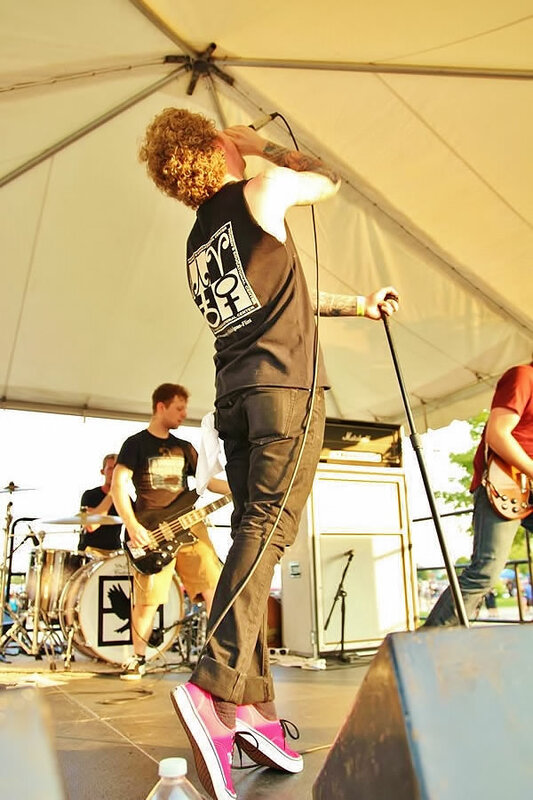 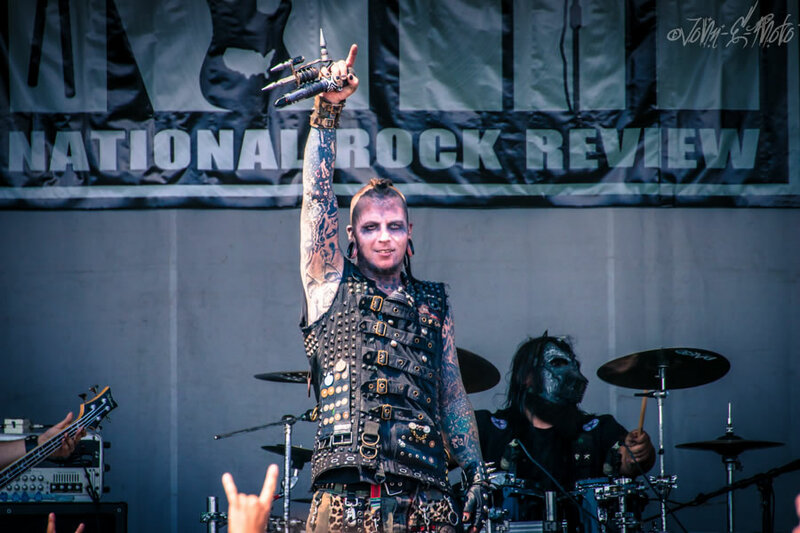 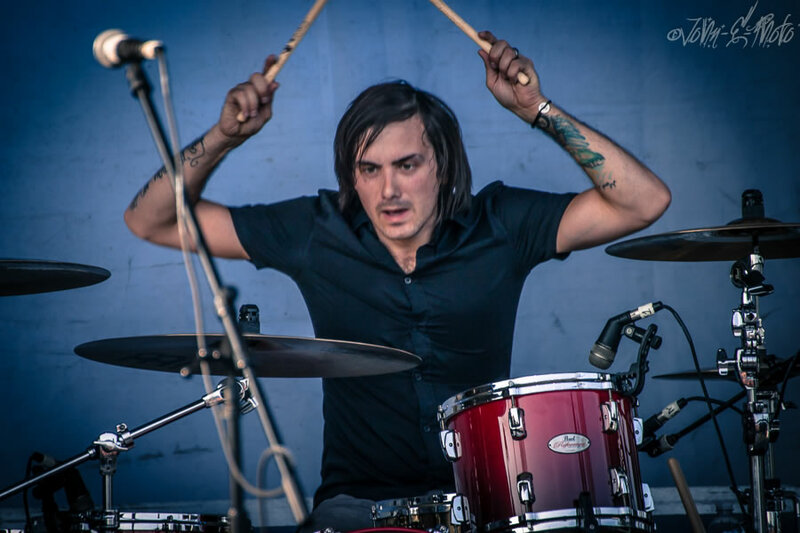 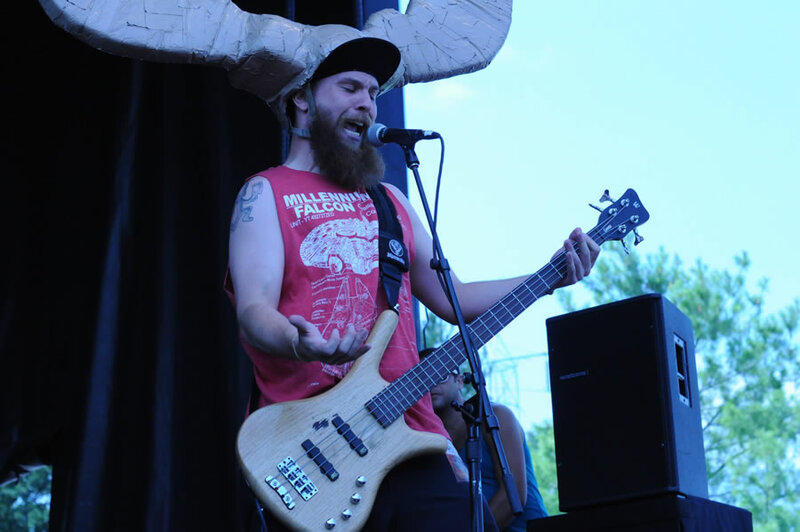 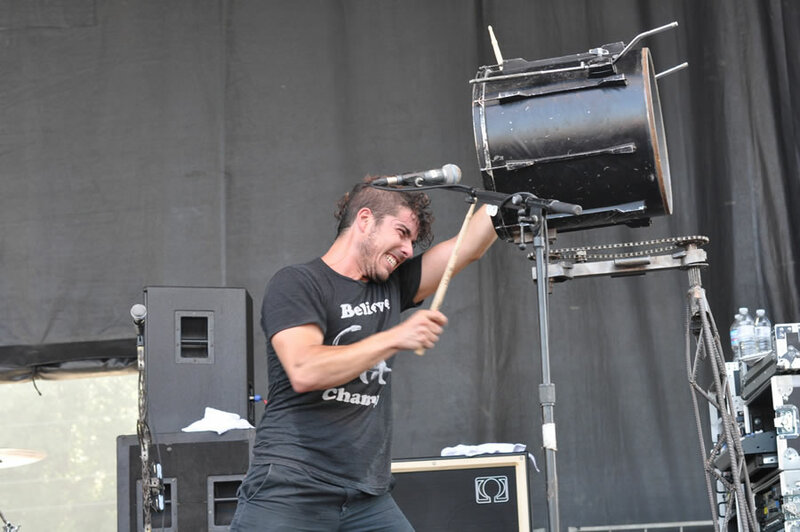 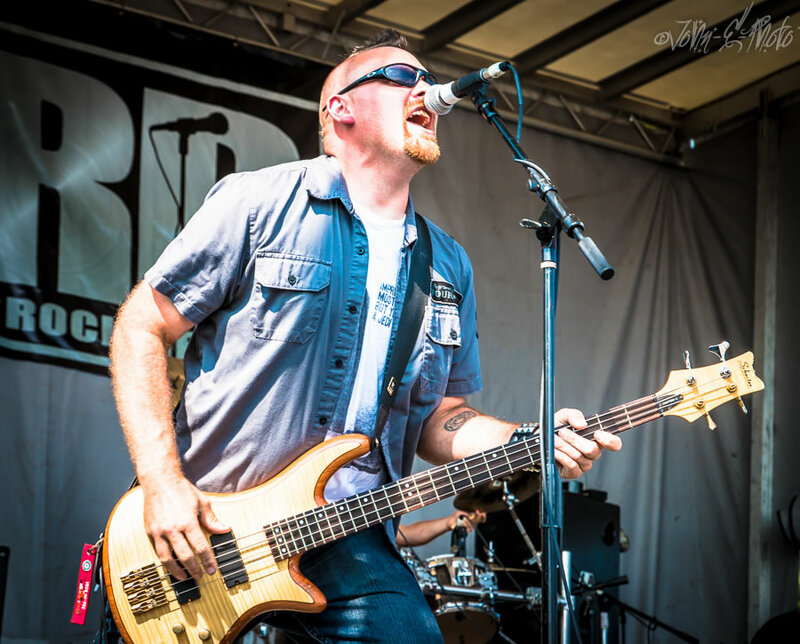 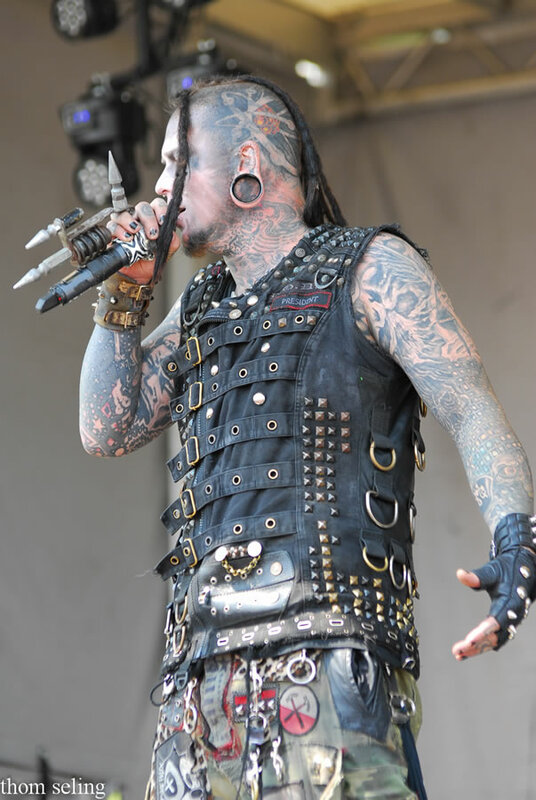 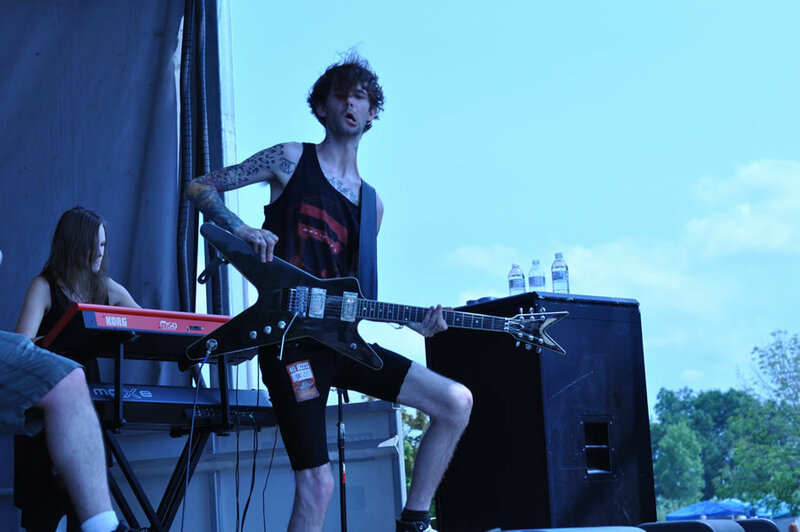 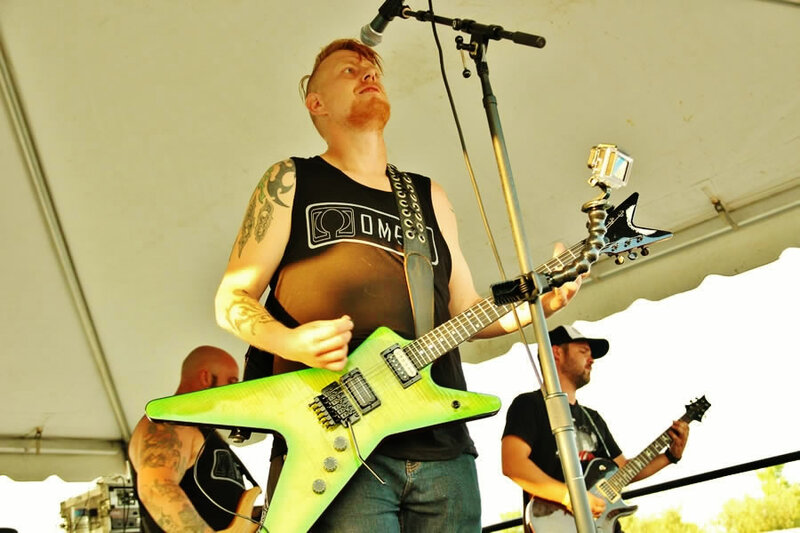 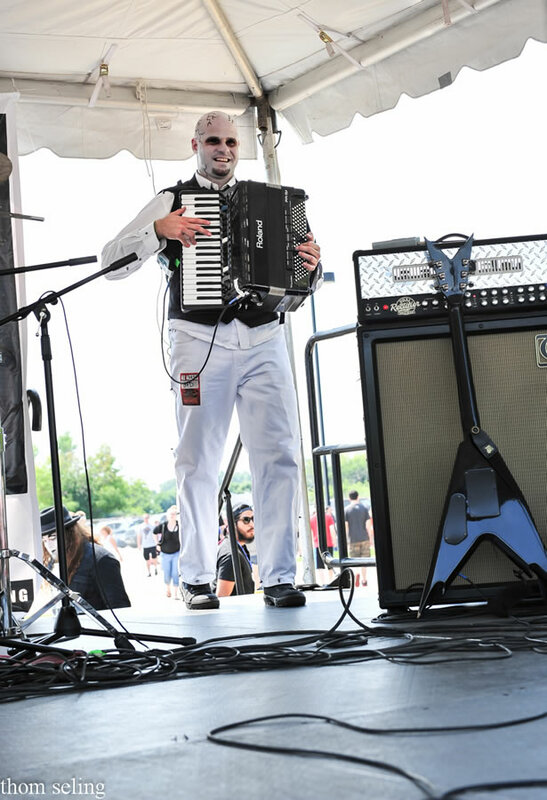 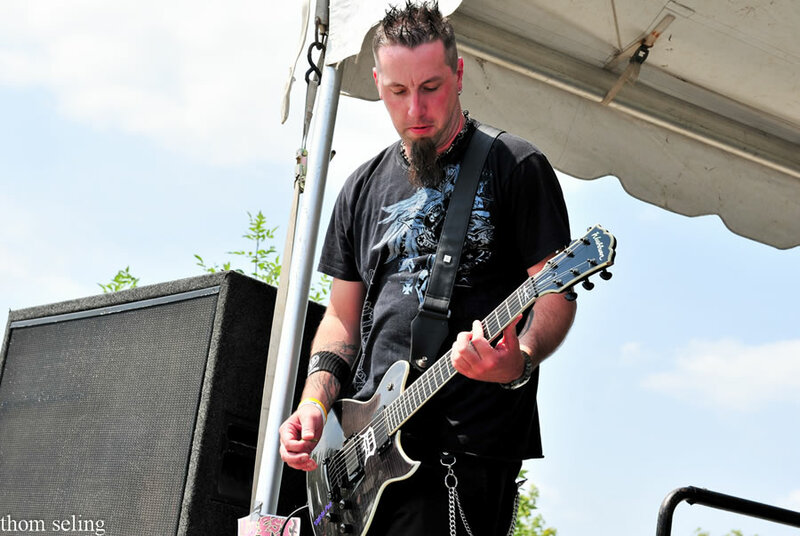 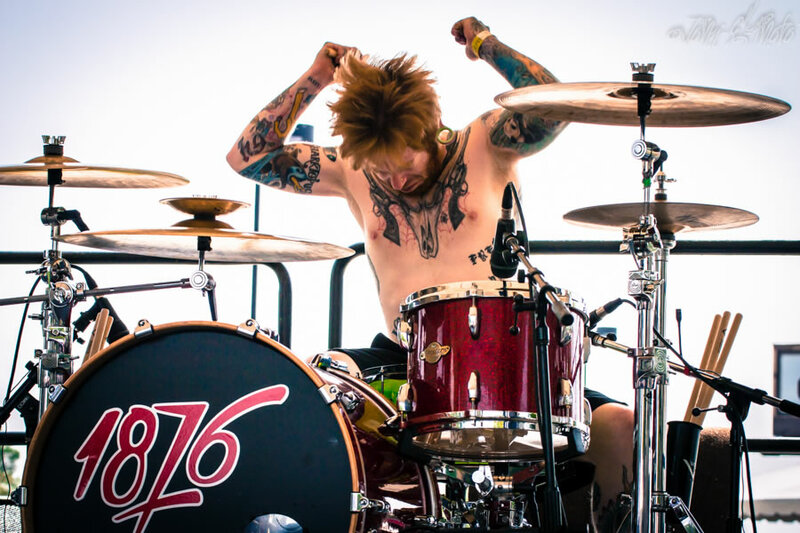 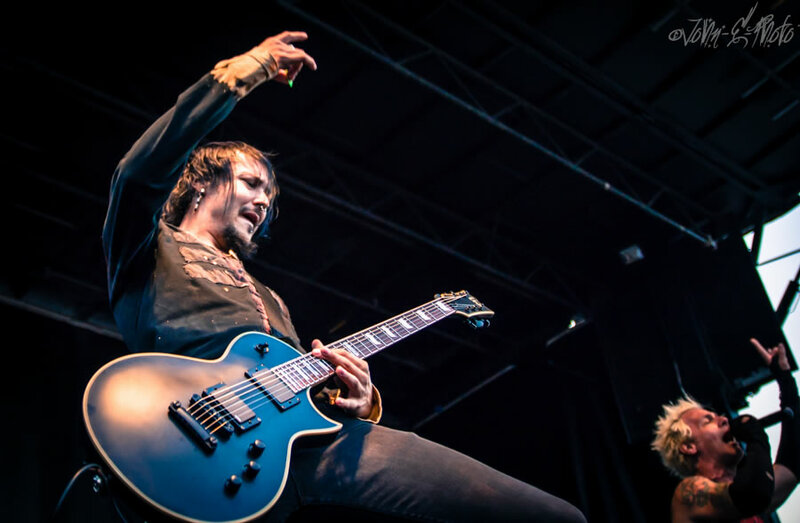 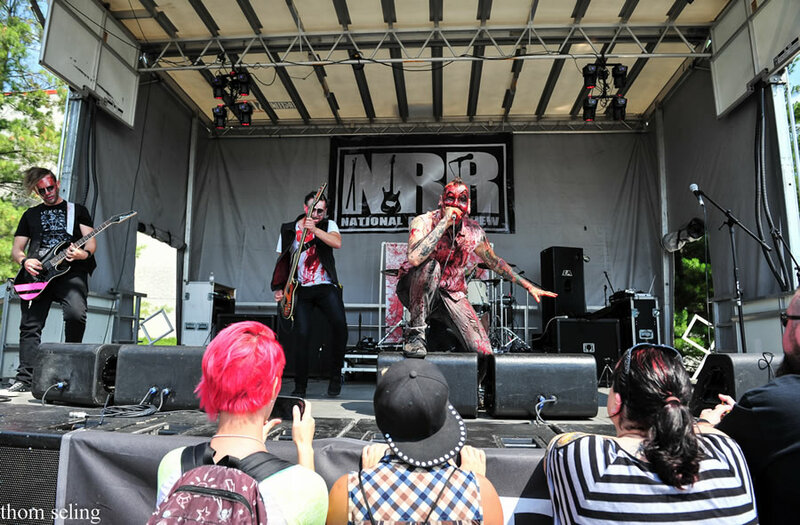 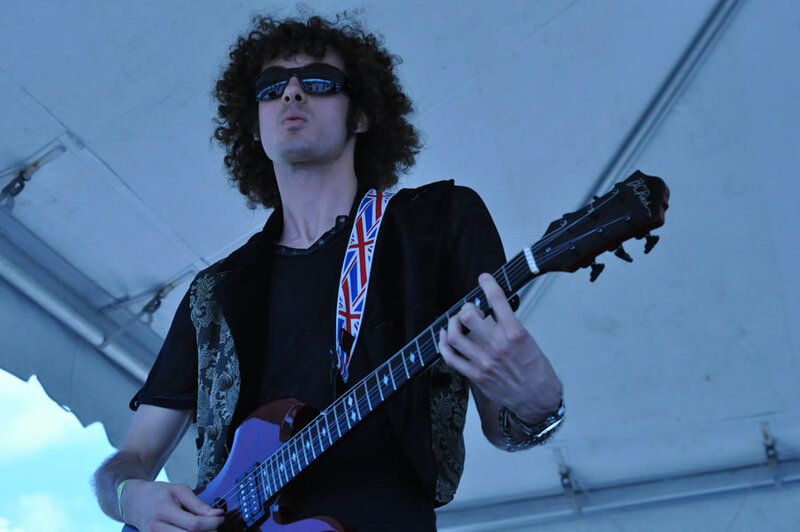 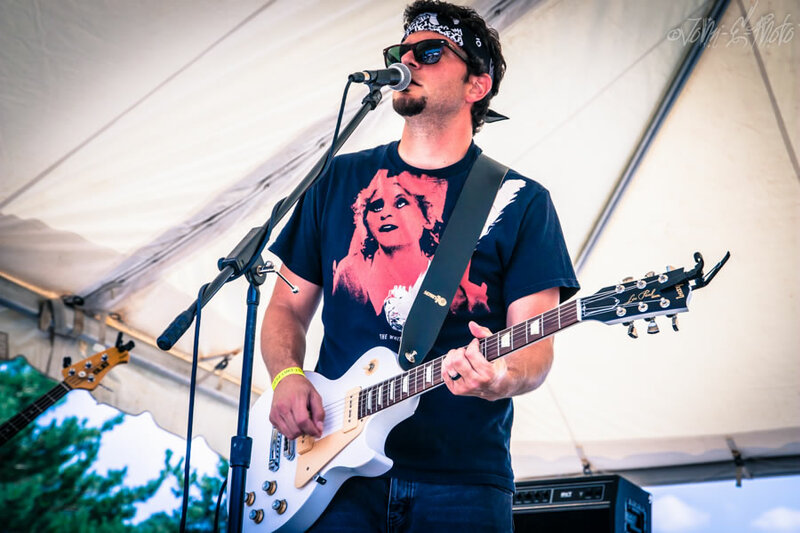 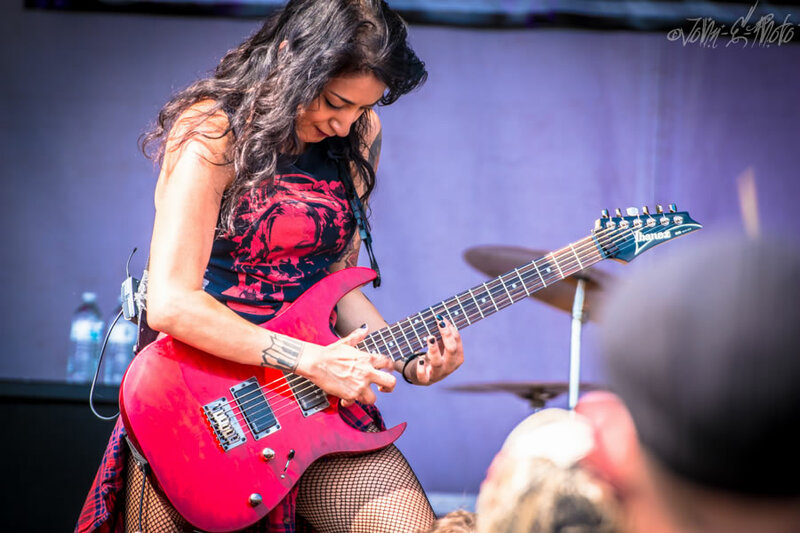 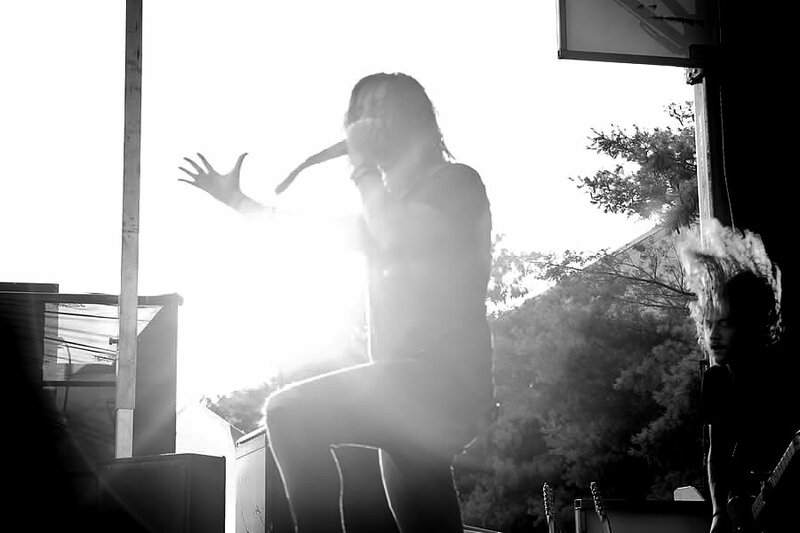 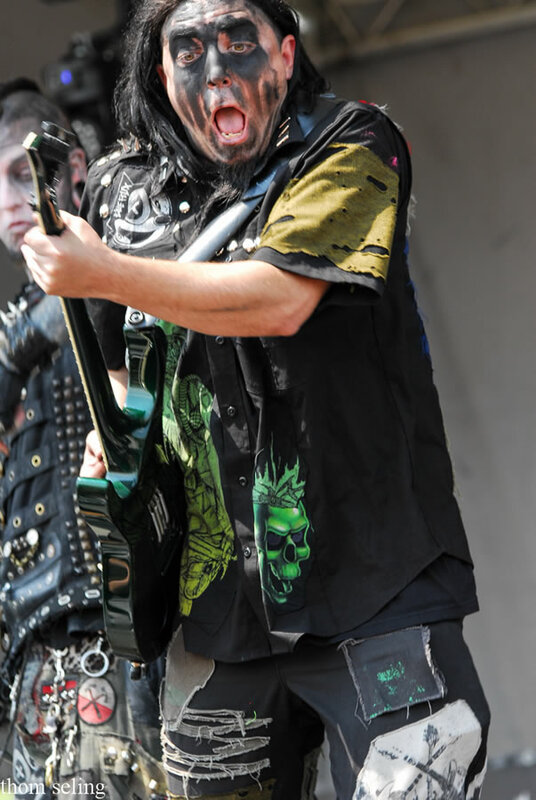 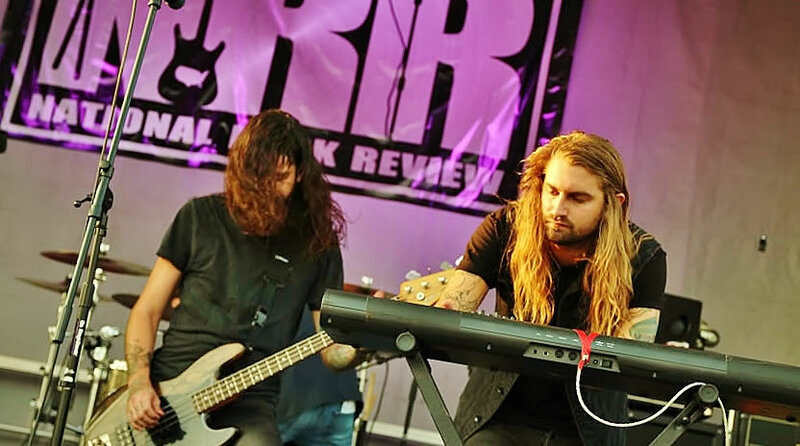 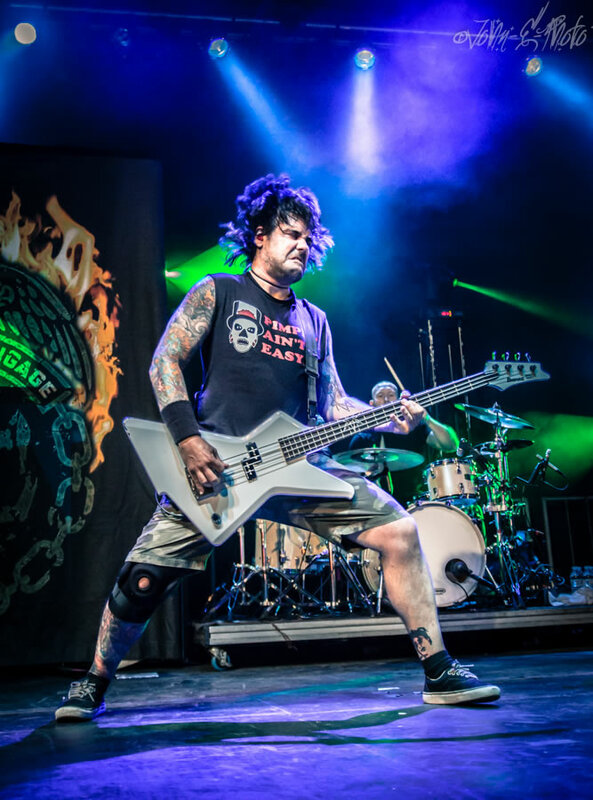 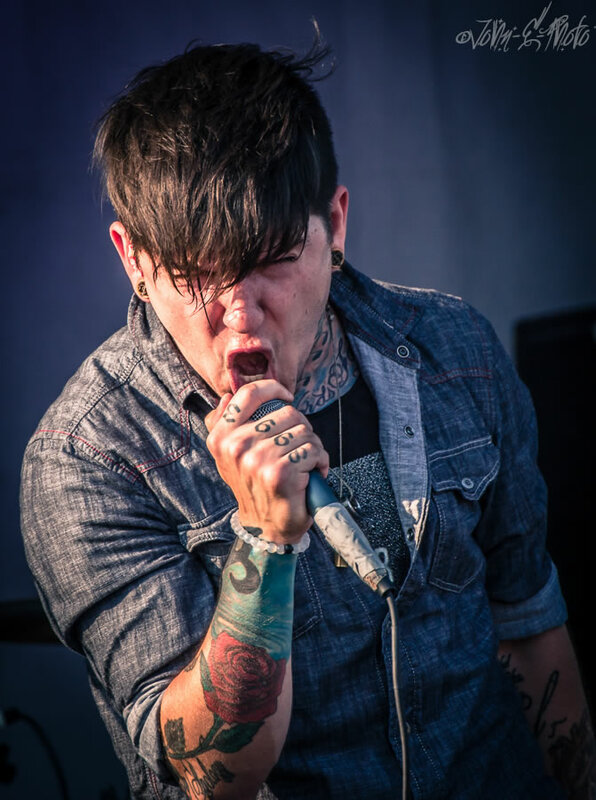 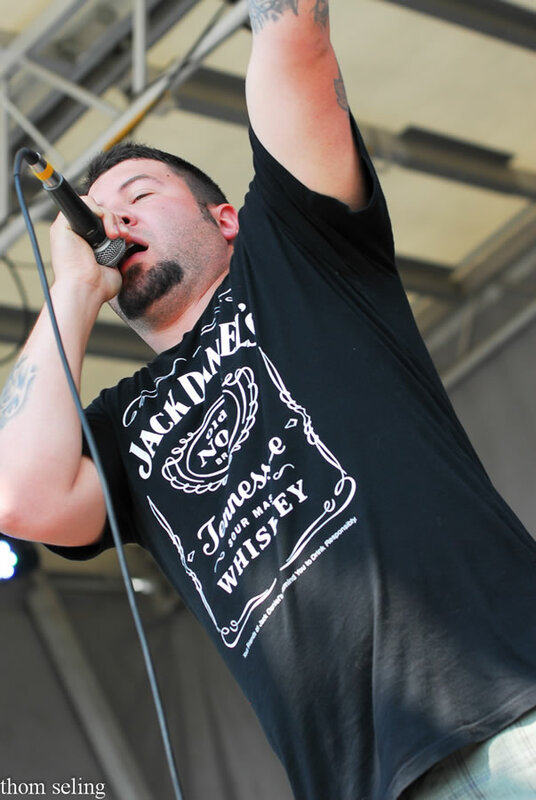 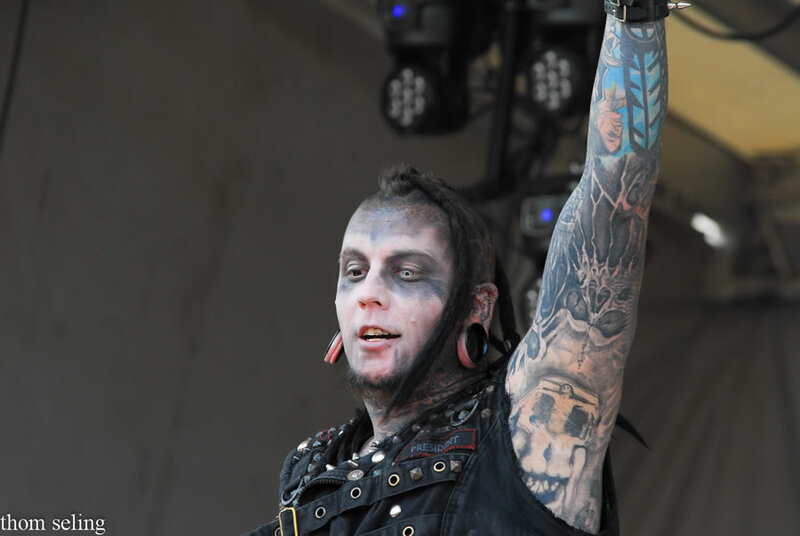 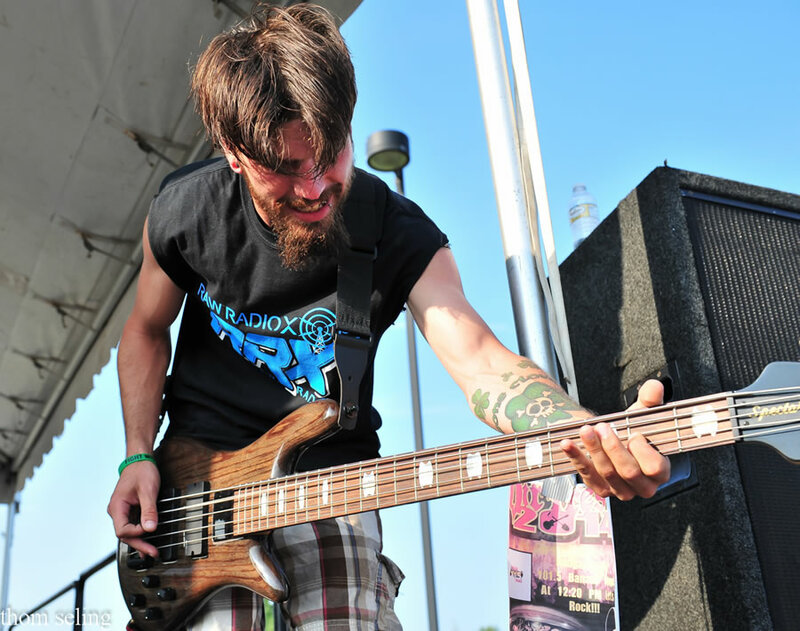 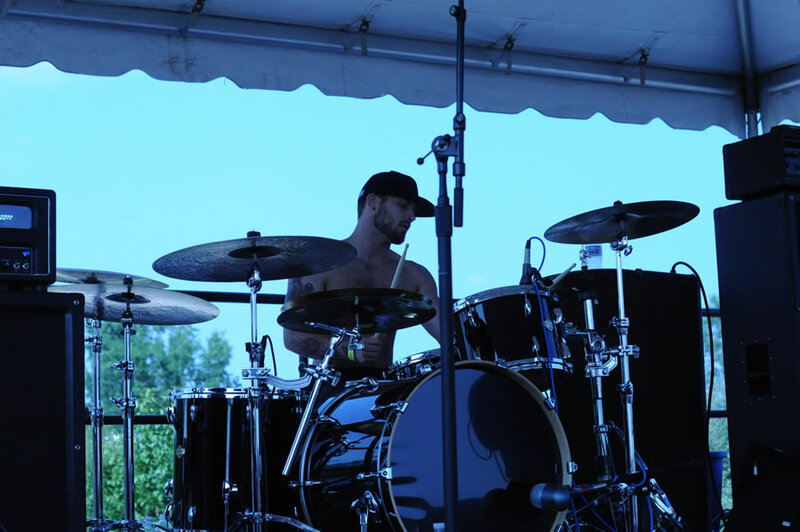 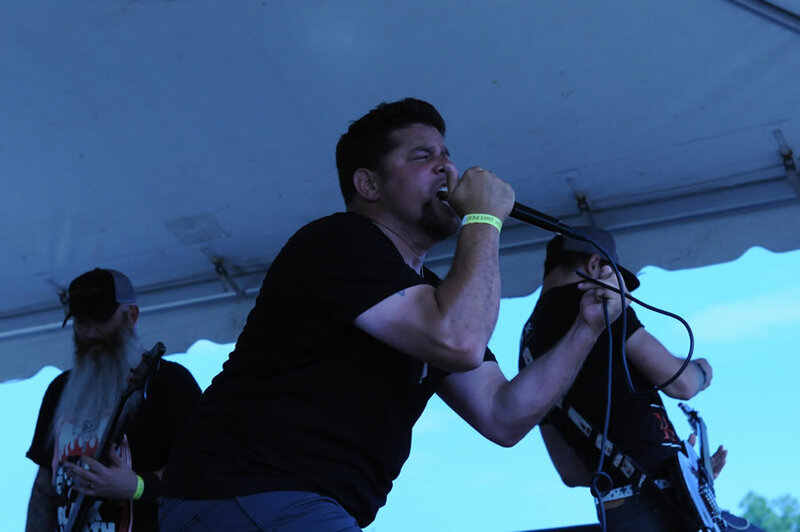 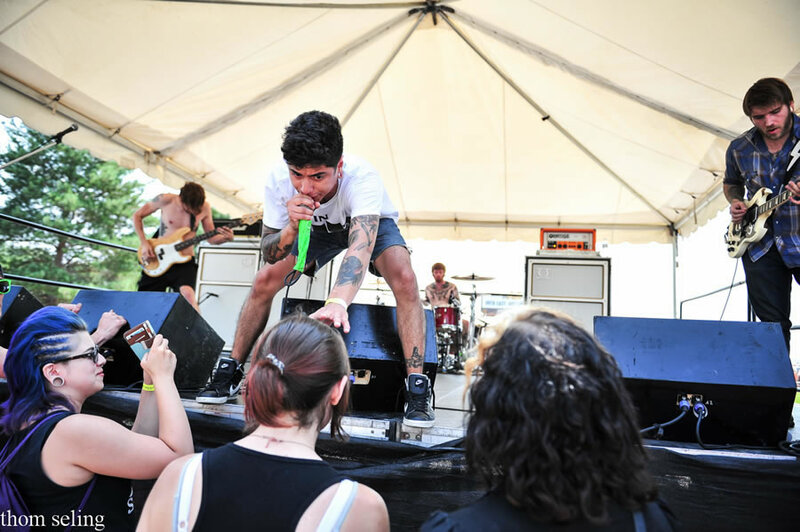 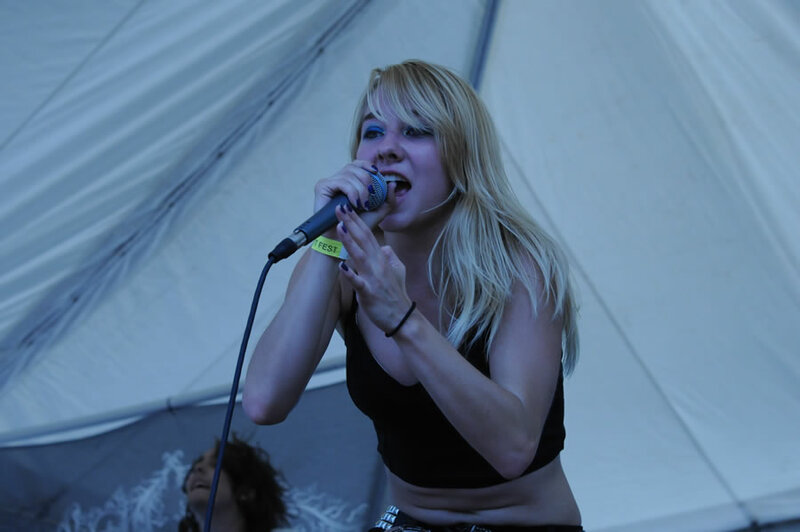 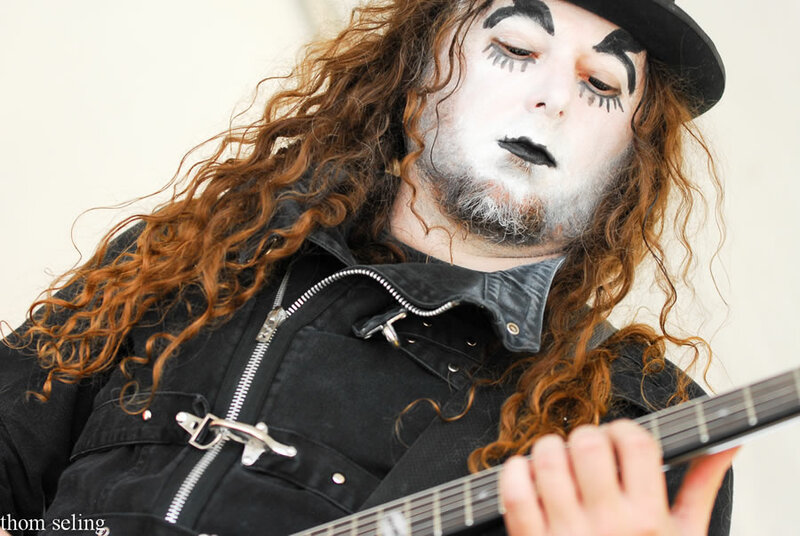 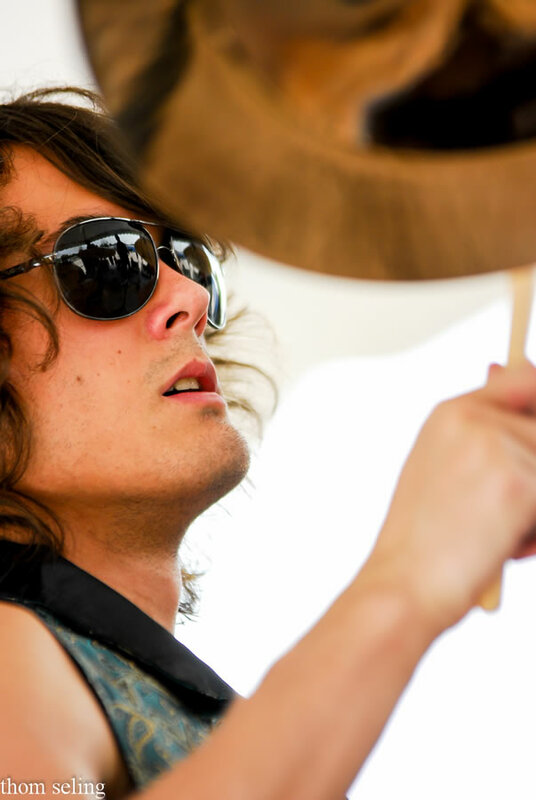 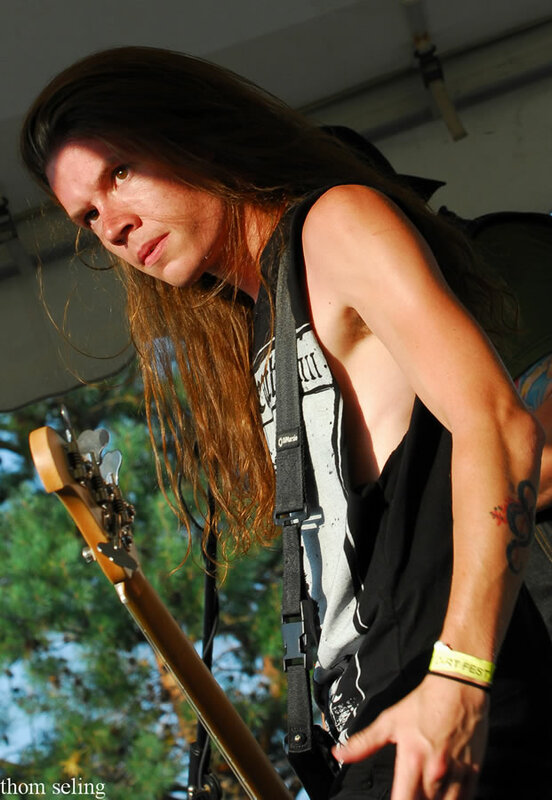 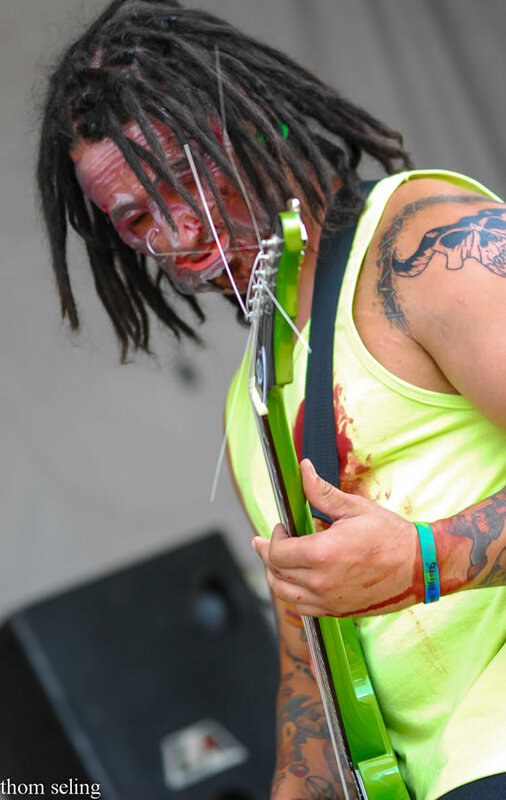 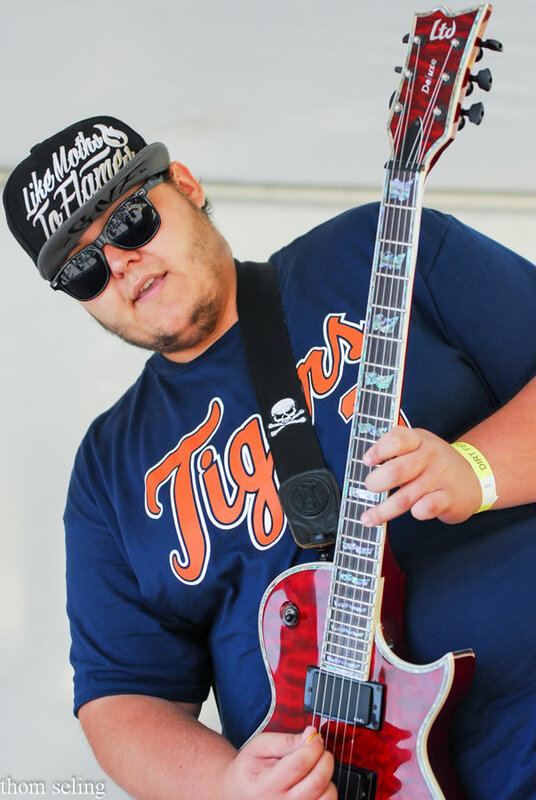 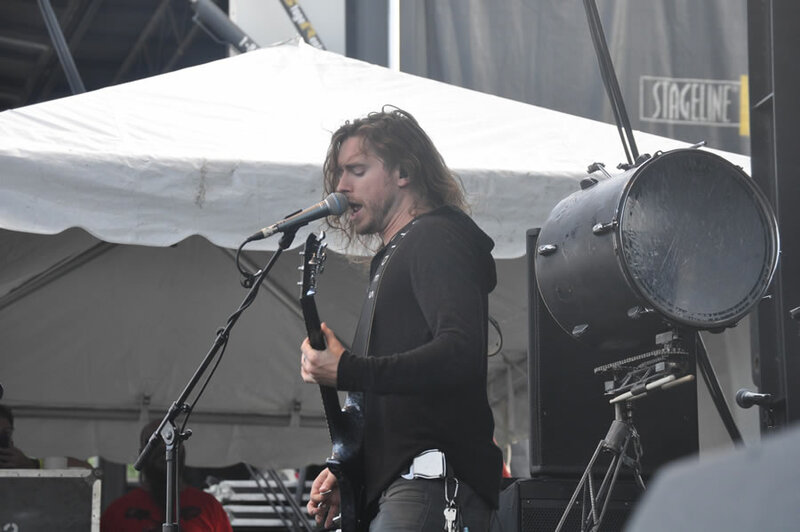 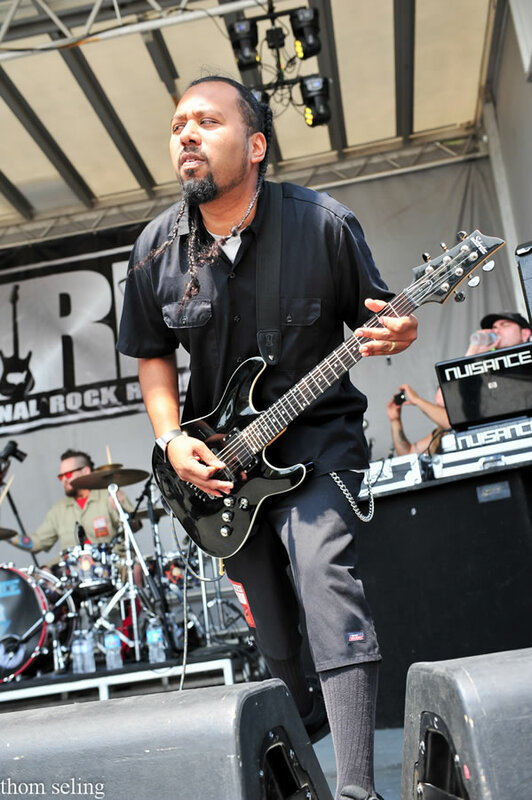 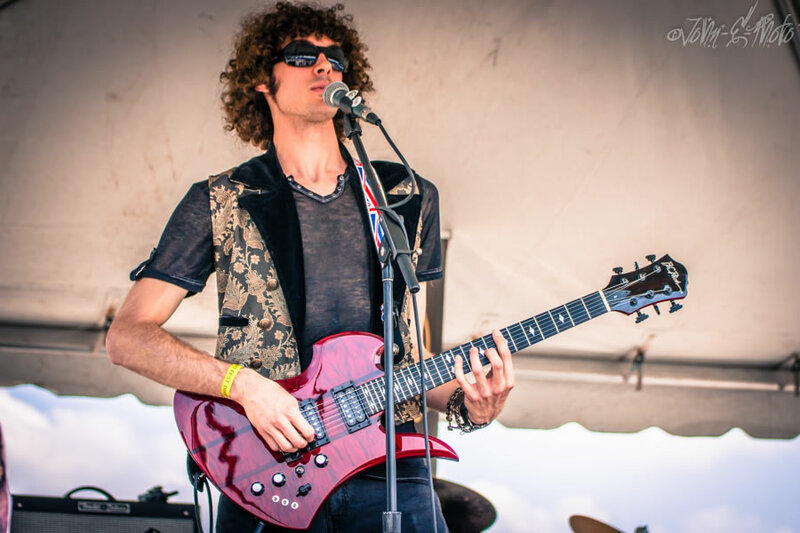 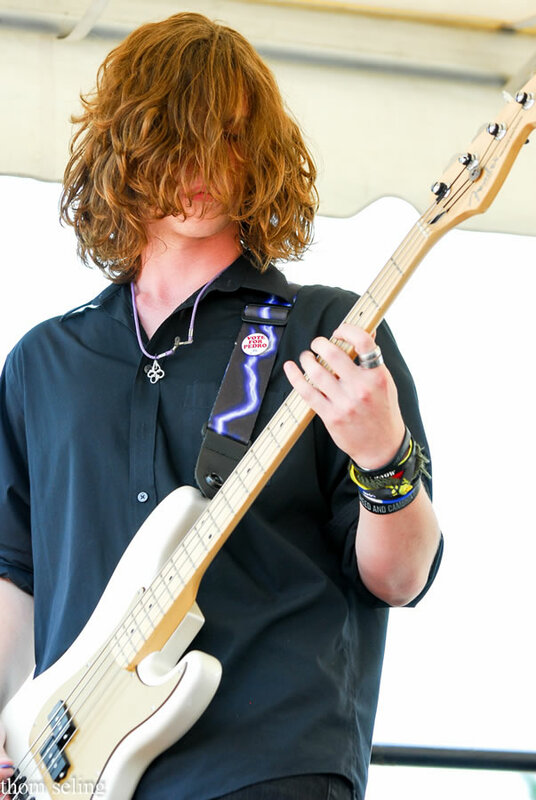 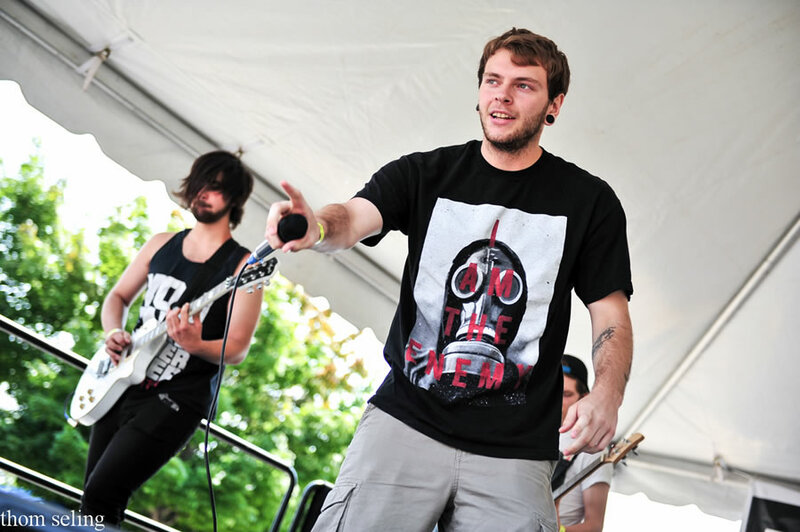 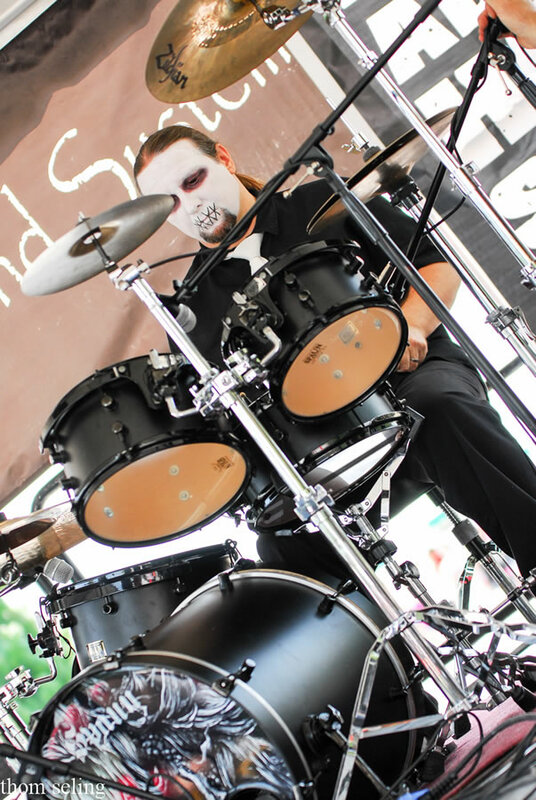 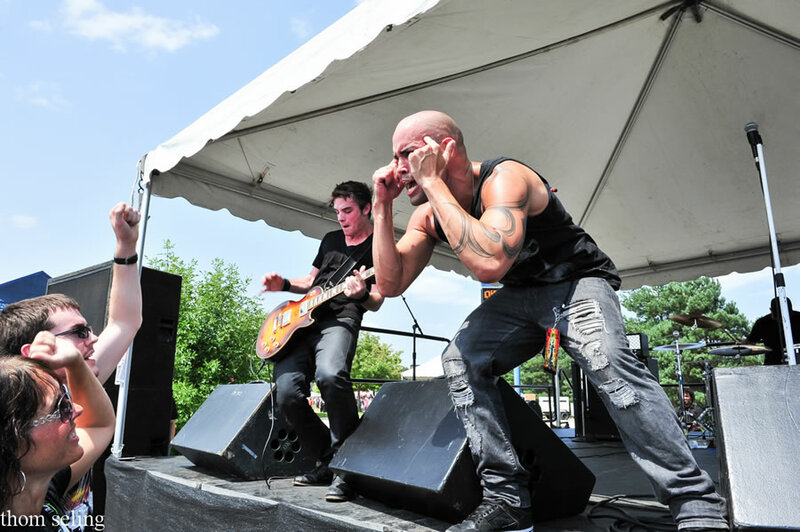 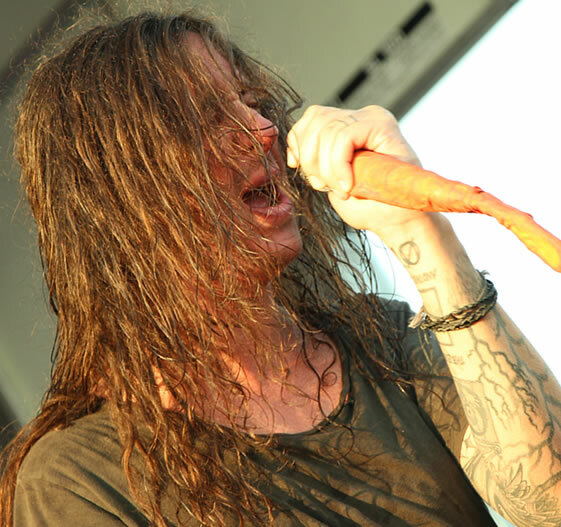 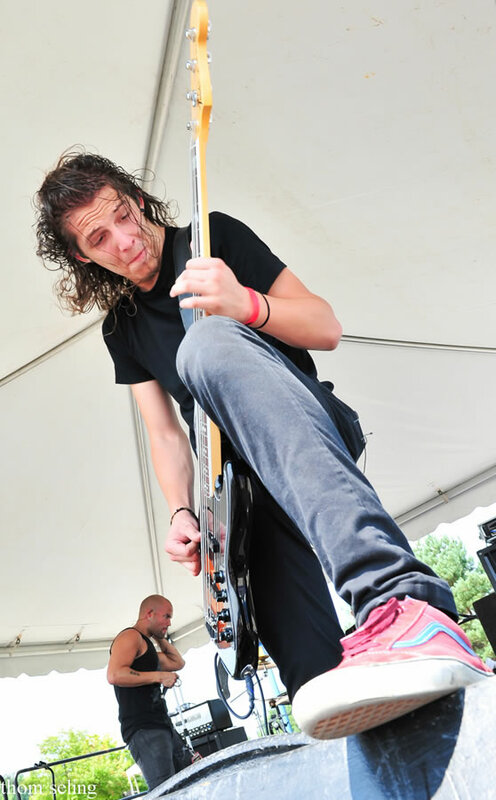 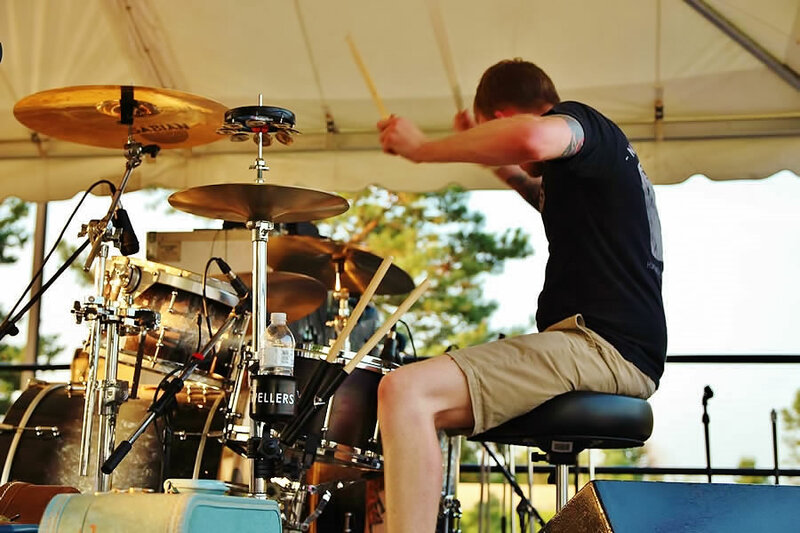 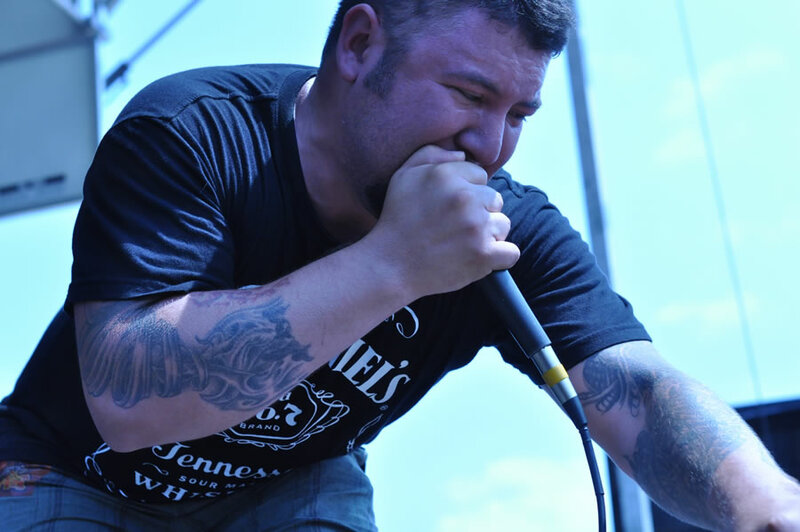 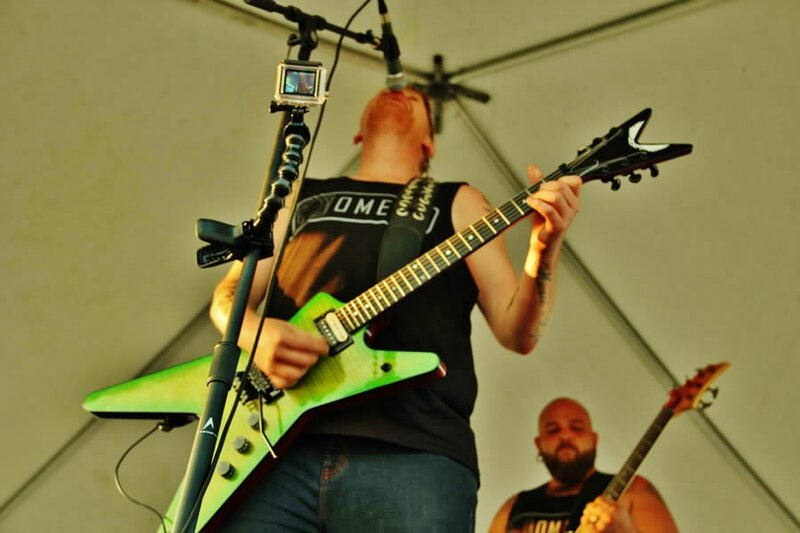 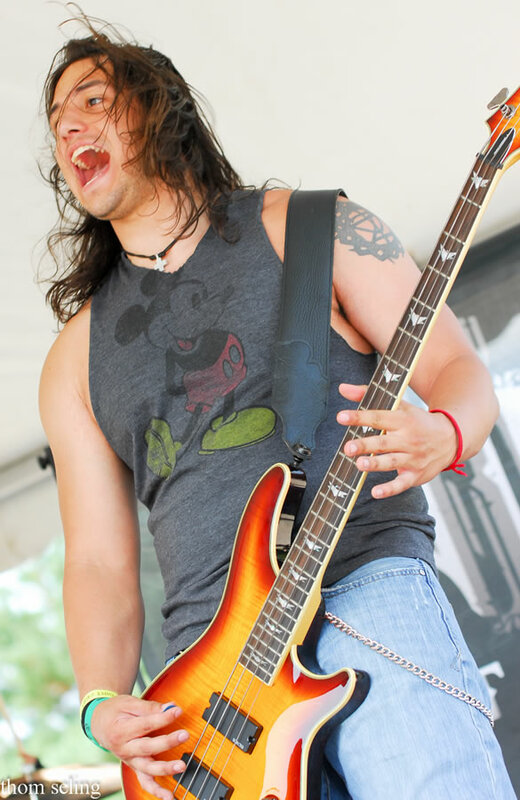 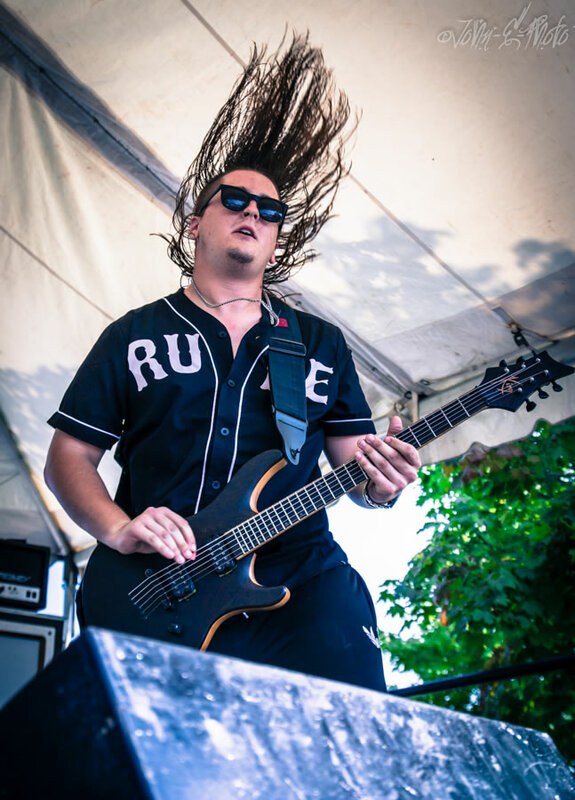 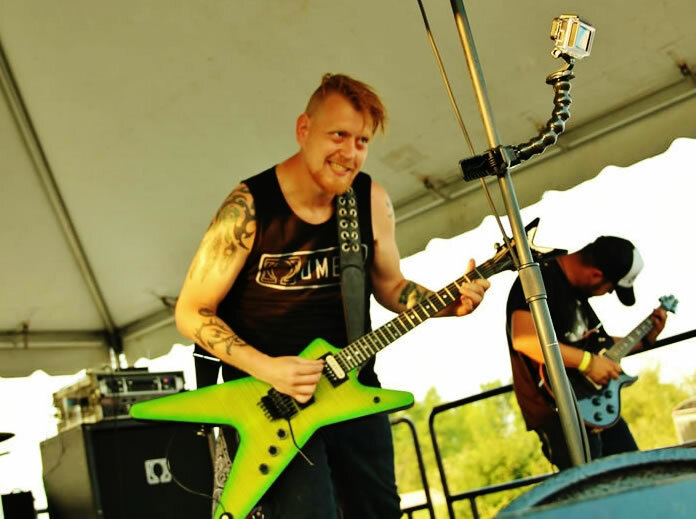 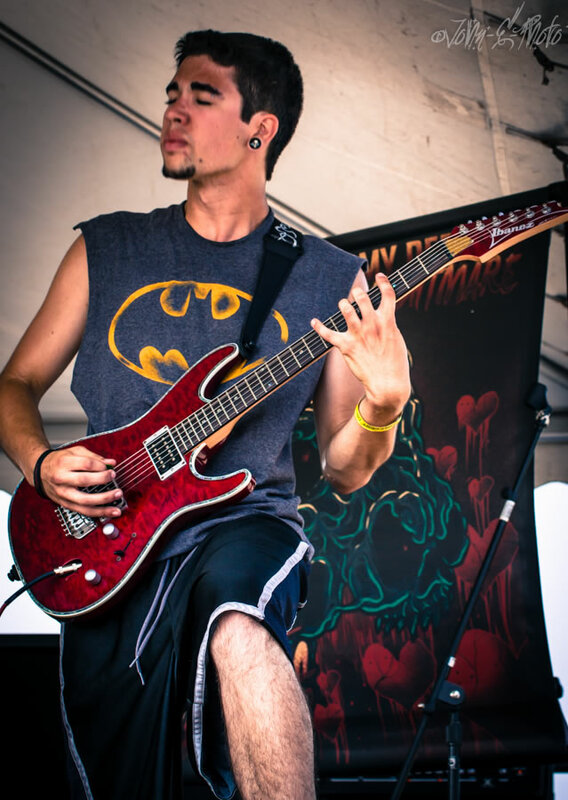 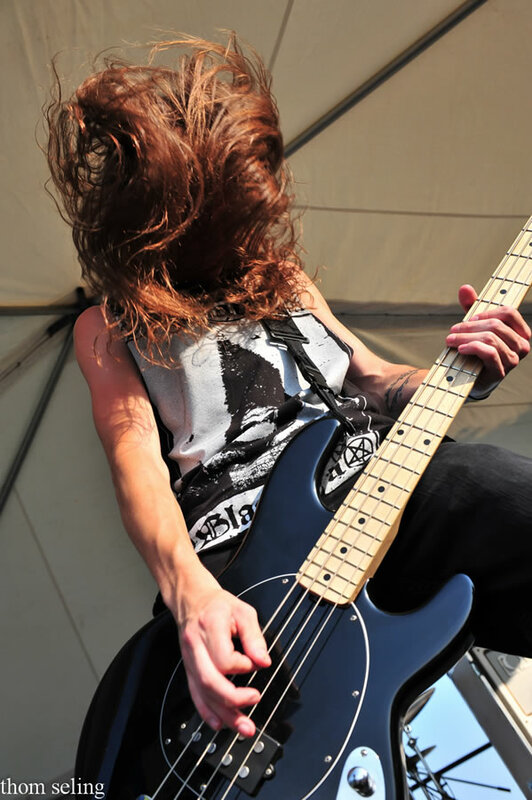 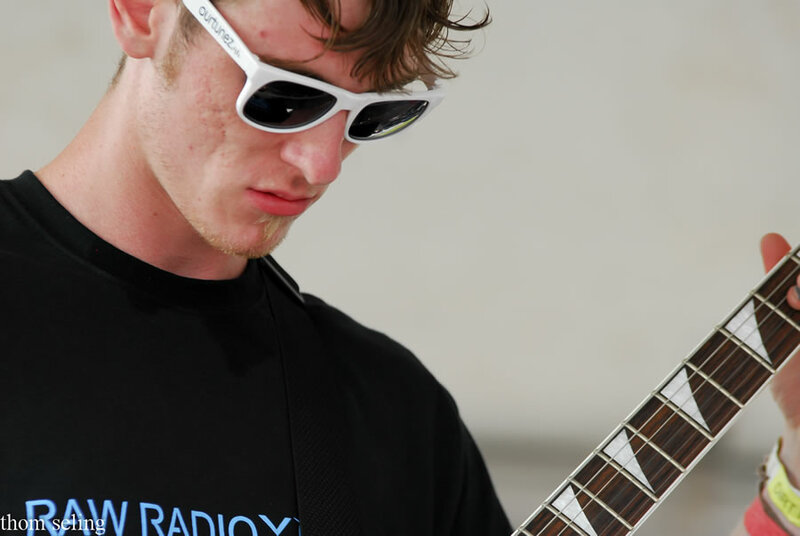 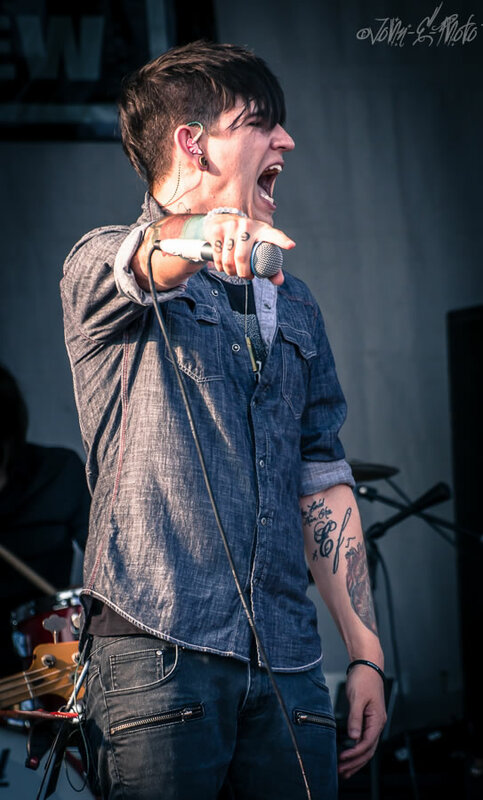 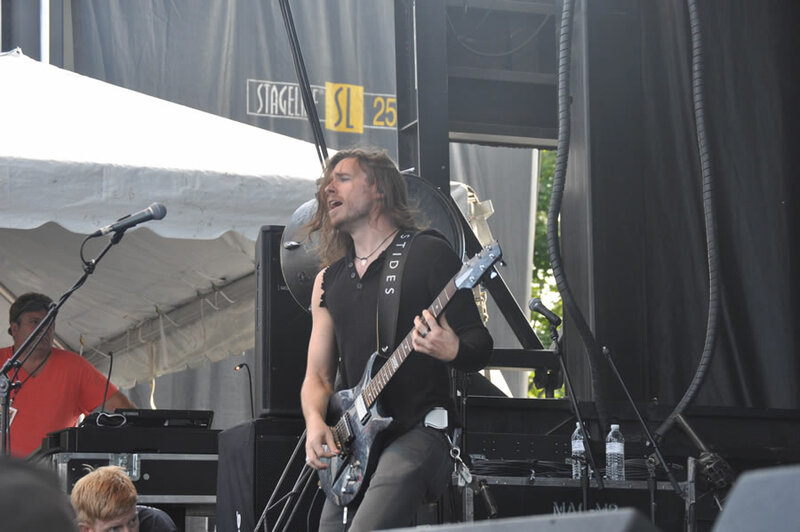 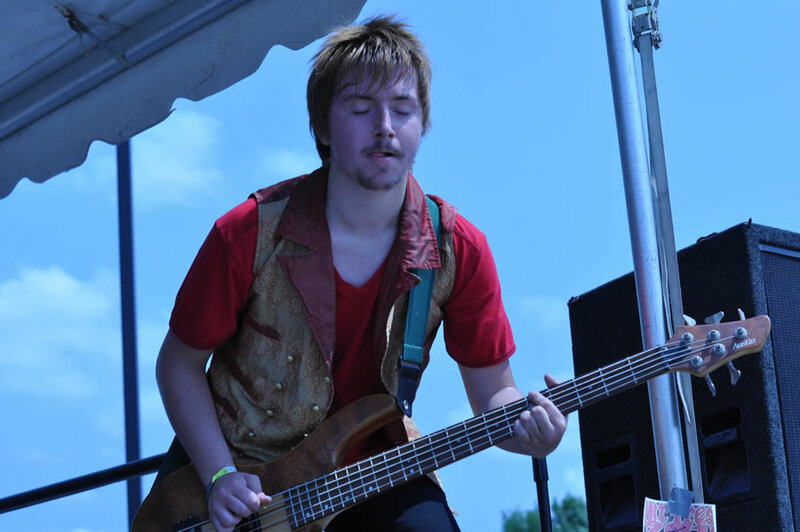 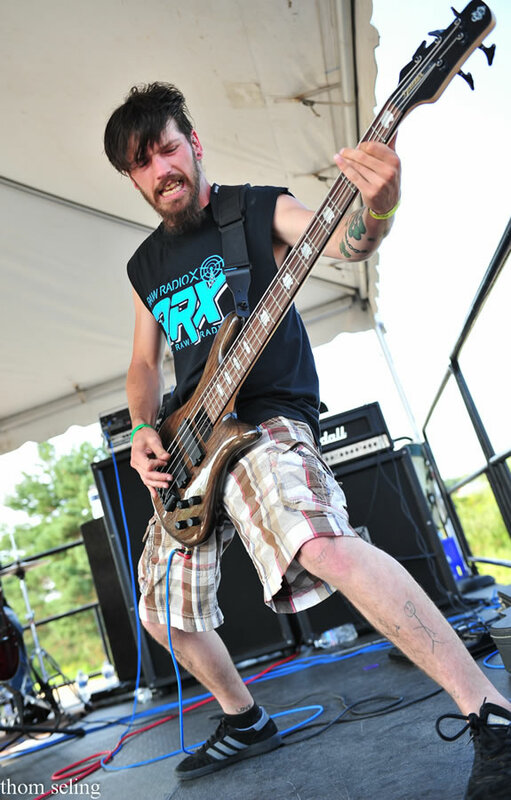 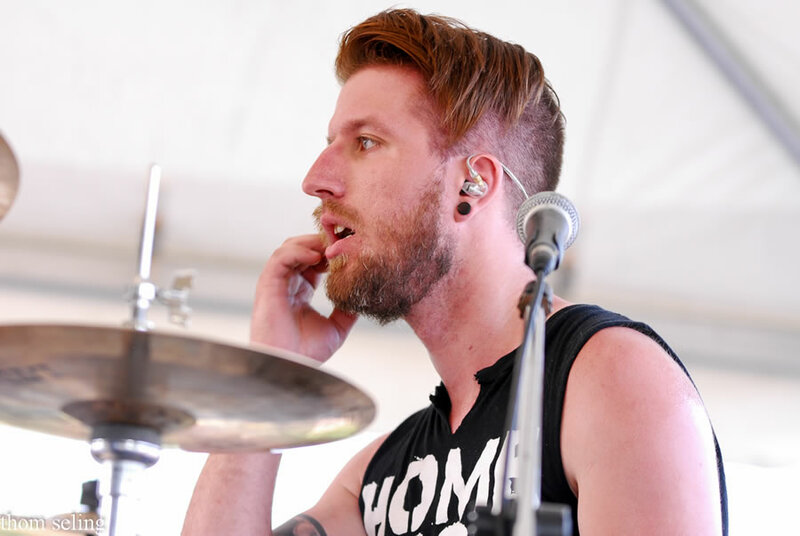 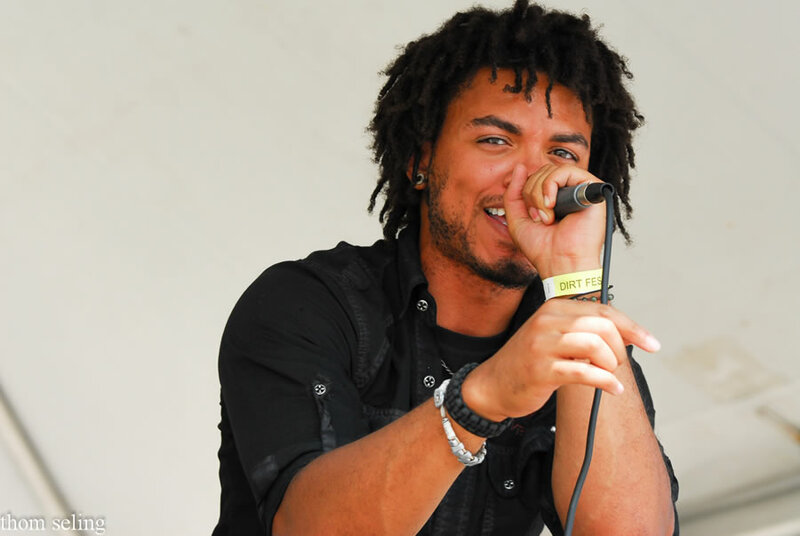 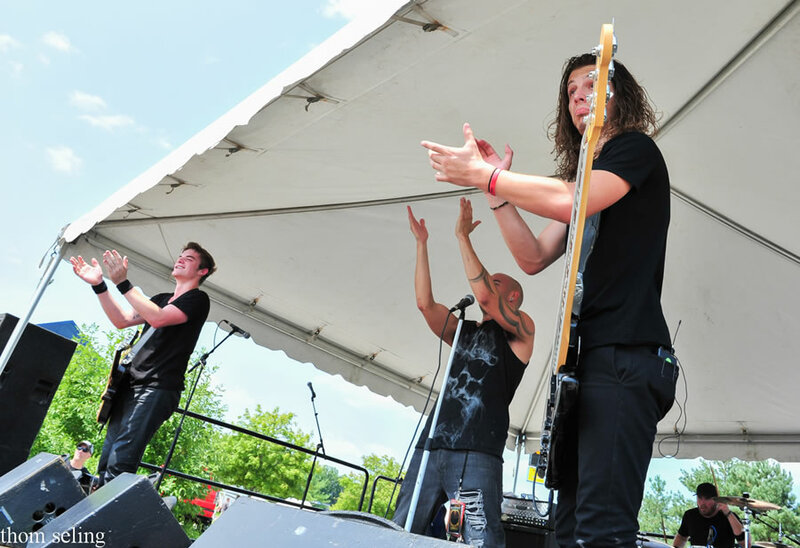 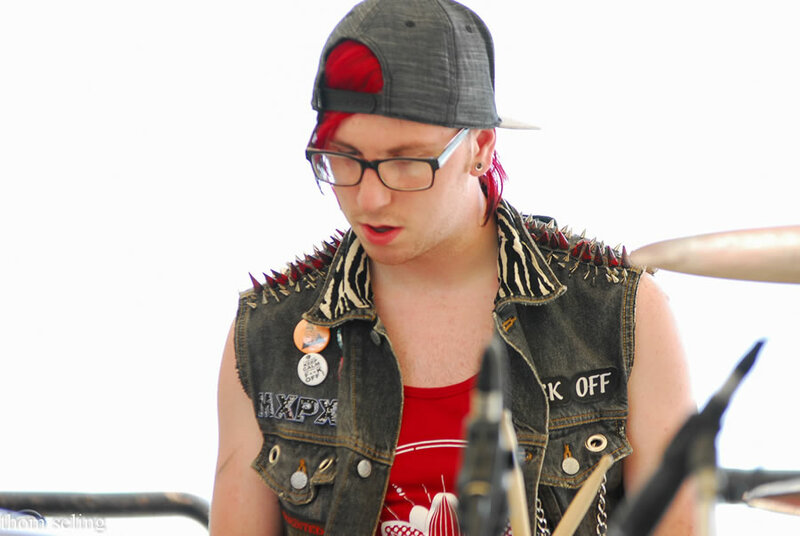 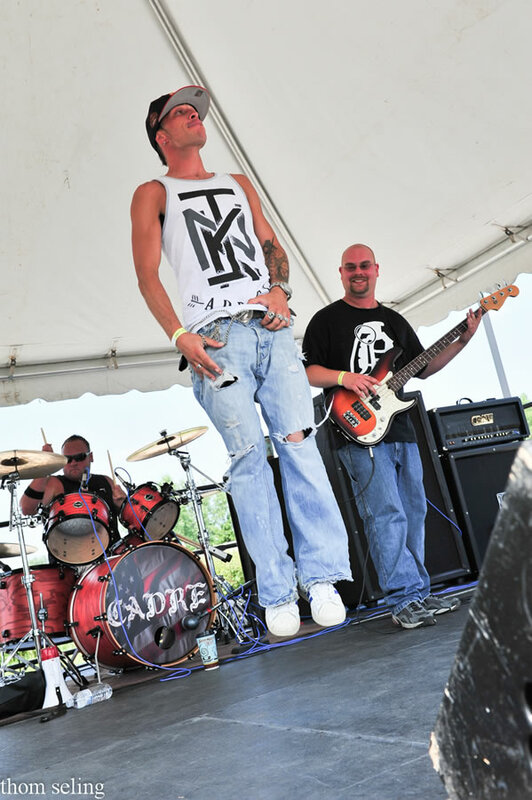 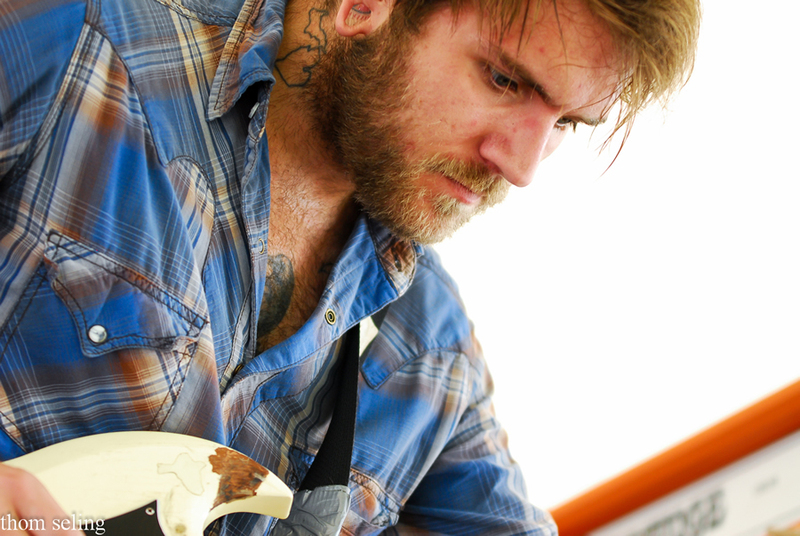 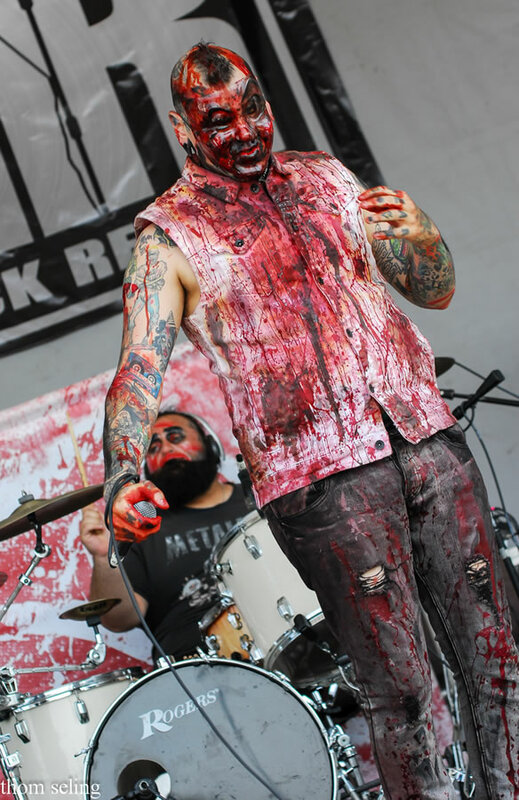 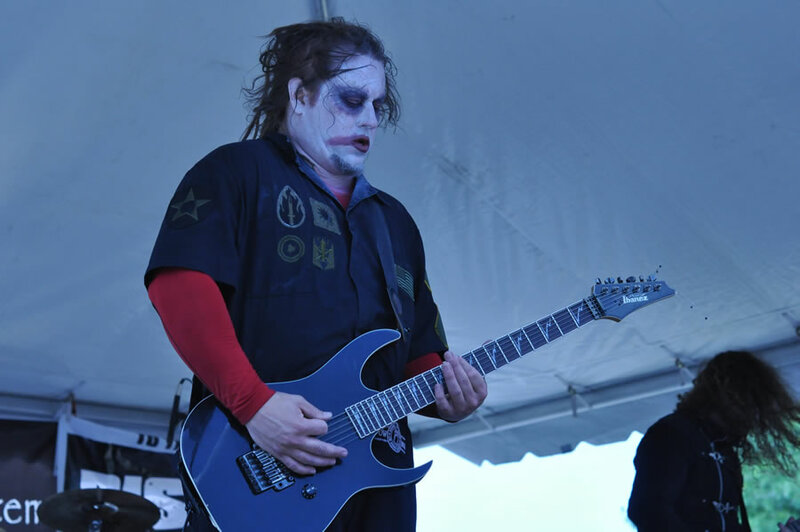 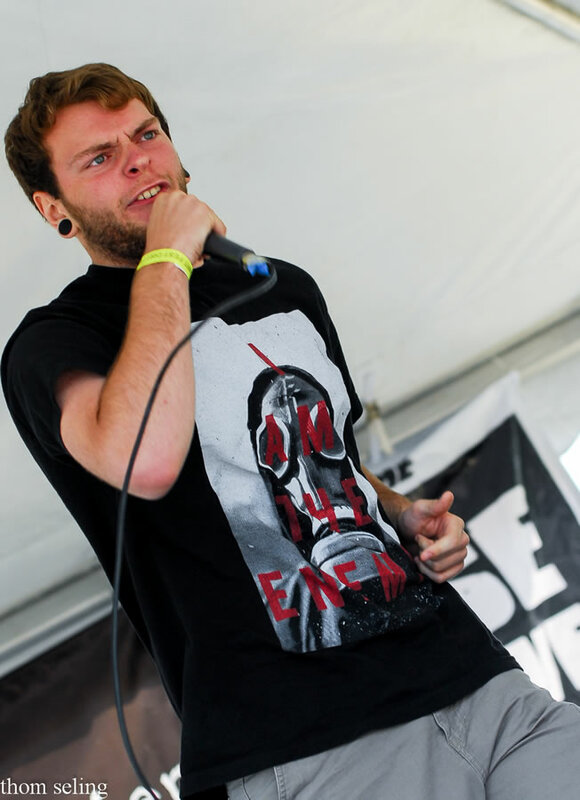 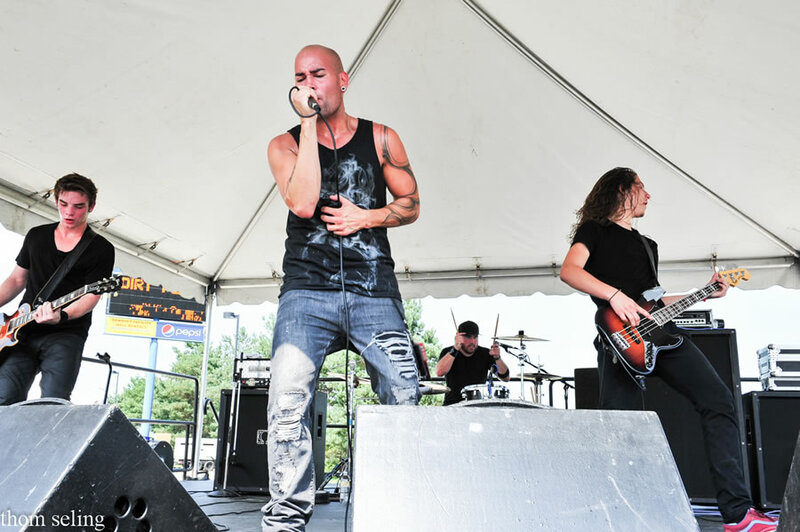 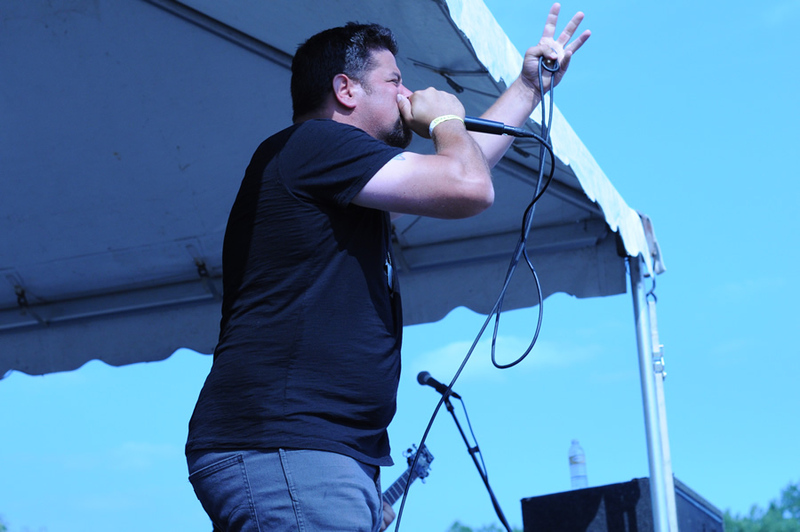 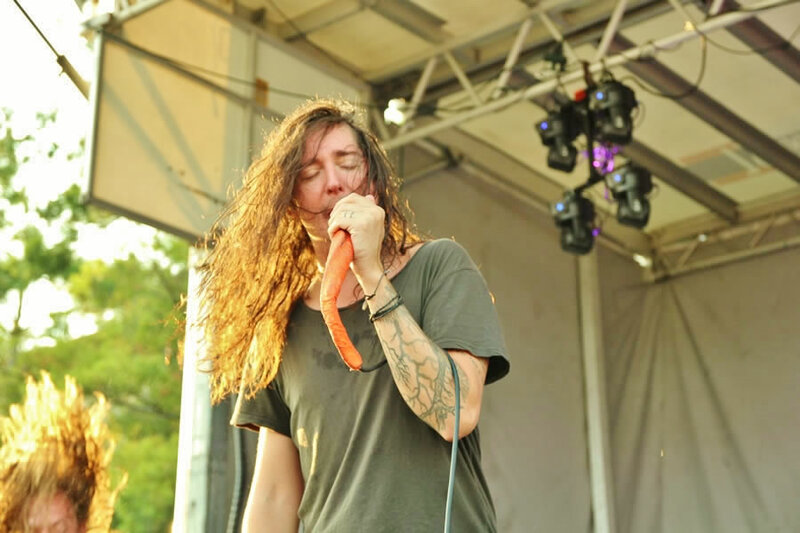 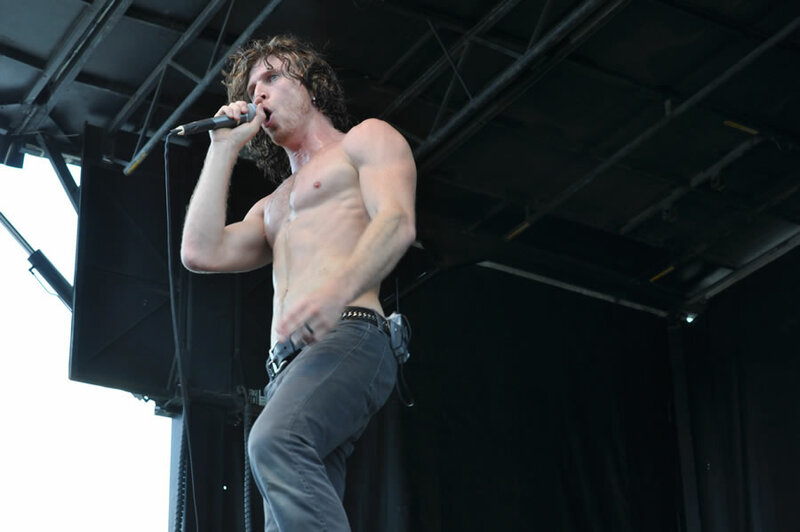 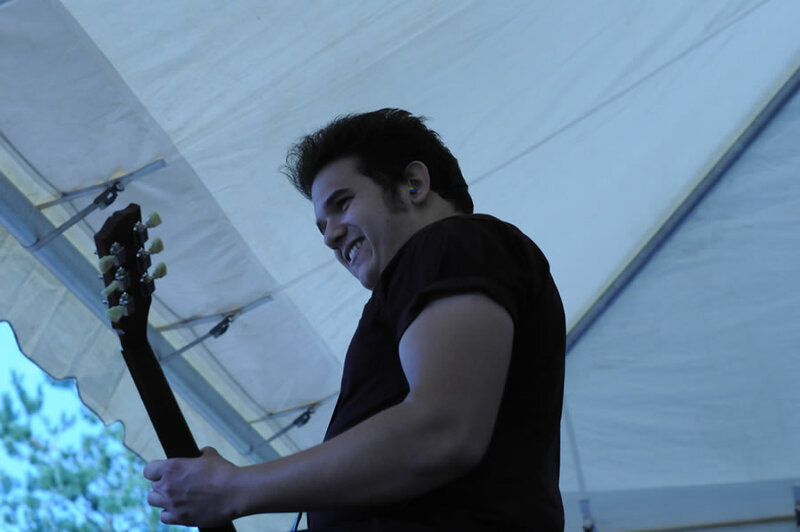 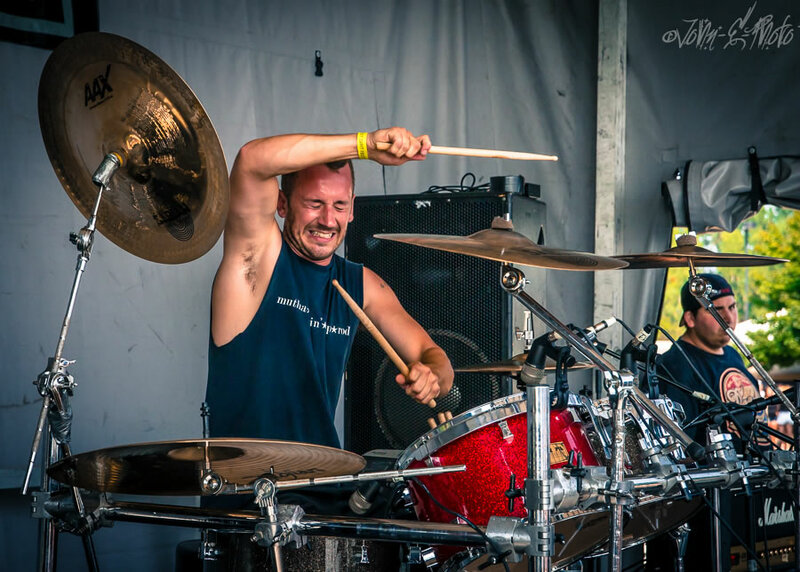 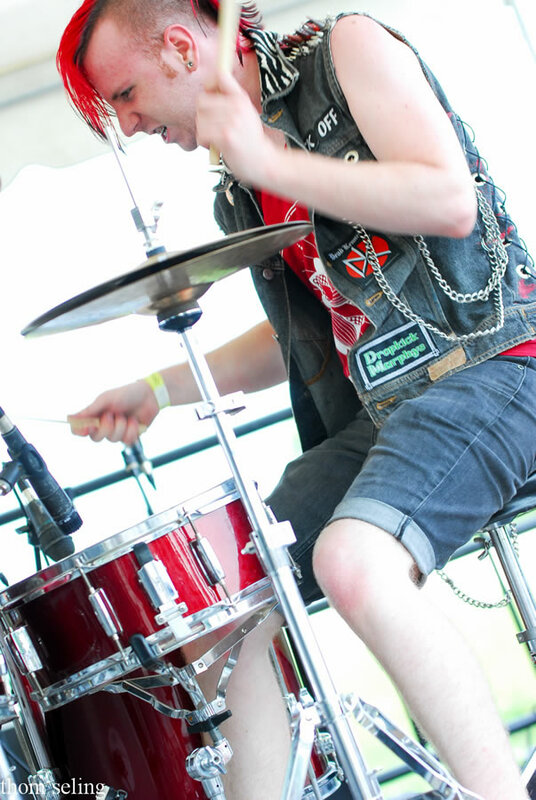 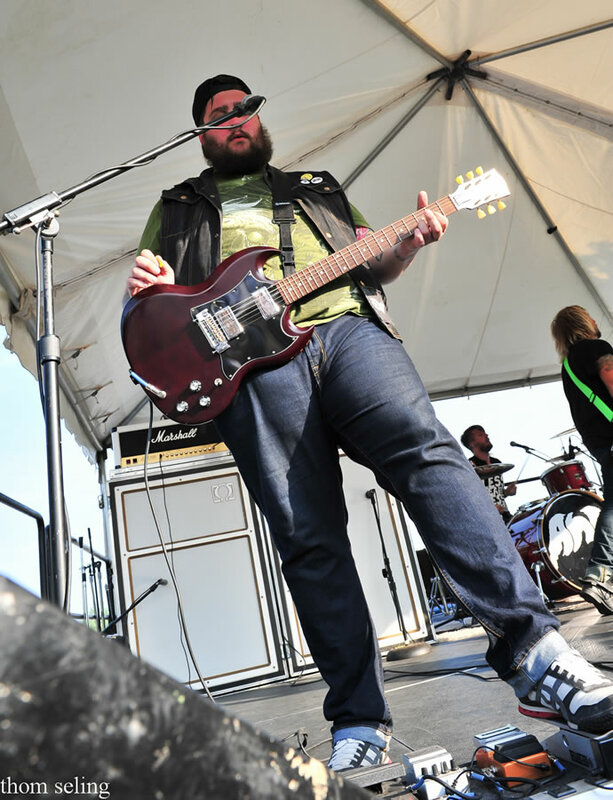 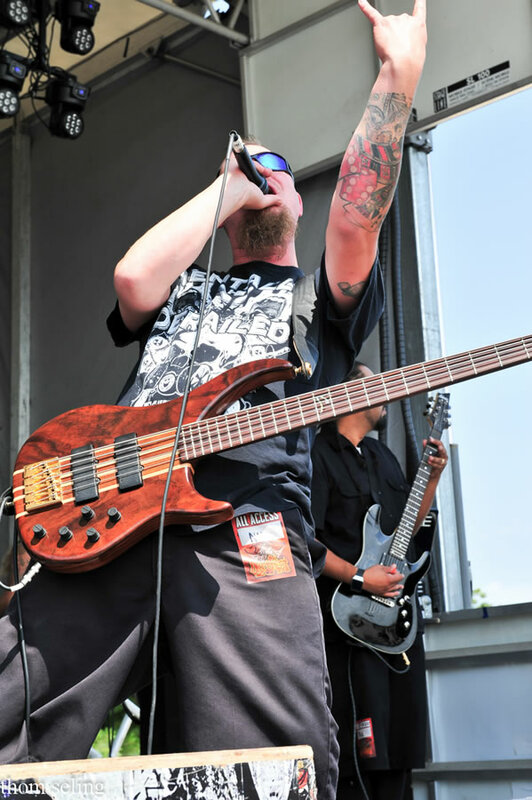 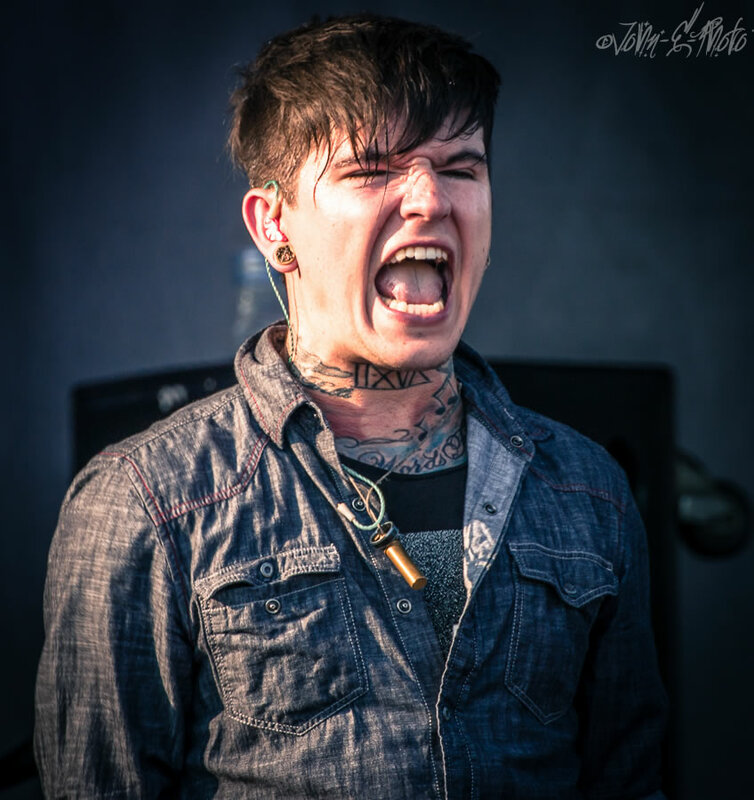 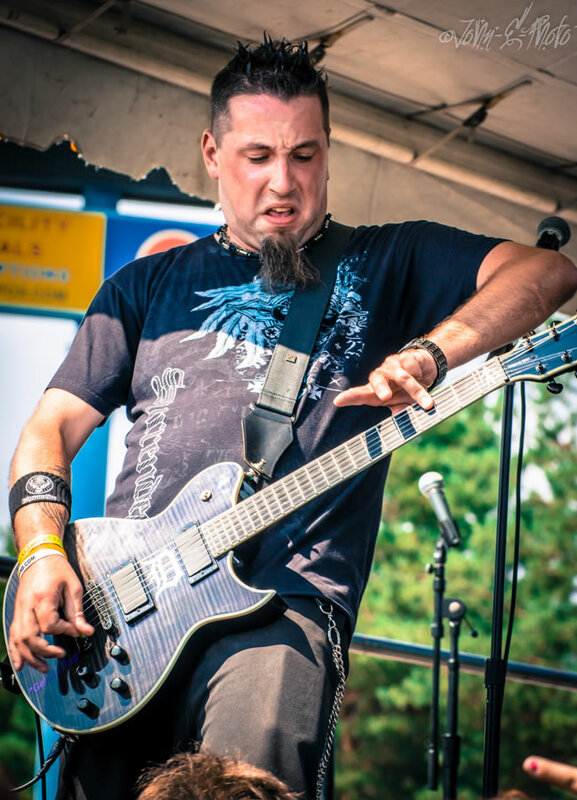 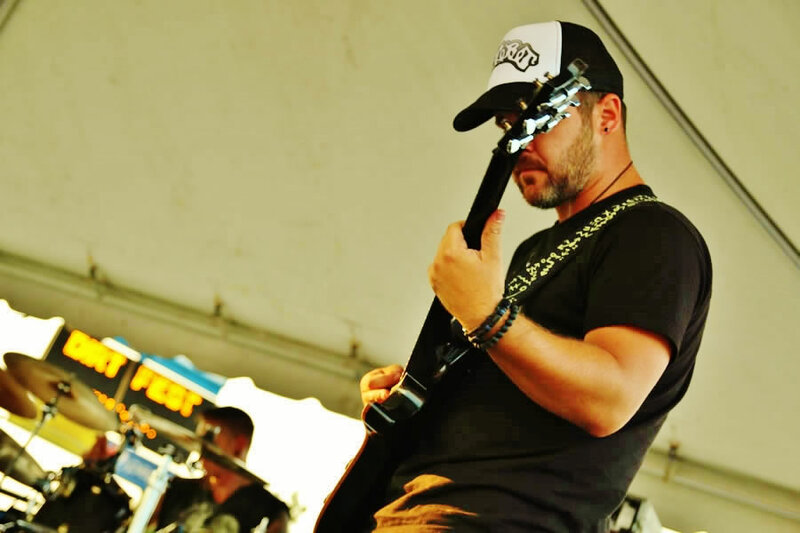 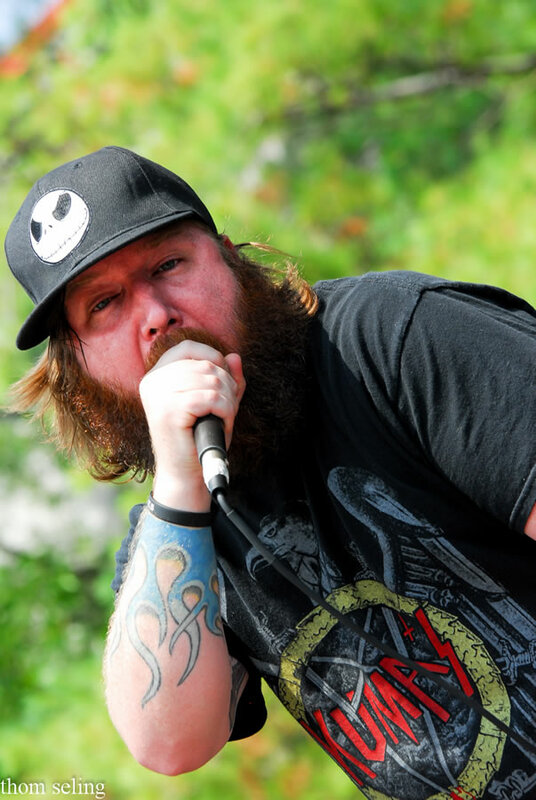 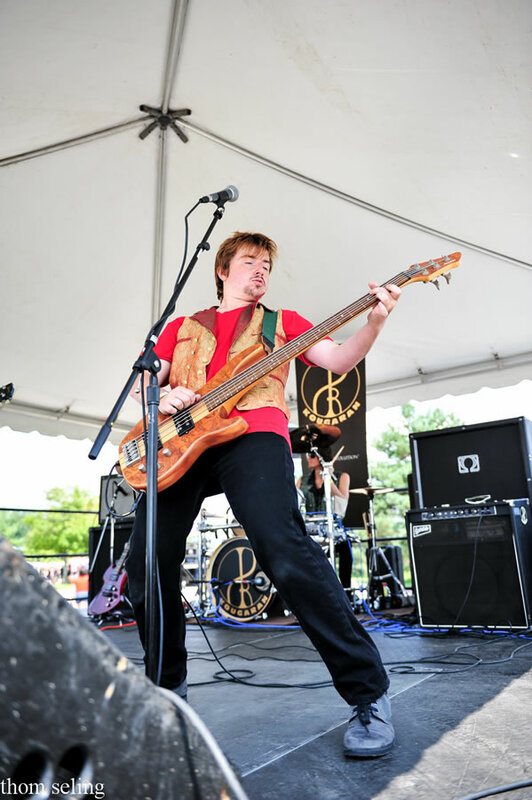 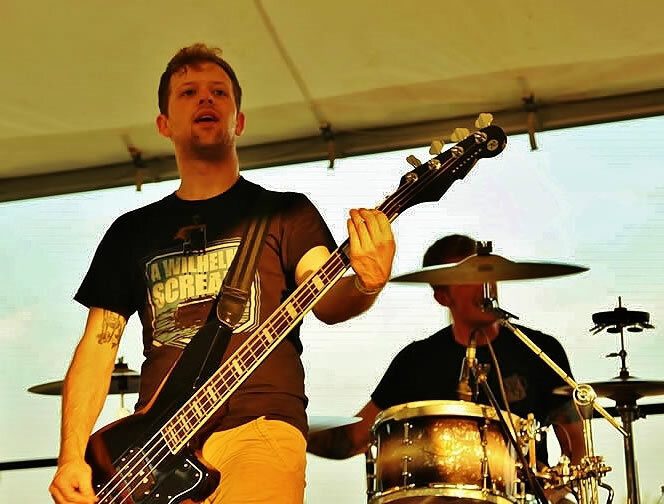 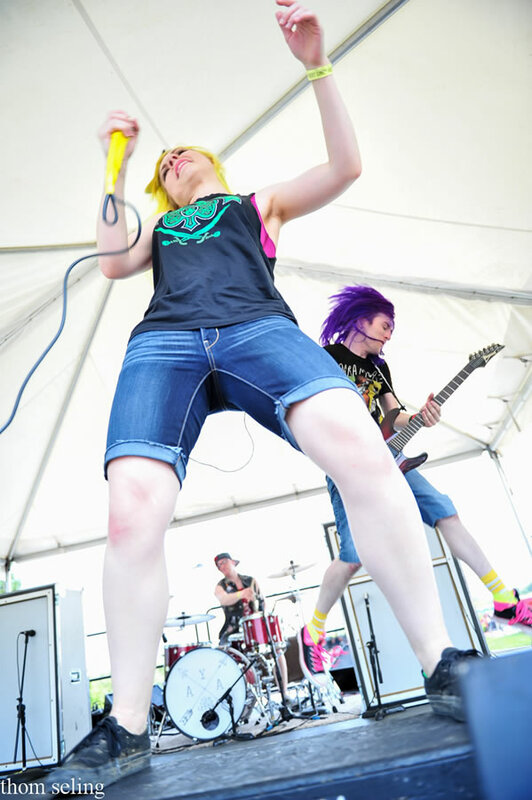 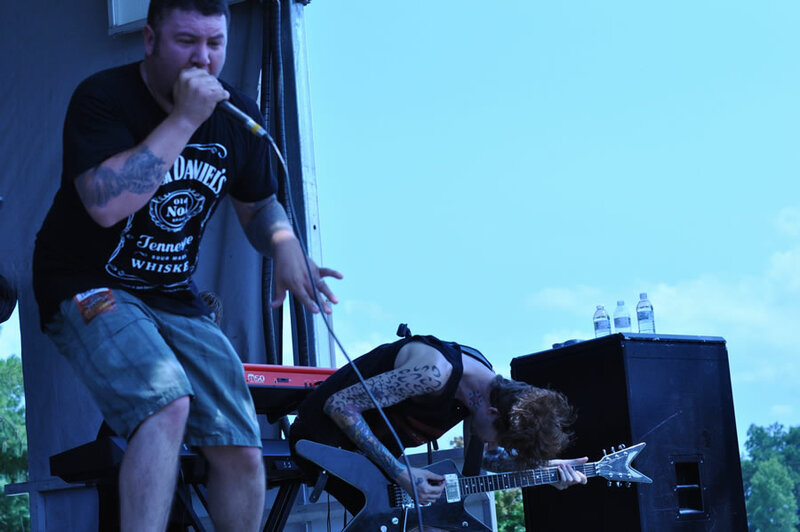 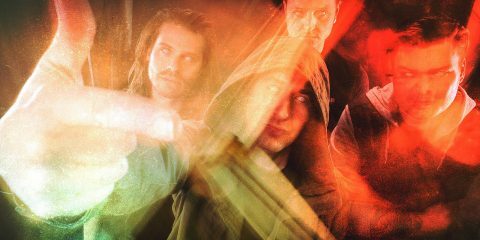 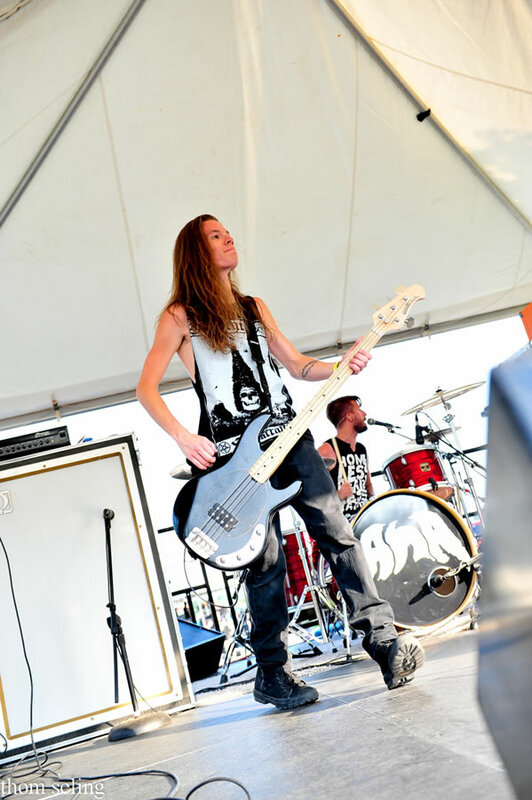 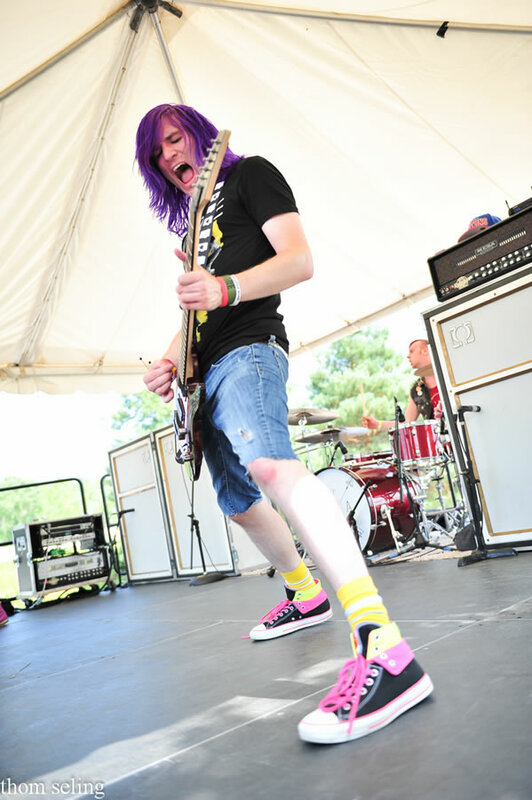 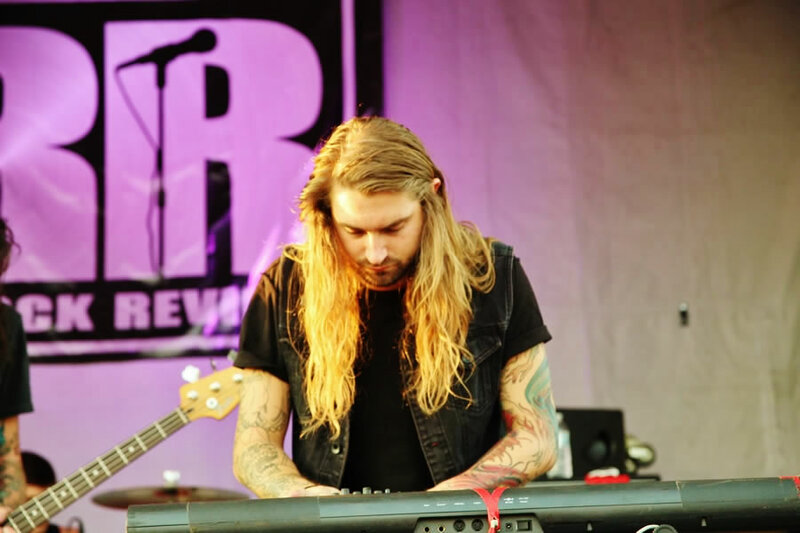 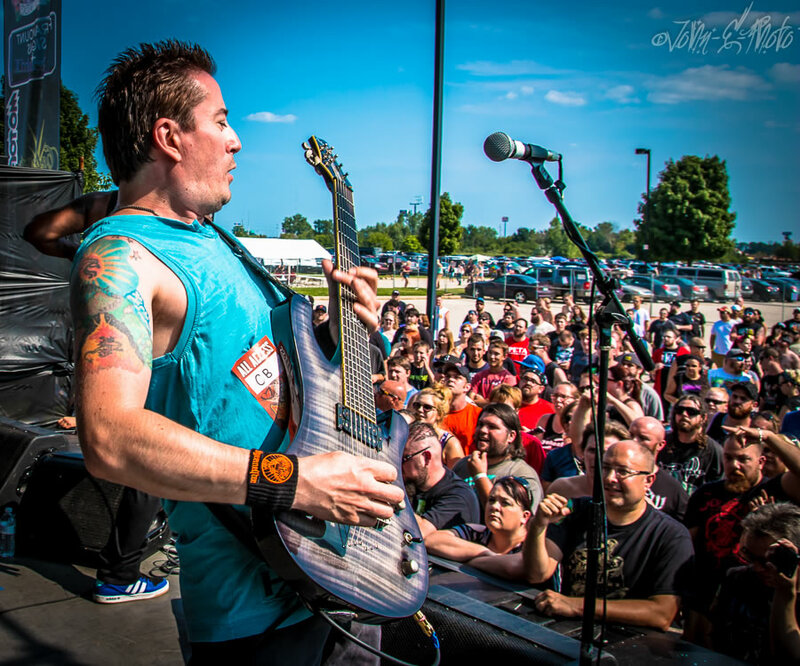 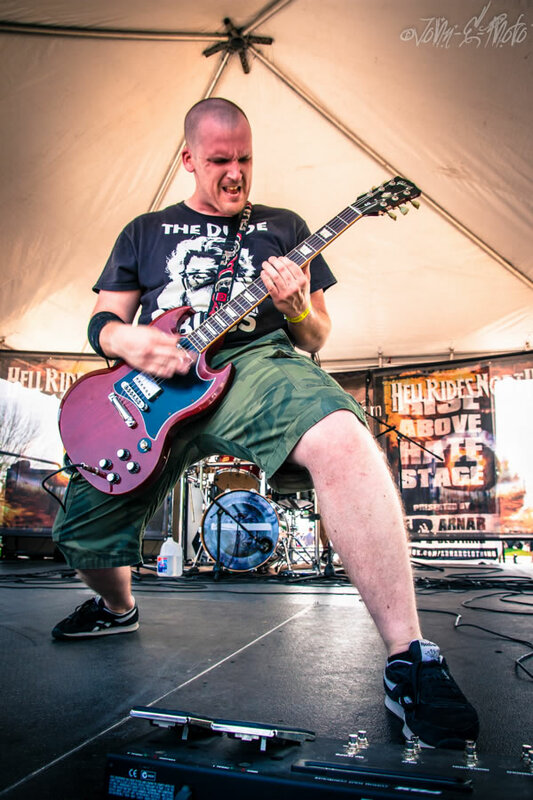 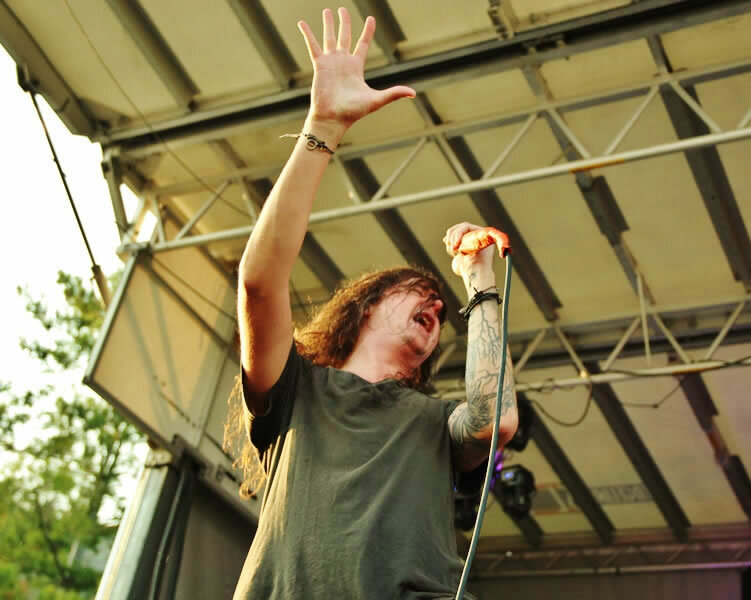 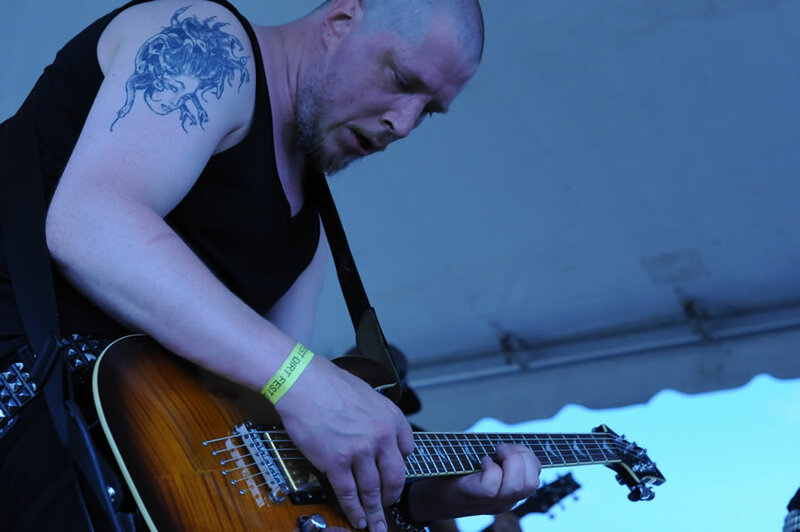 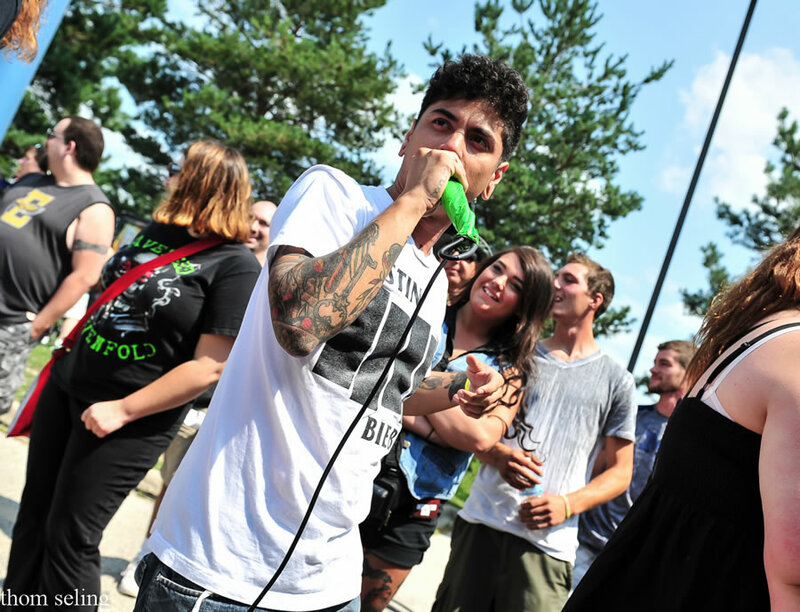 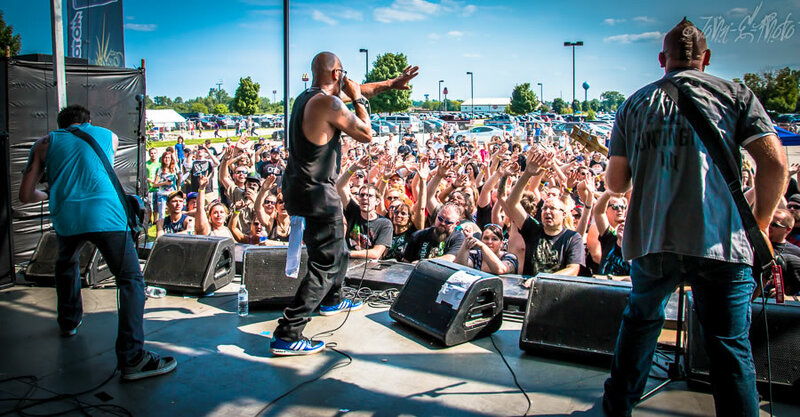 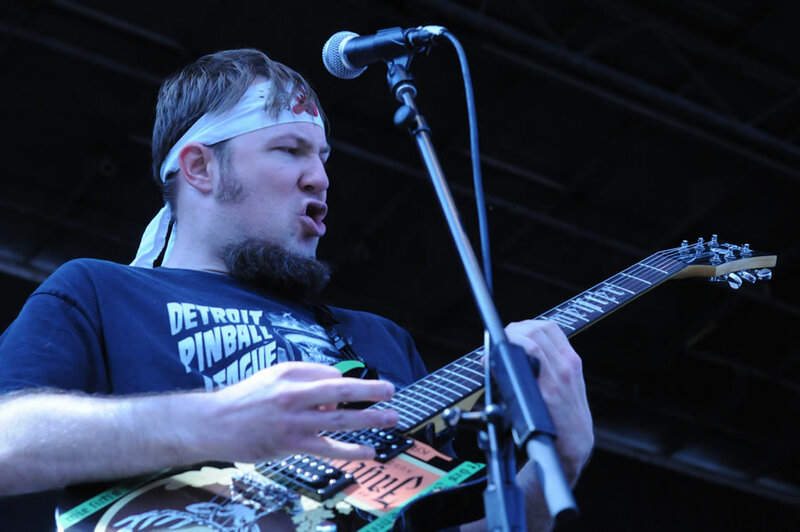 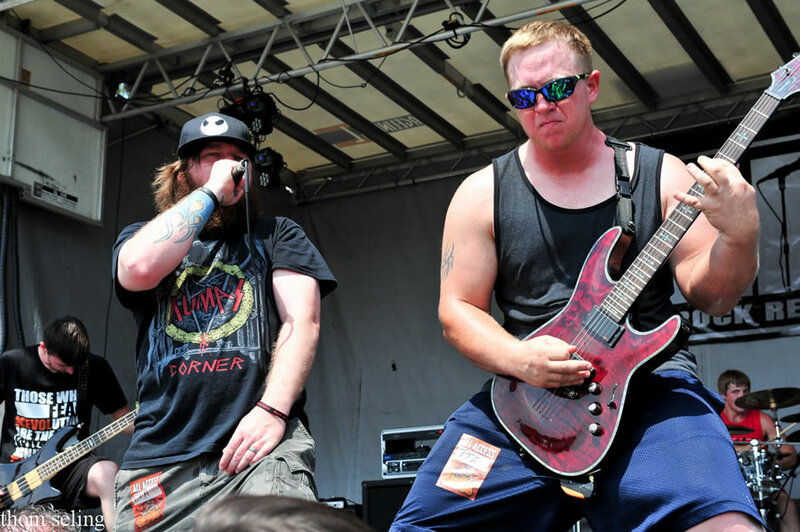 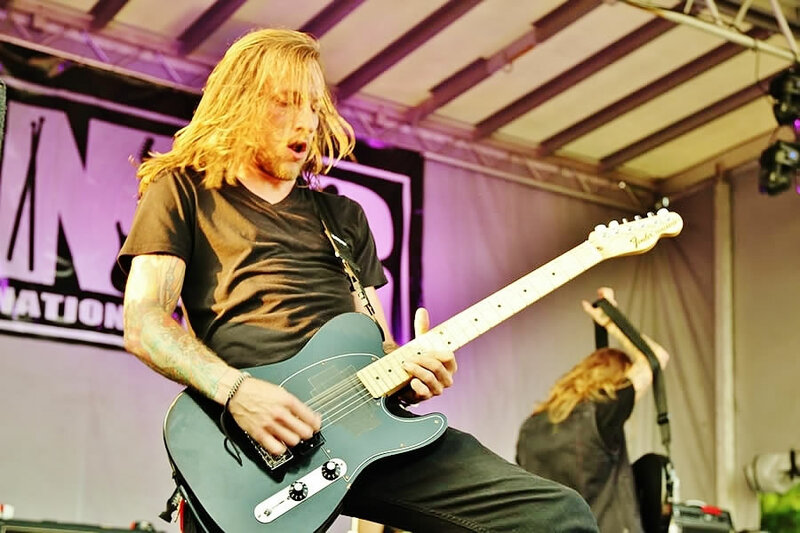 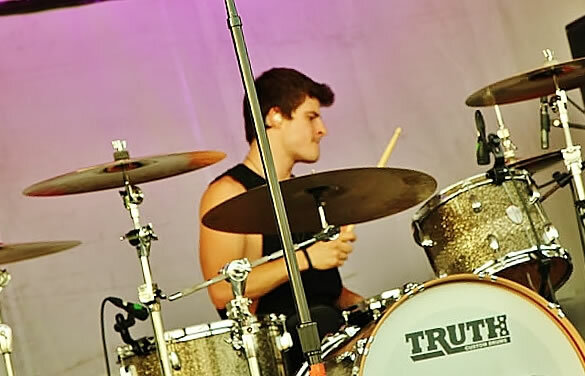 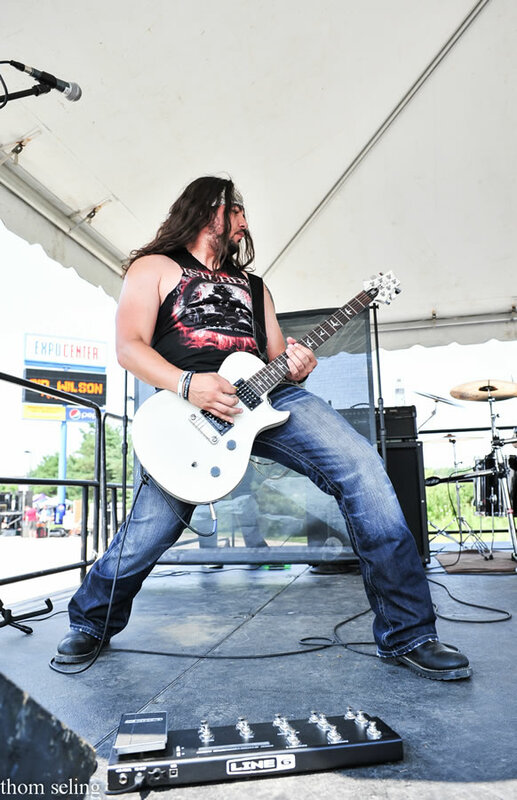 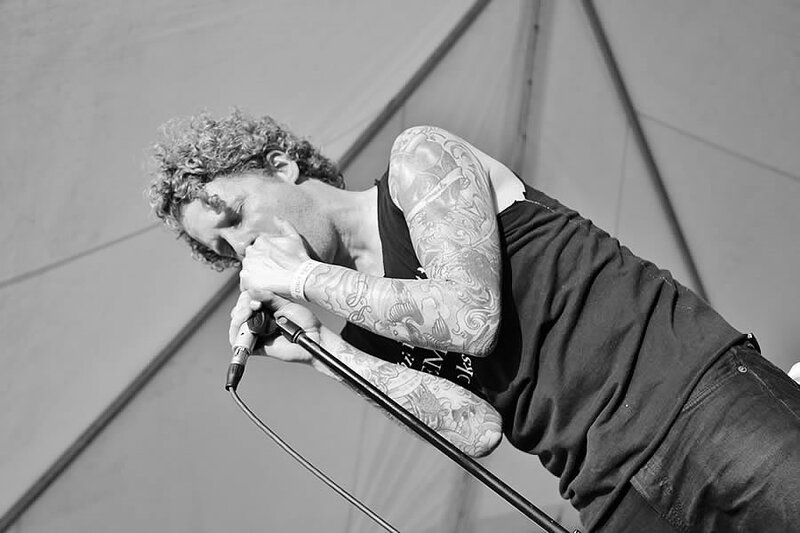 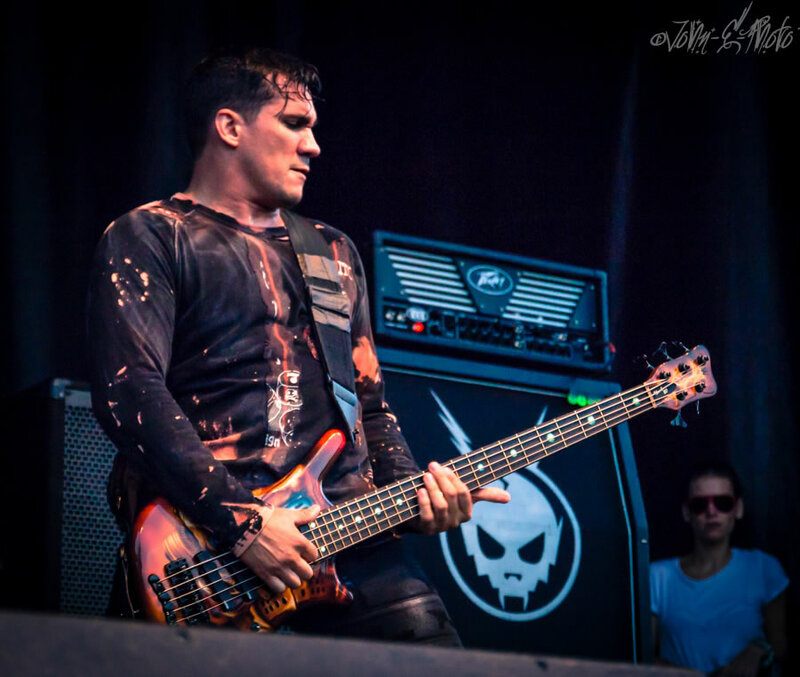 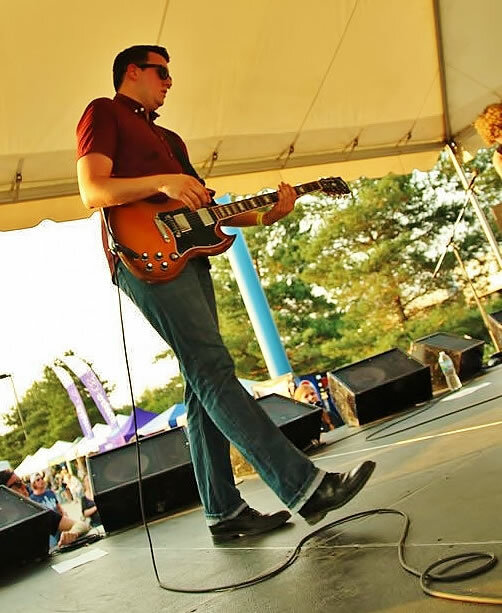 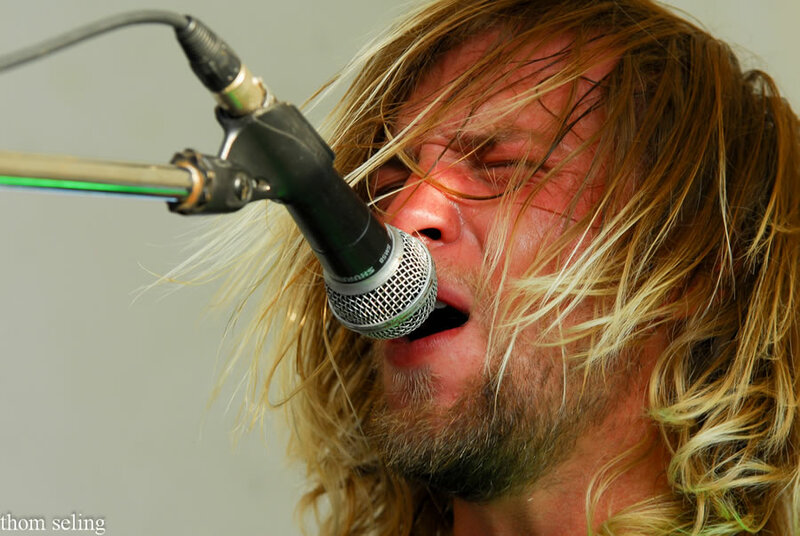 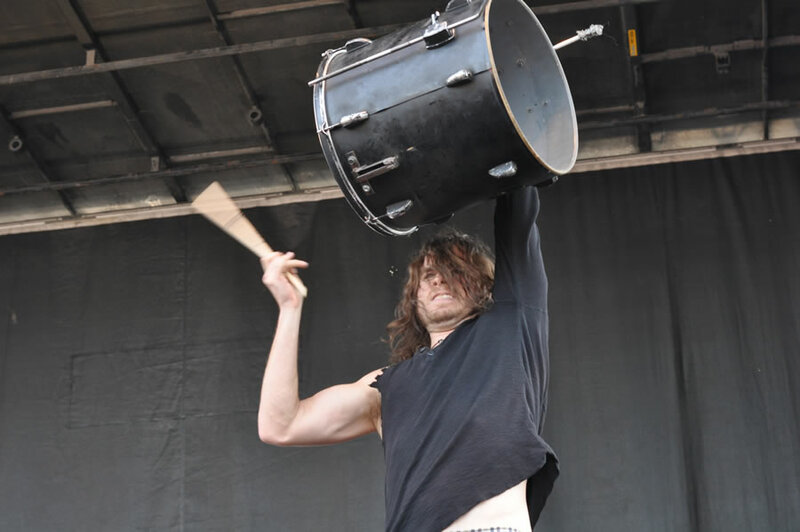 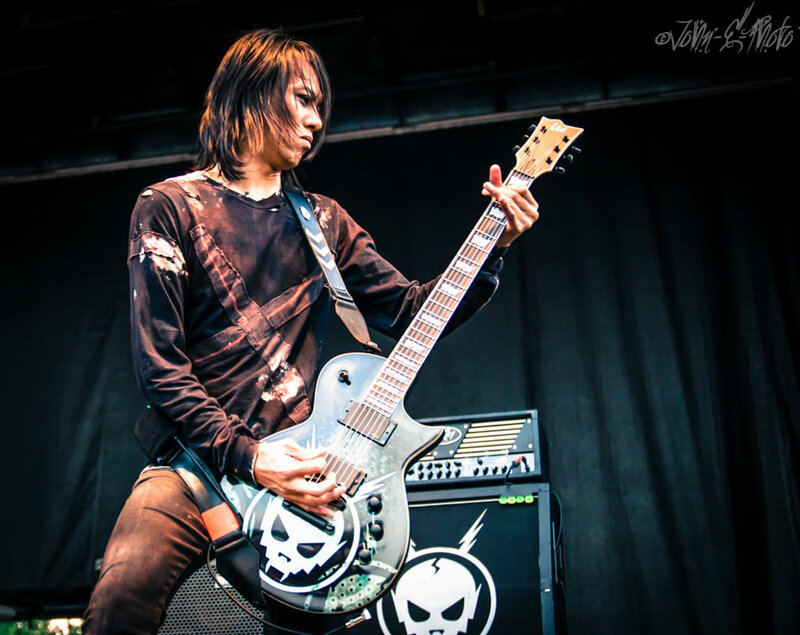 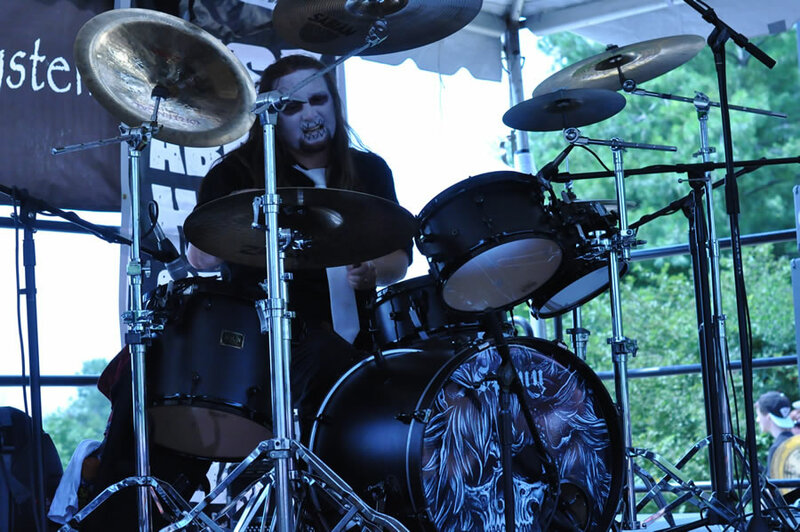 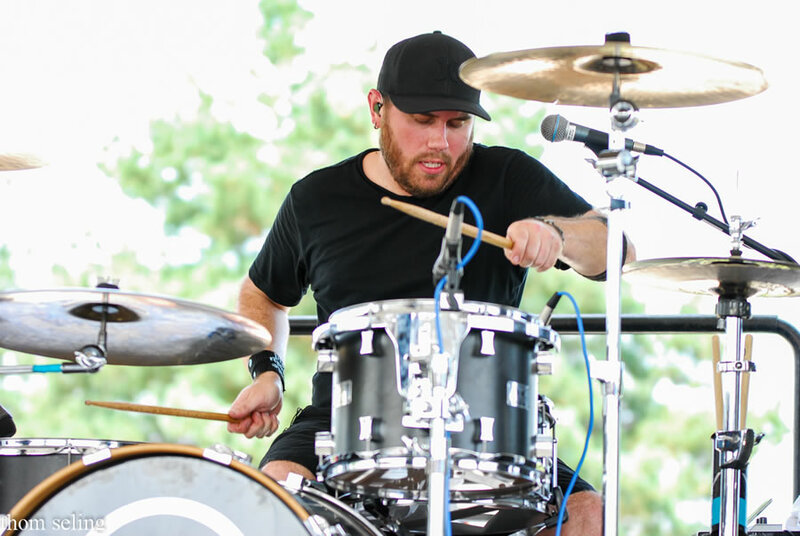 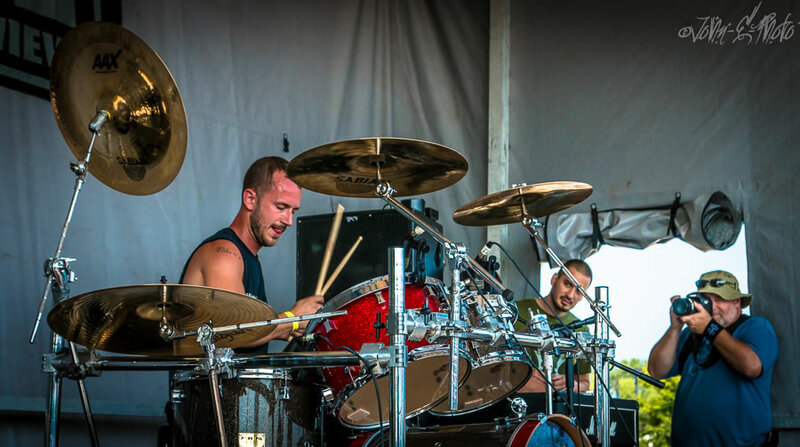 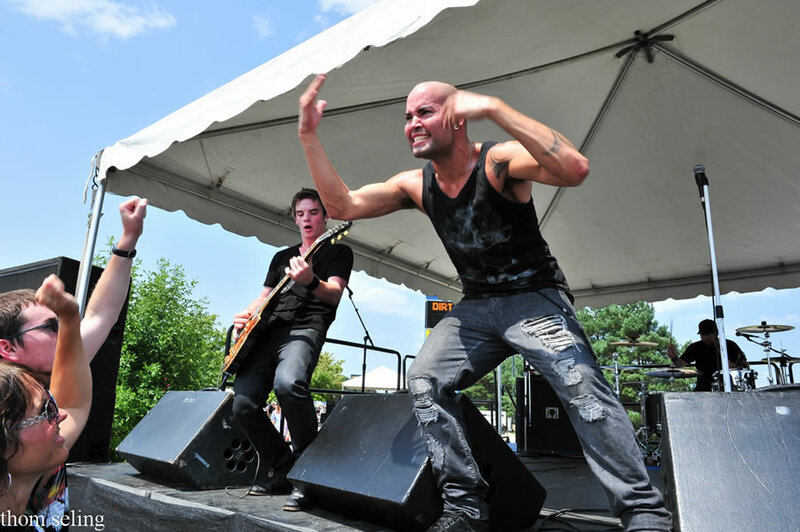 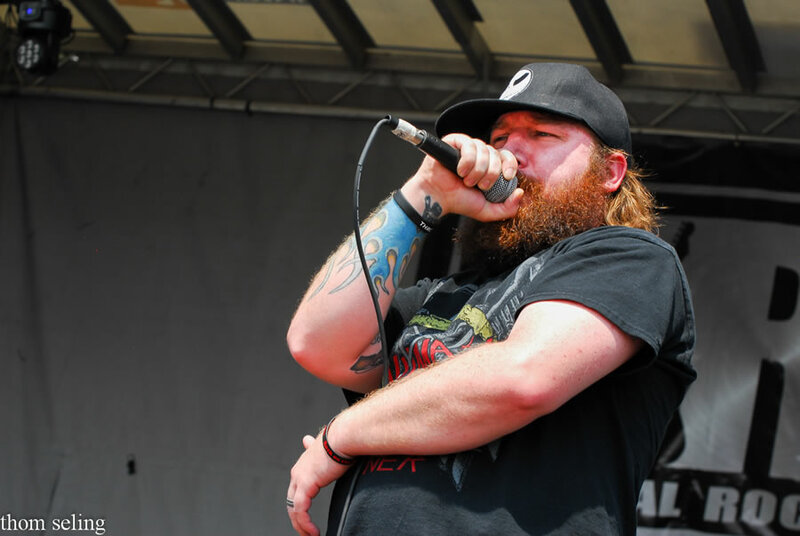 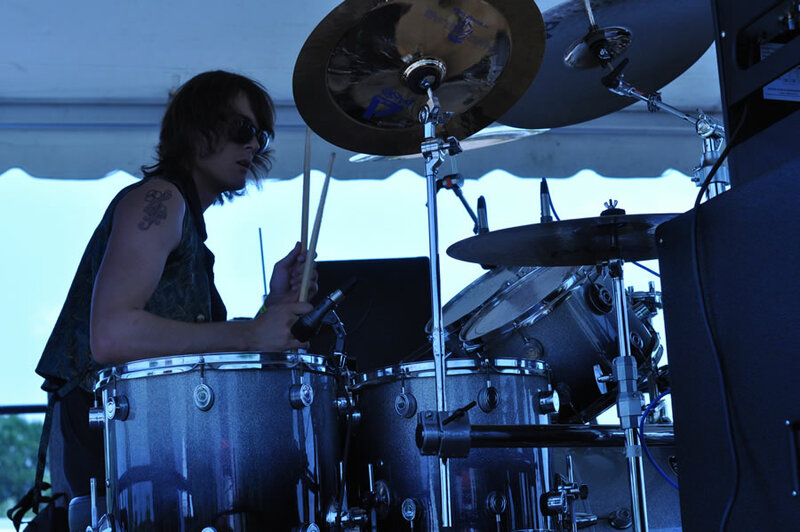 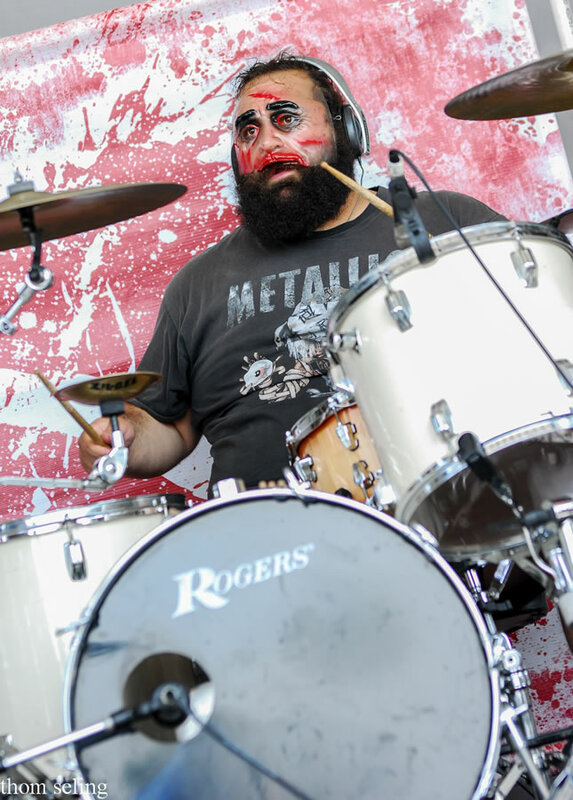 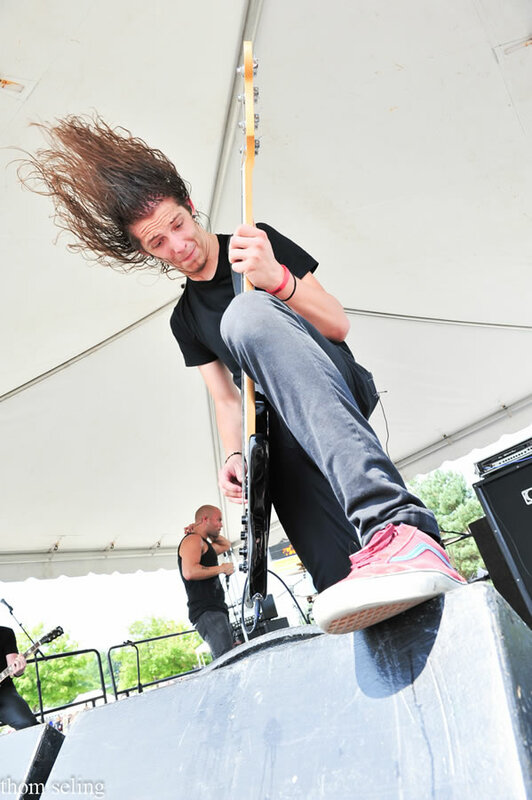 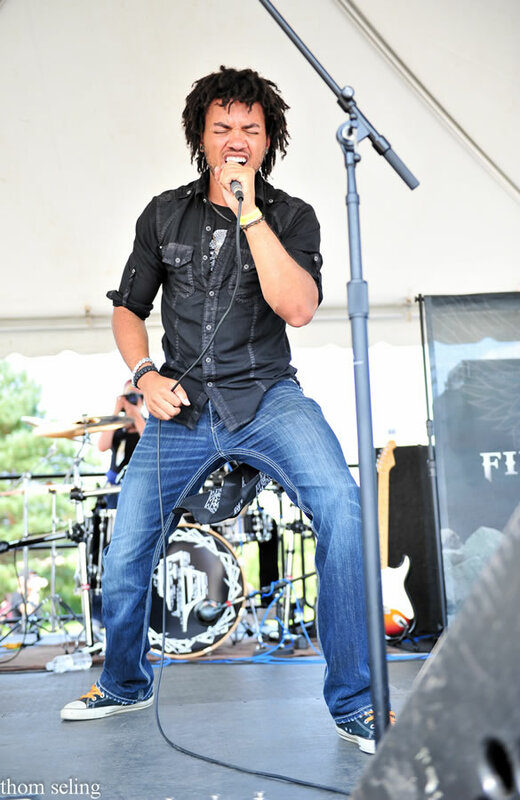 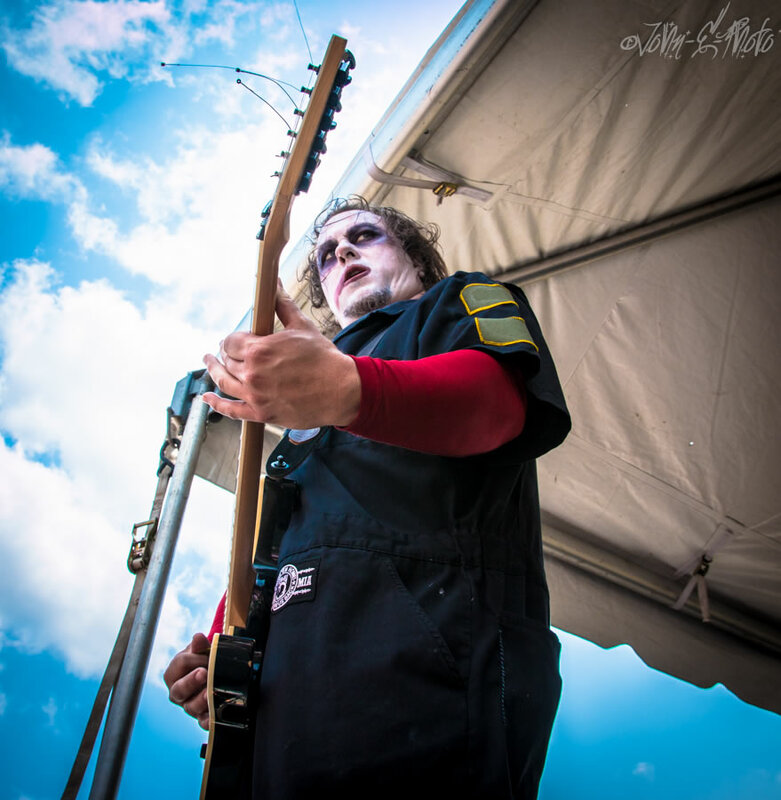 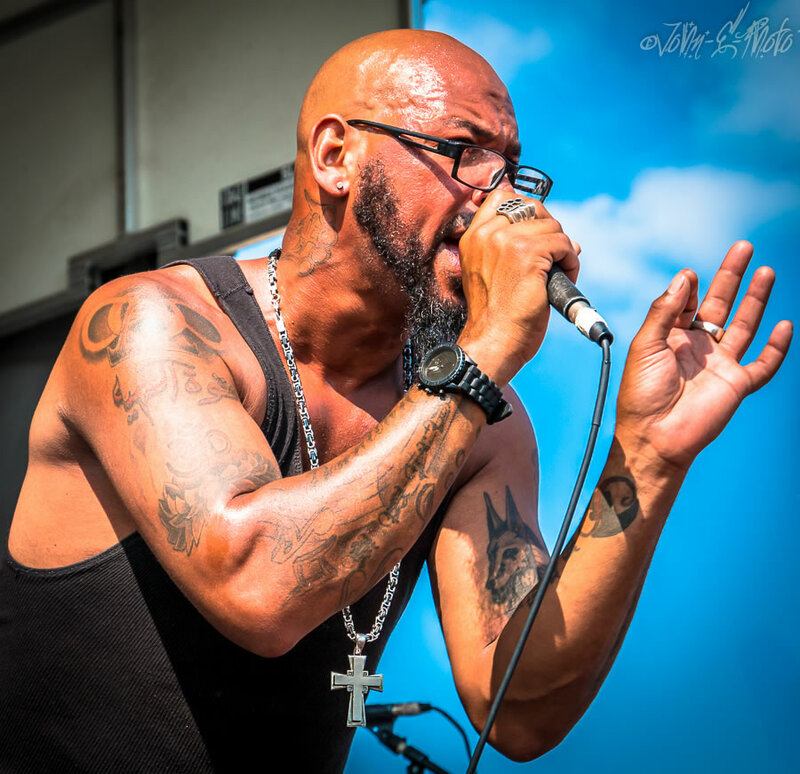 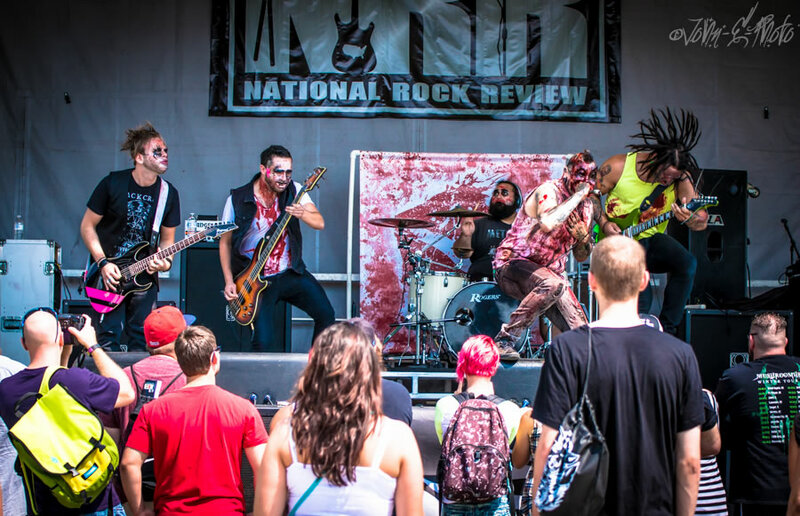 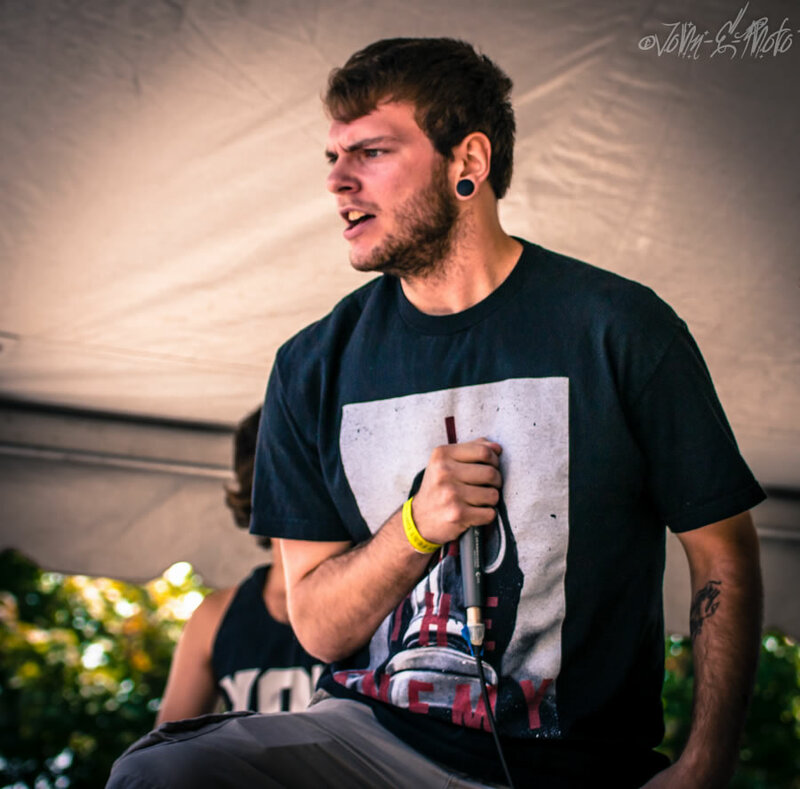 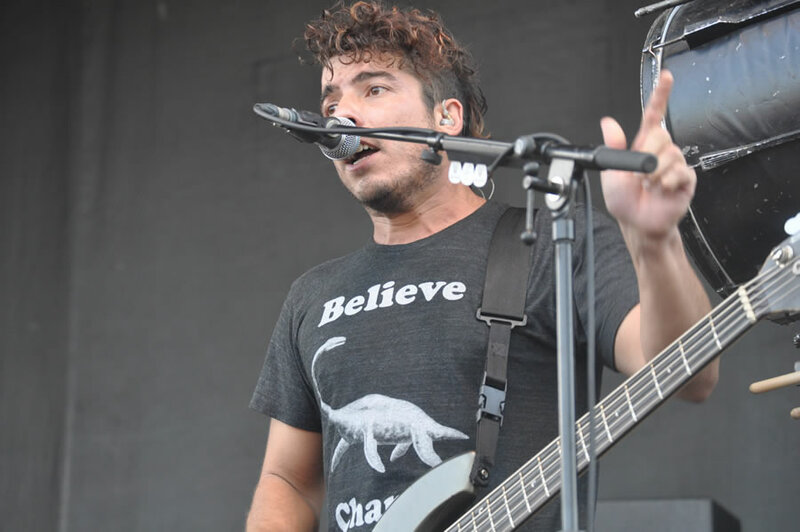 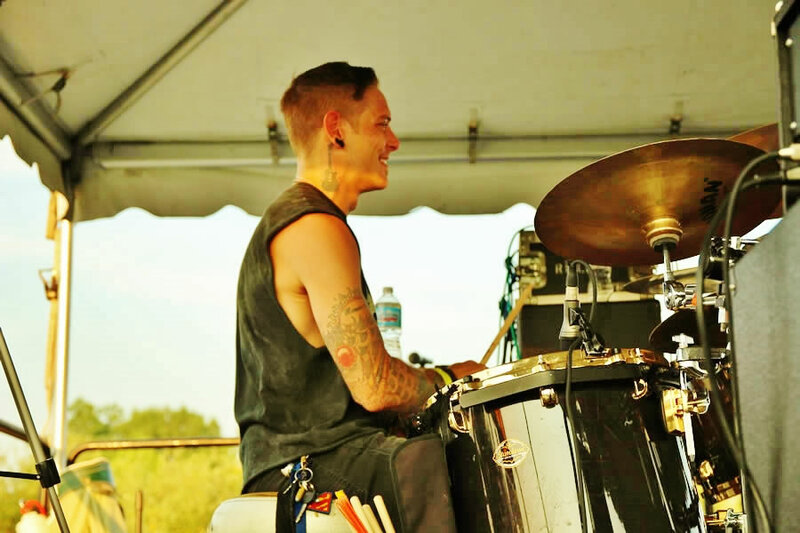 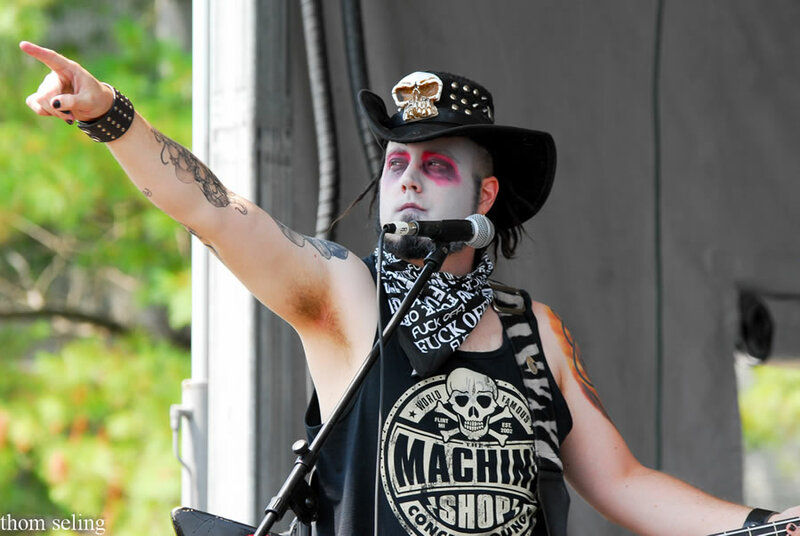 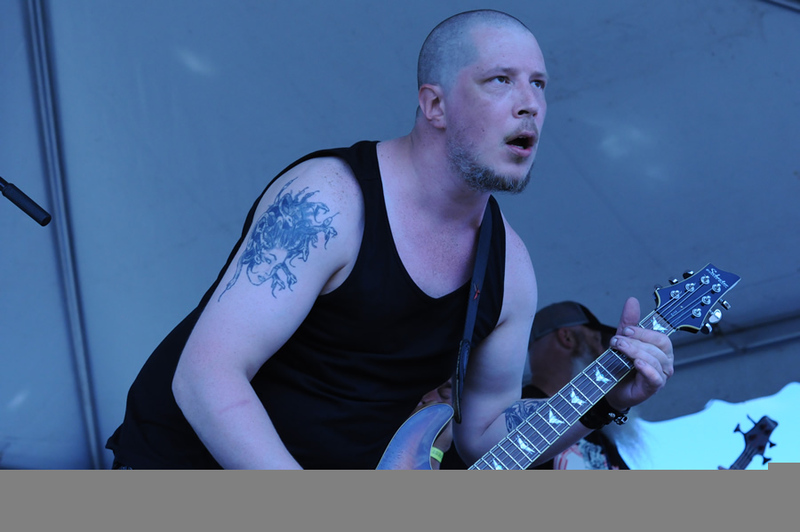 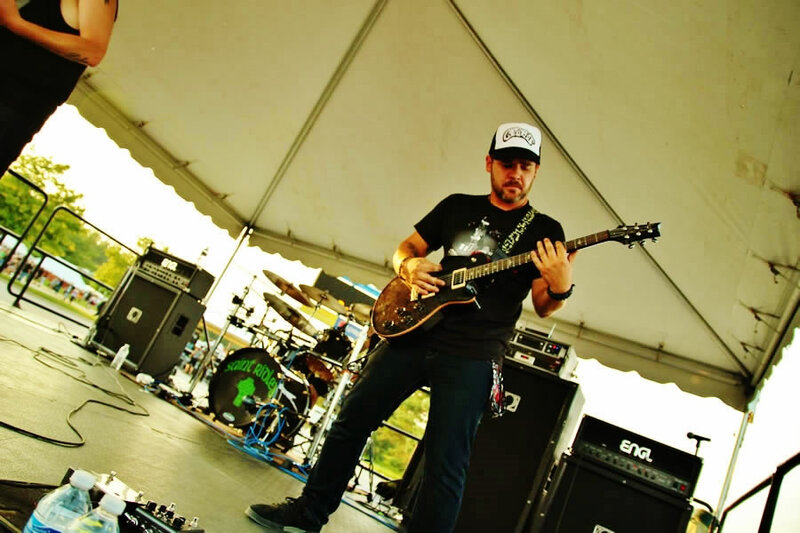 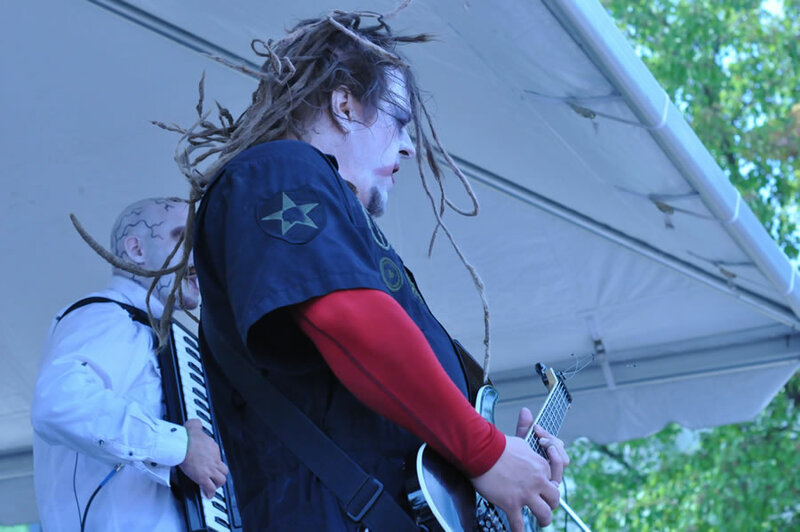 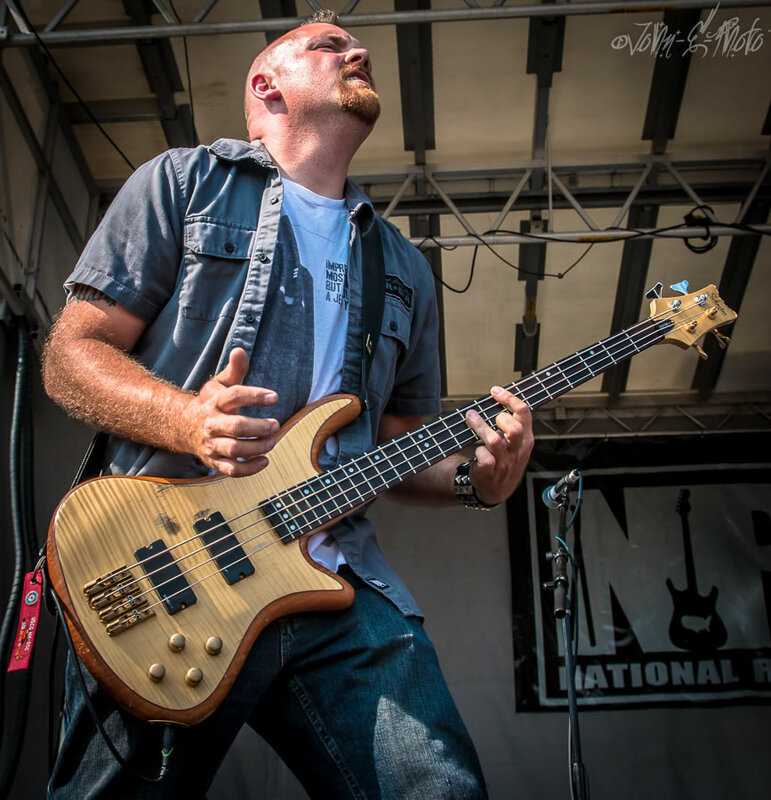 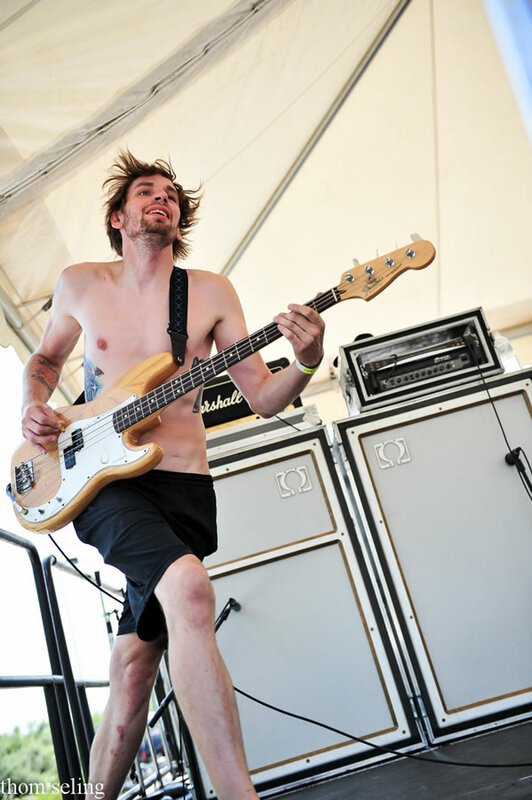 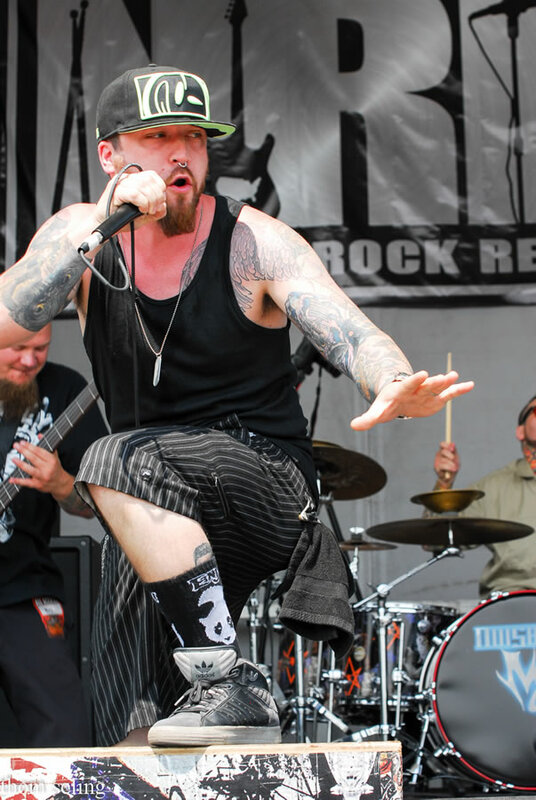 Ded Drops New Video for "Anti-Everything"
Dirt Fest 2014 highlights: hard rock gathers fans together for the 17th annual music festival at the Birch Run Expo Center. 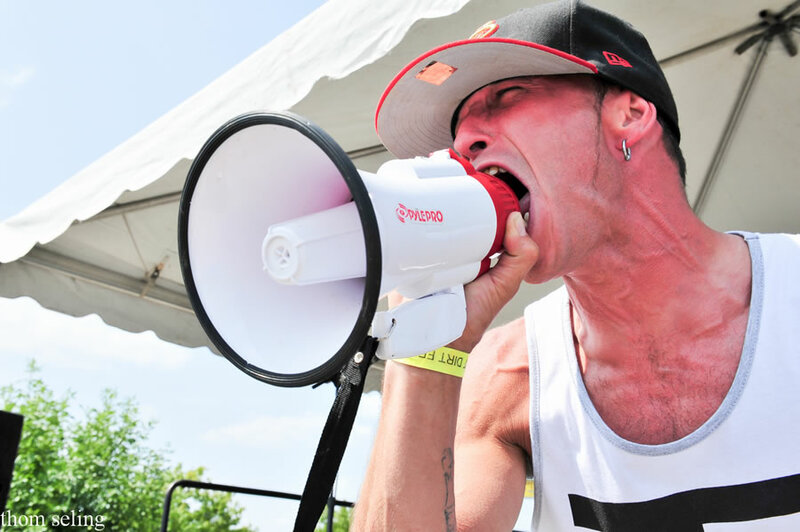 Dirt Fest is a seasoned vet when it comes to bringing the top artists of the year for the annual performance. 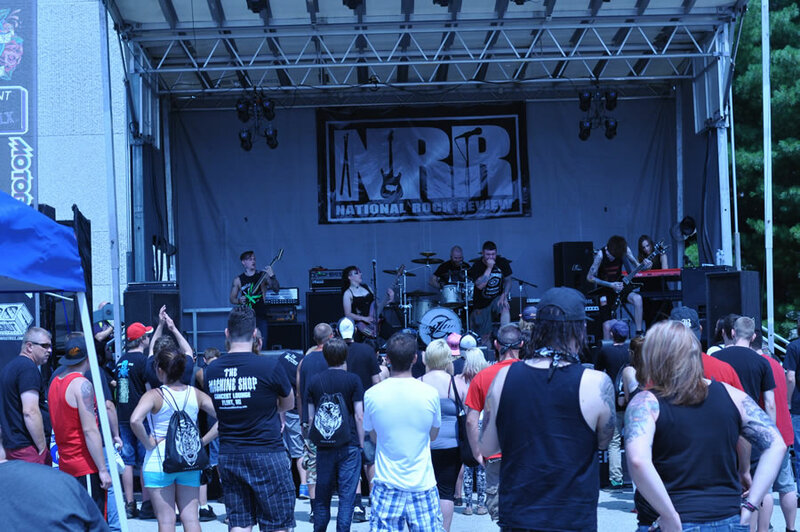 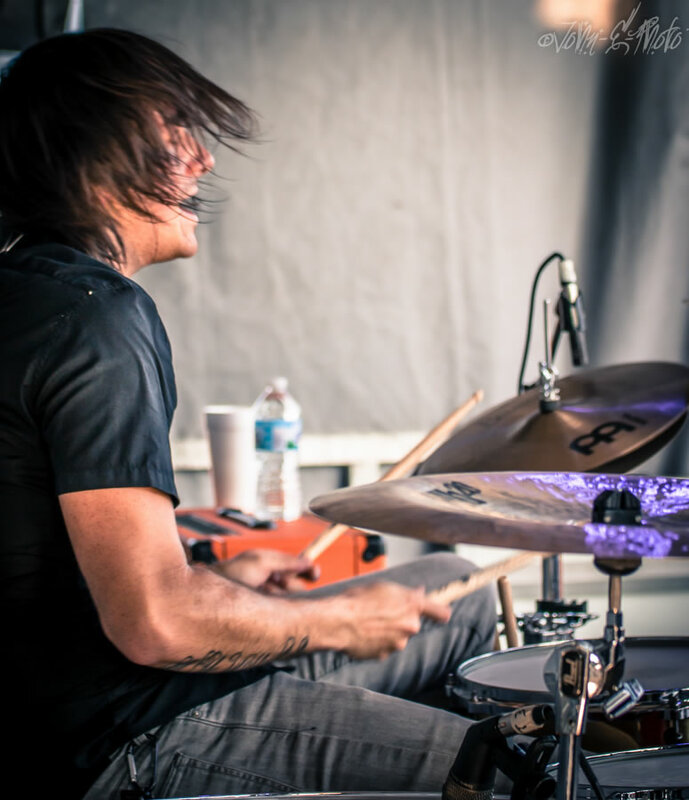 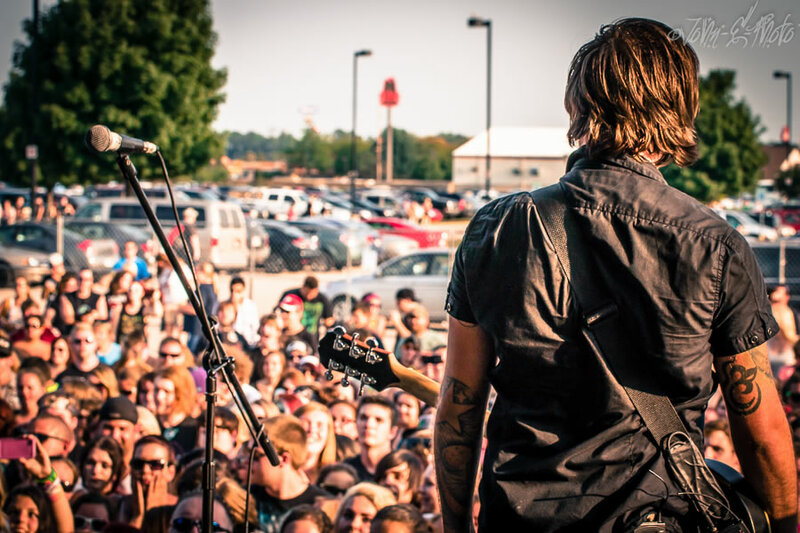 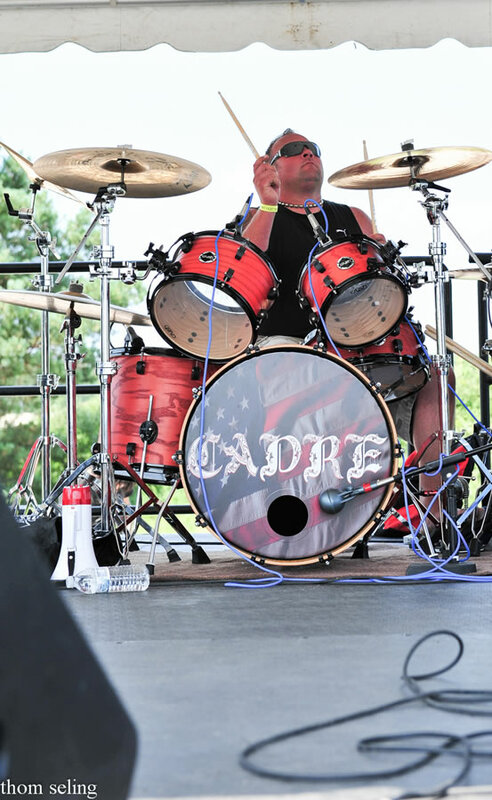 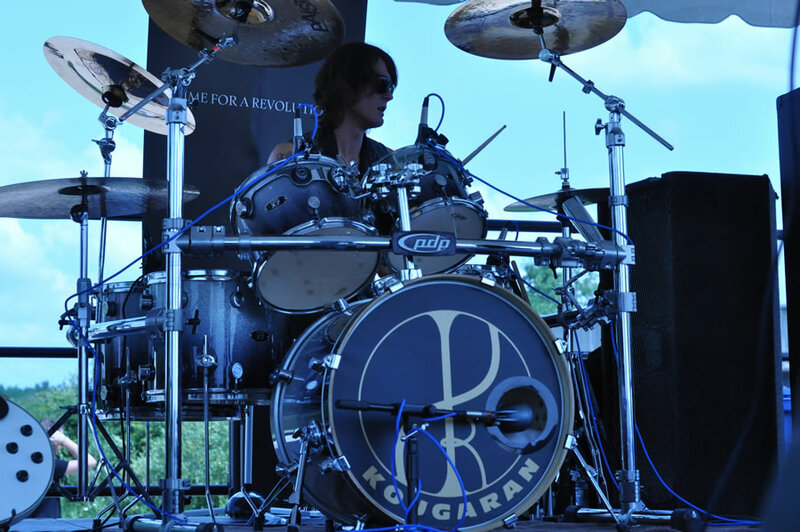 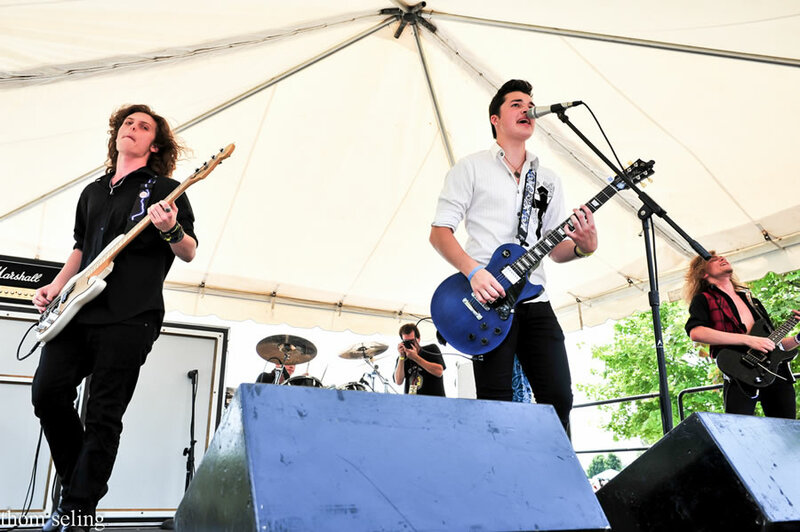 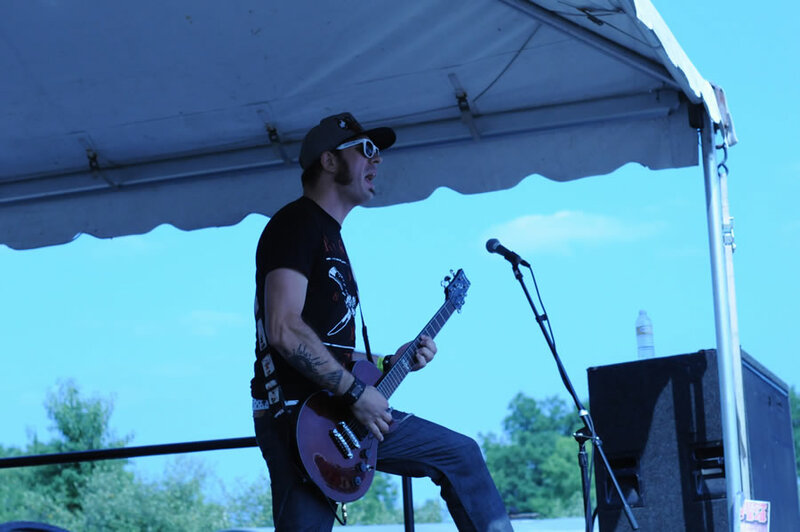 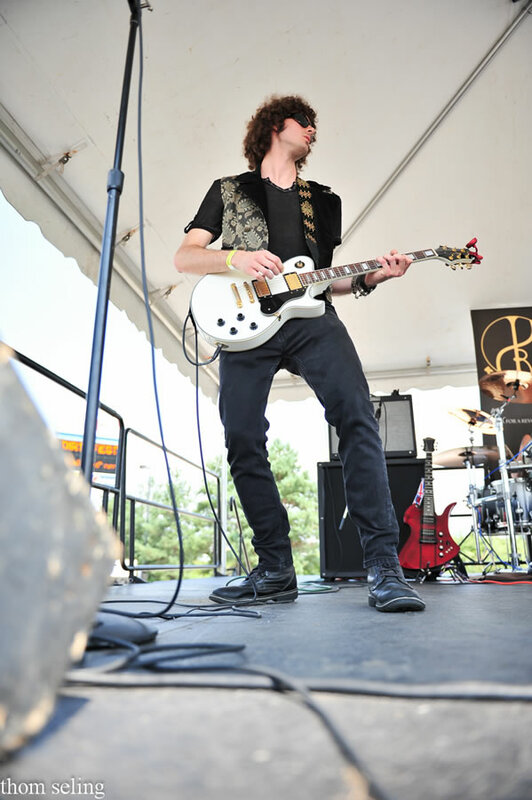 Six stages ruled the expo center including our very own National Rock Review stage. 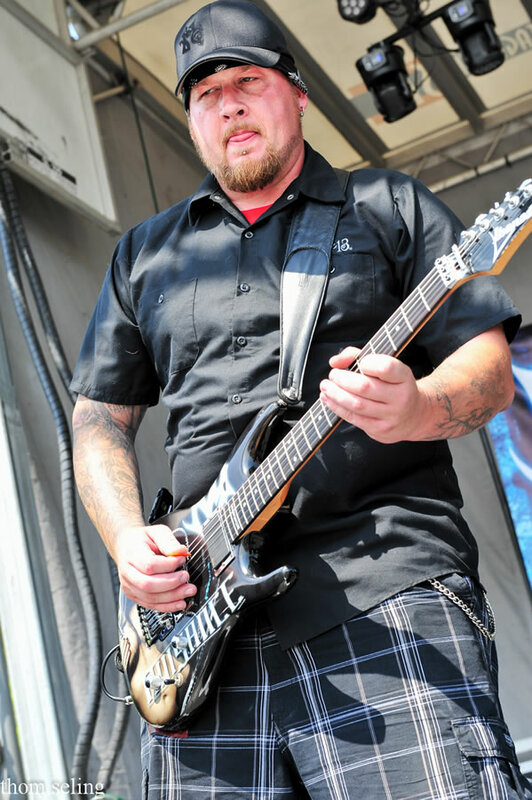 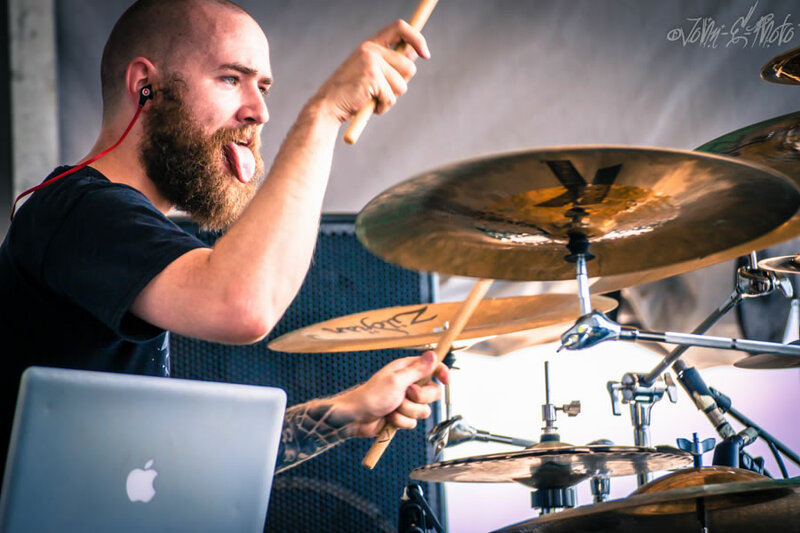 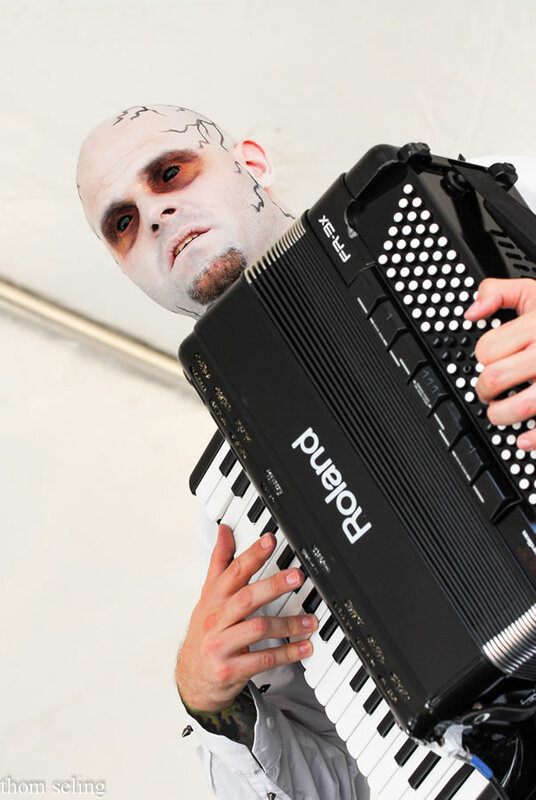 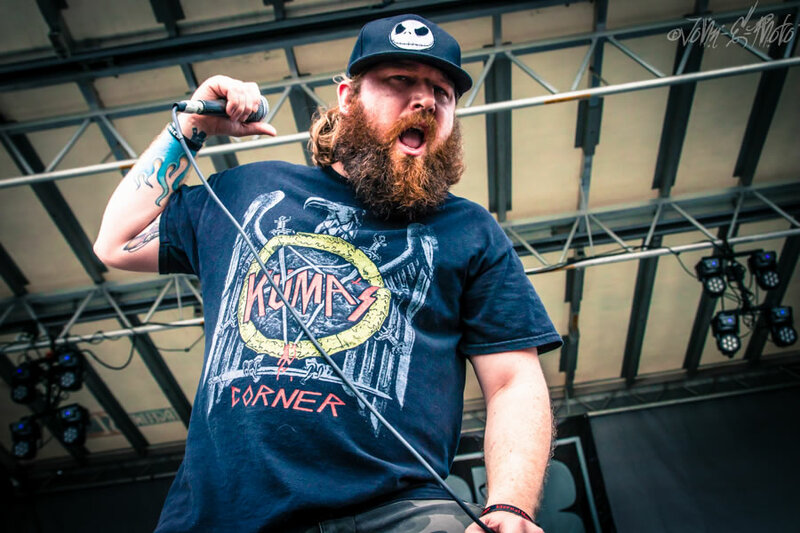 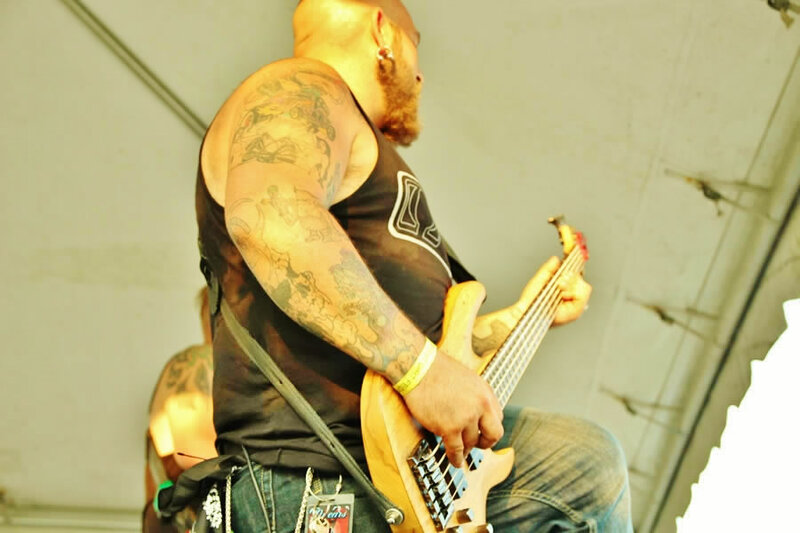 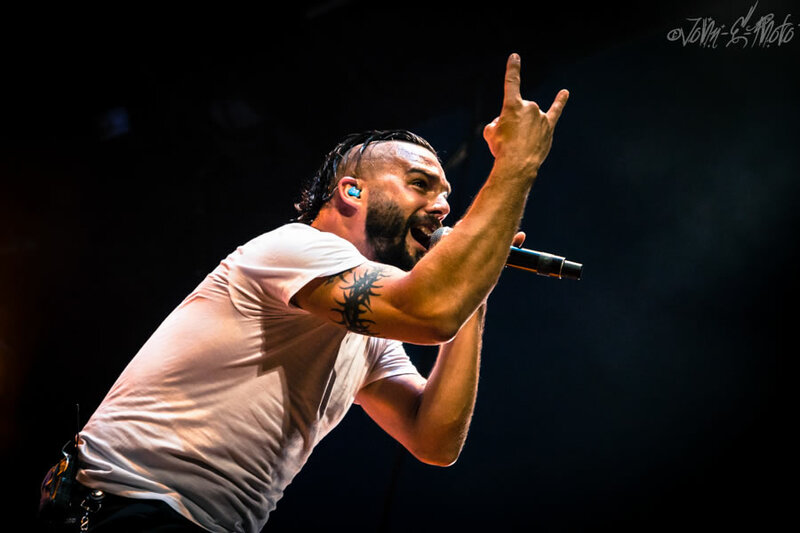 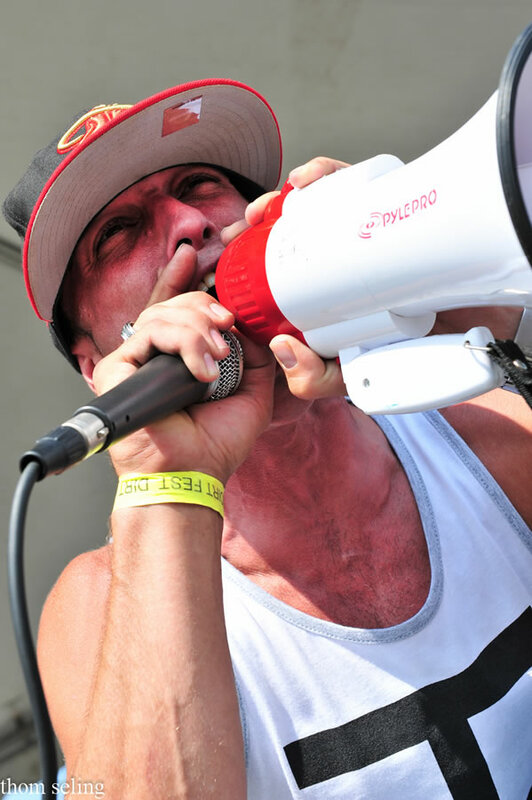 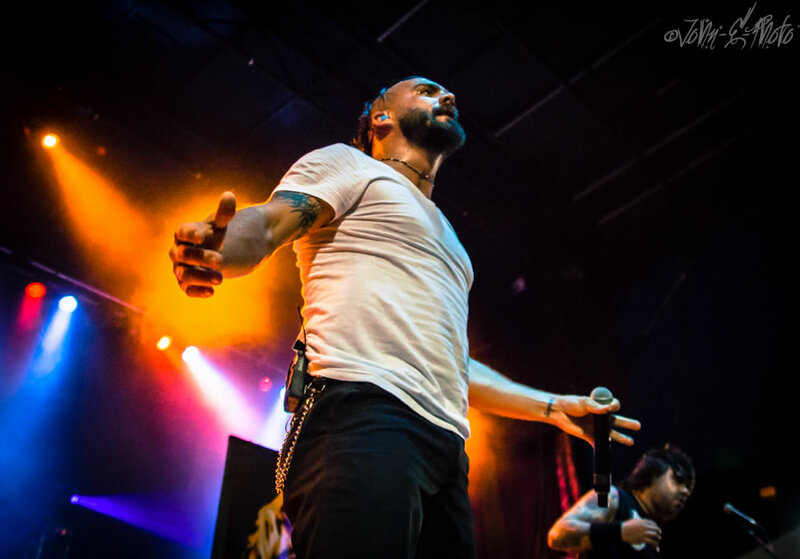 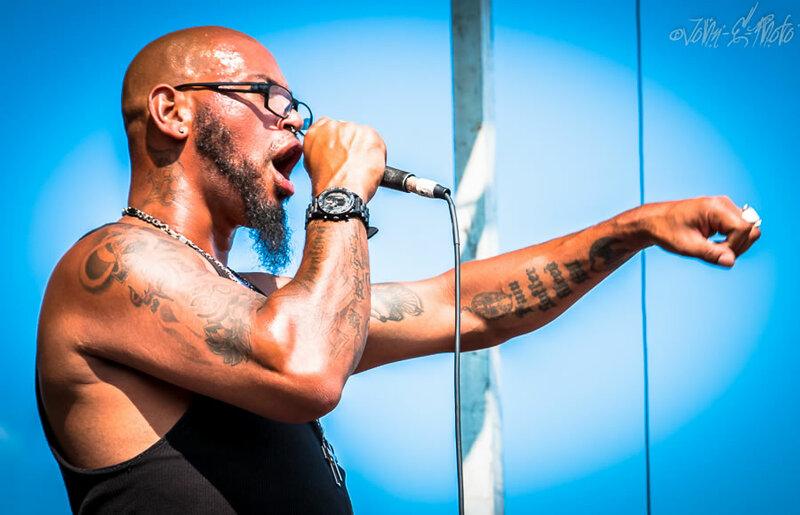 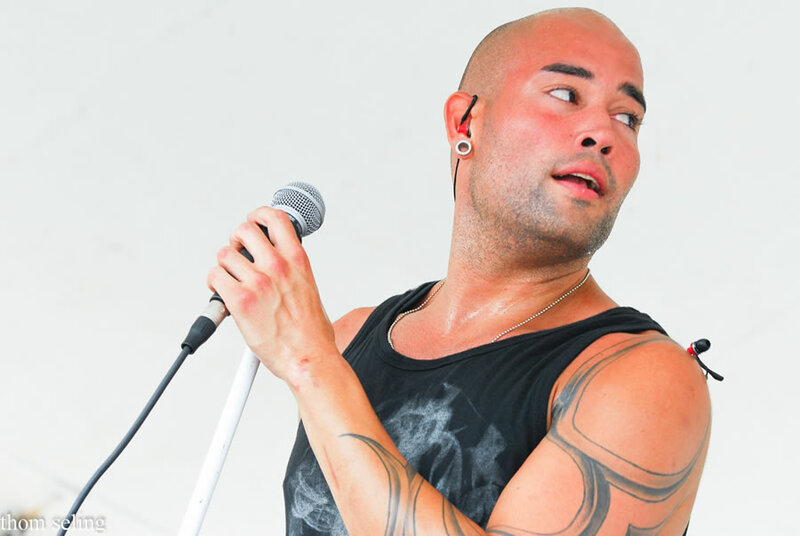 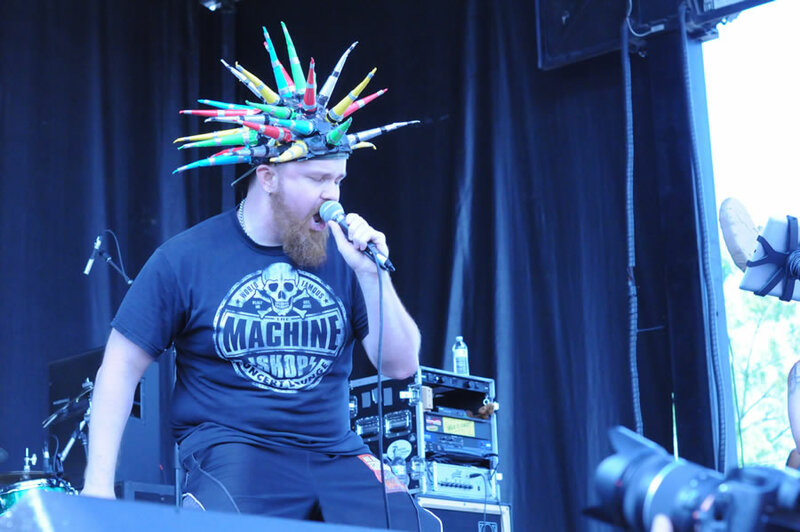 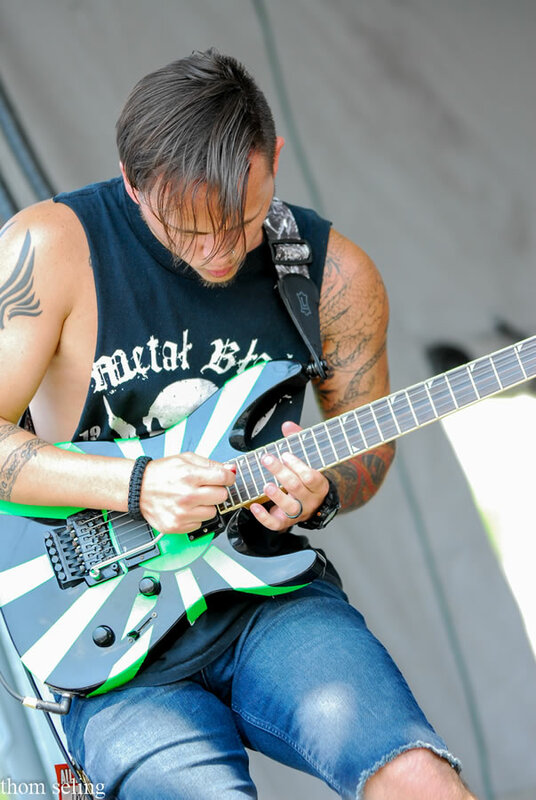 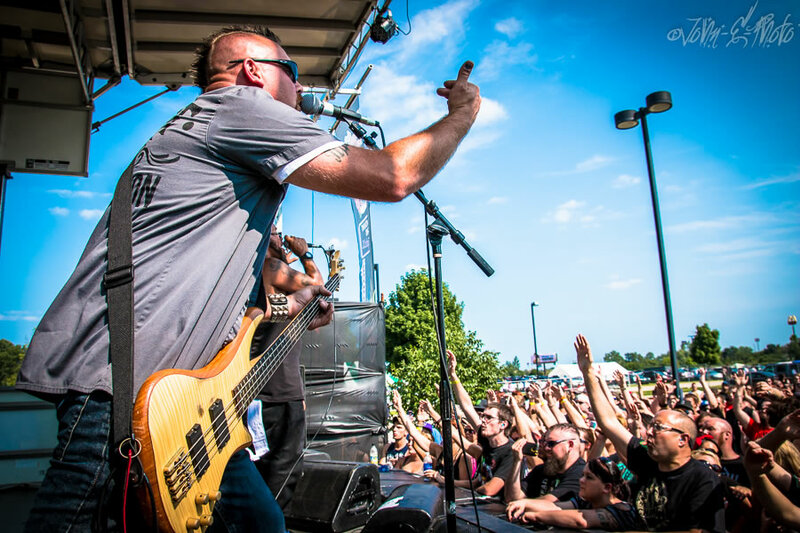 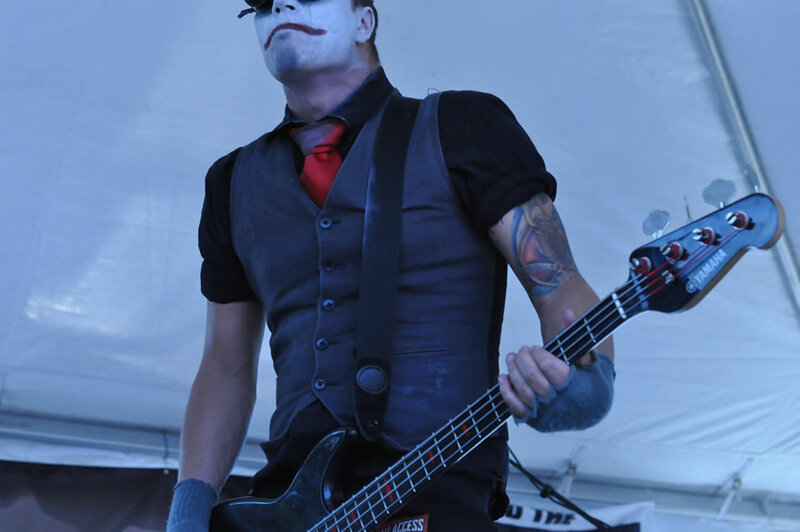 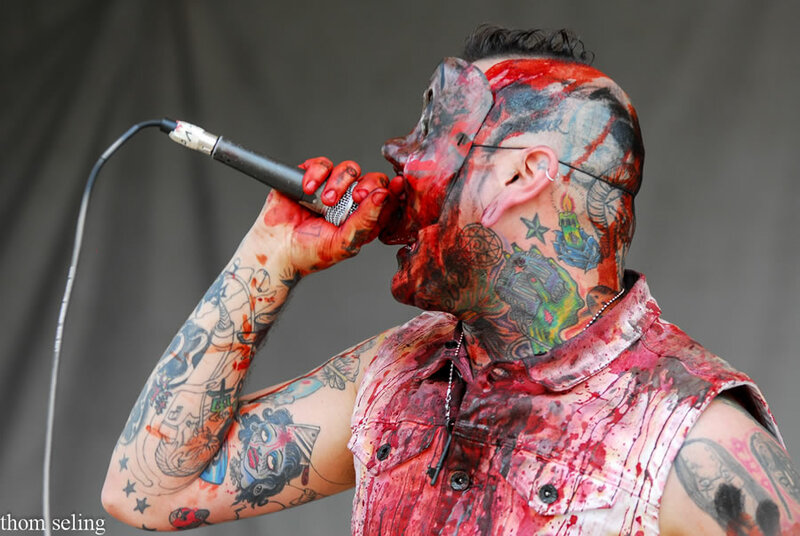 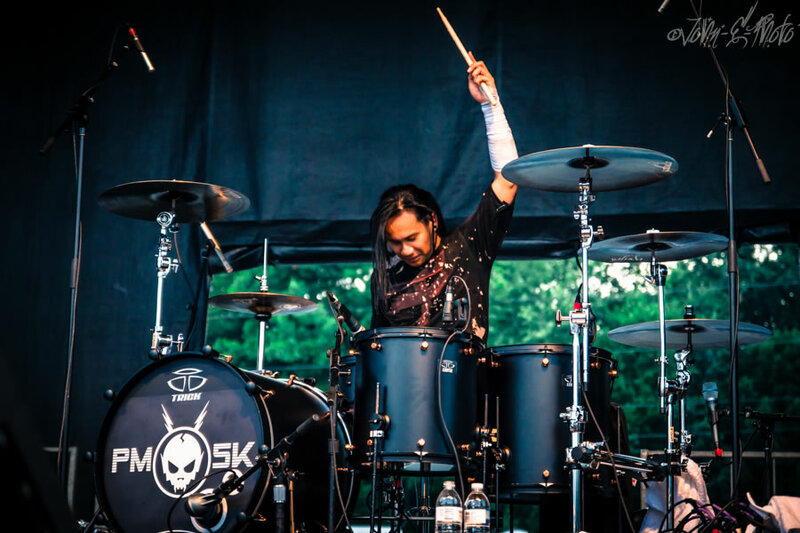 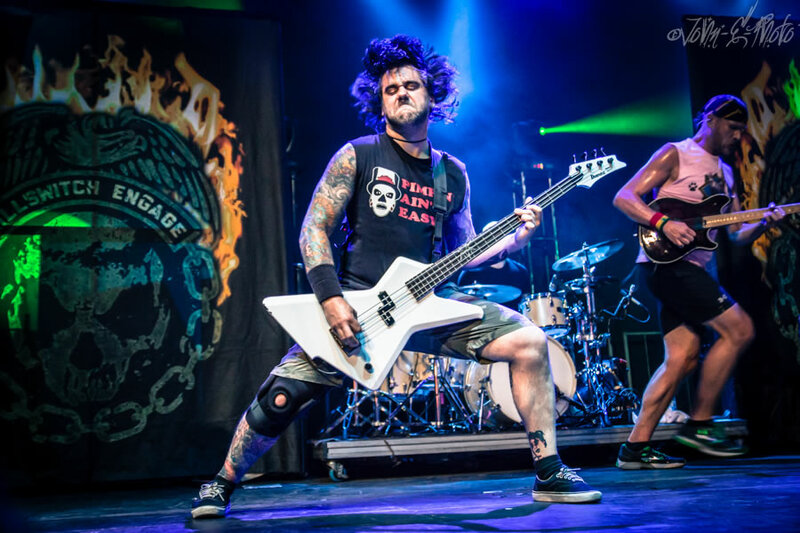 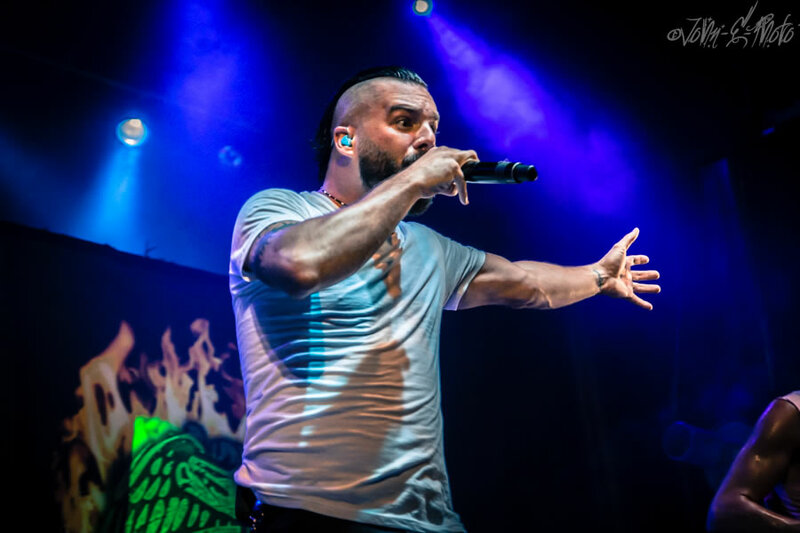 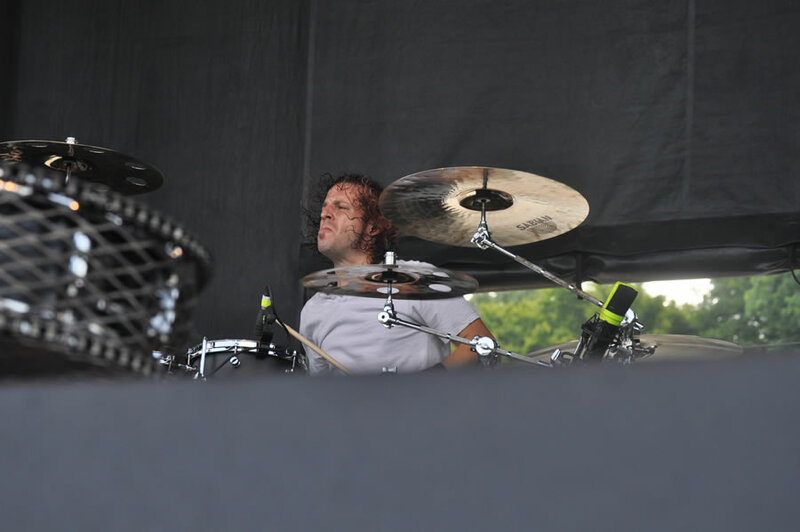 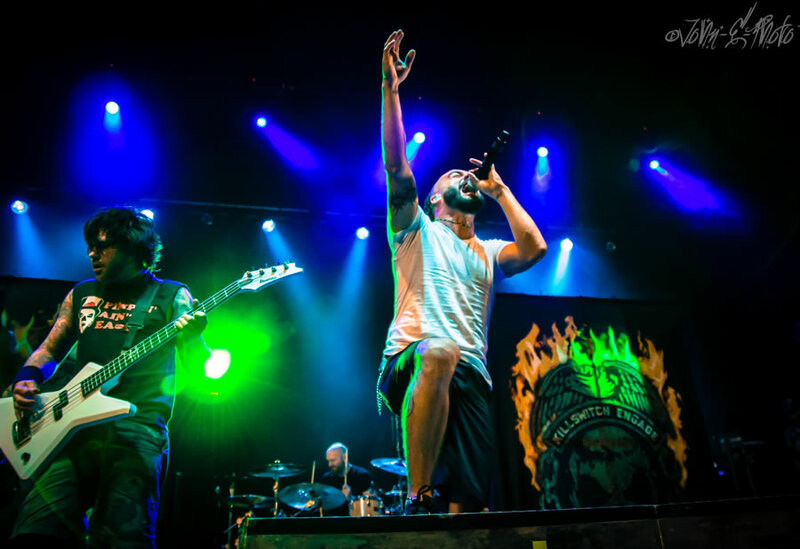 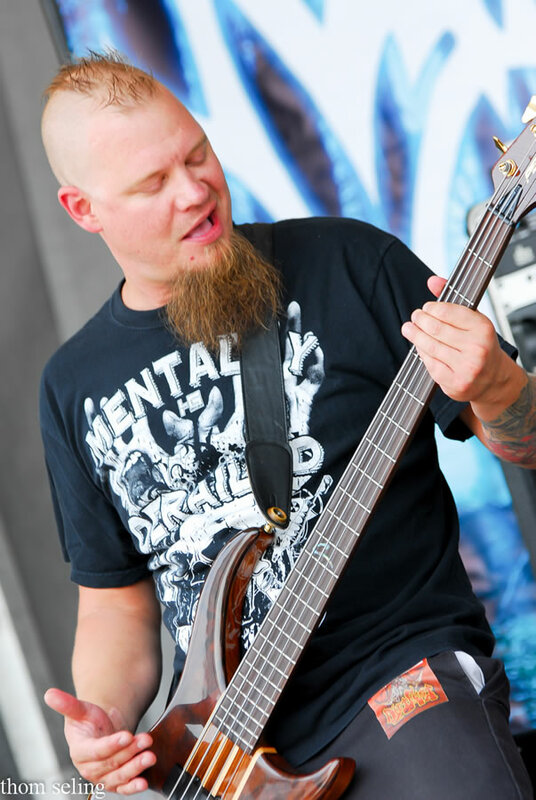 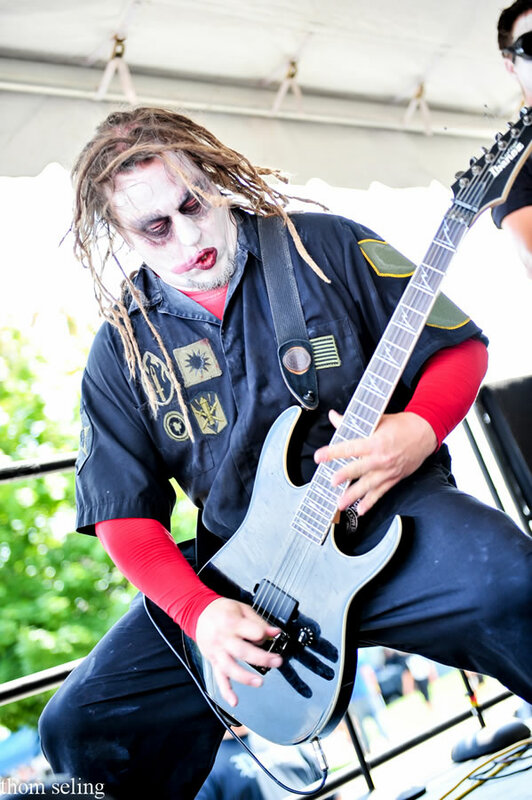 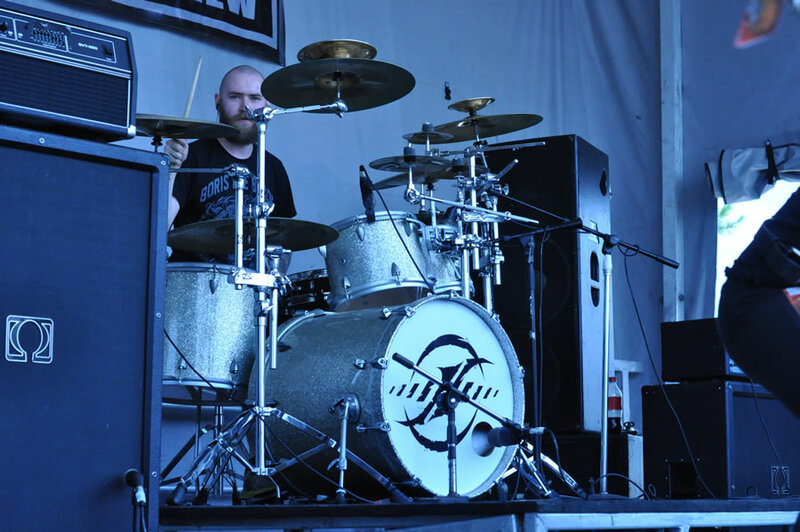 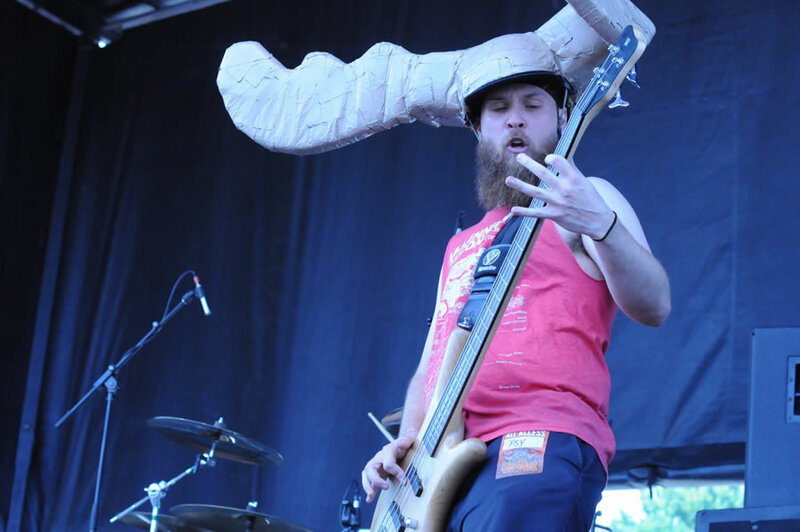 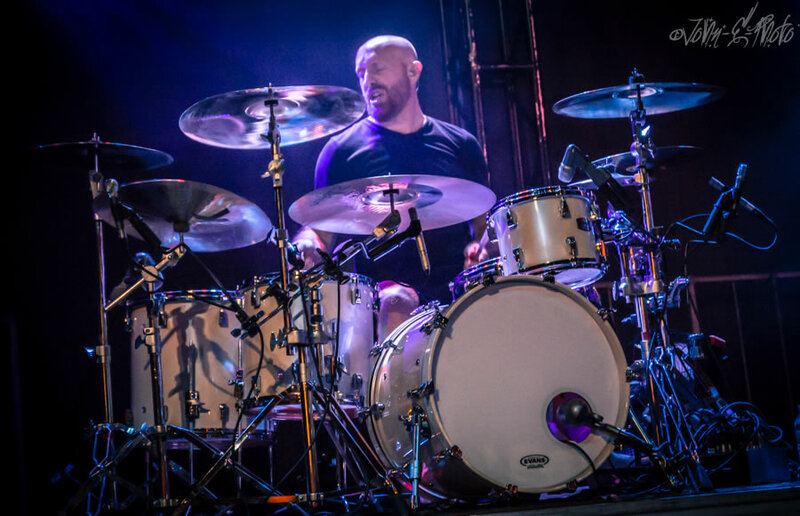 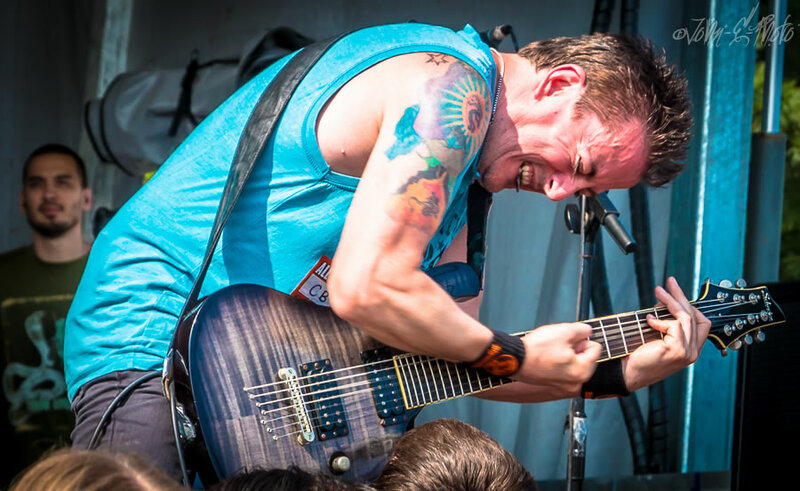 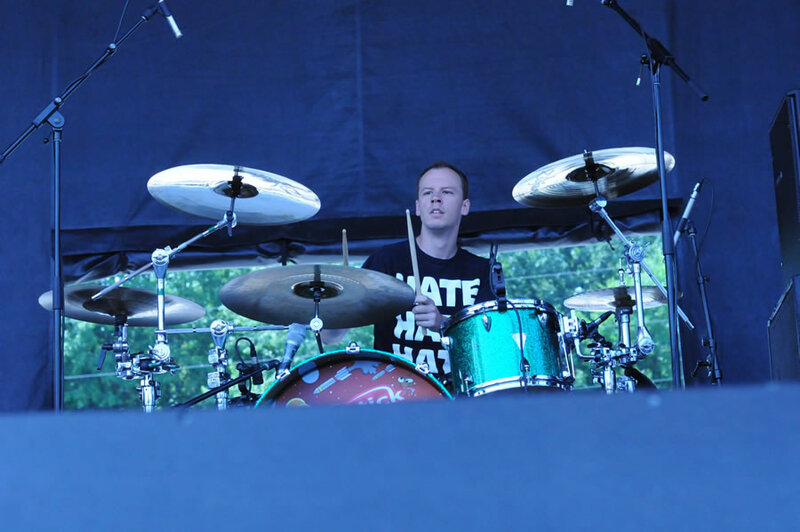 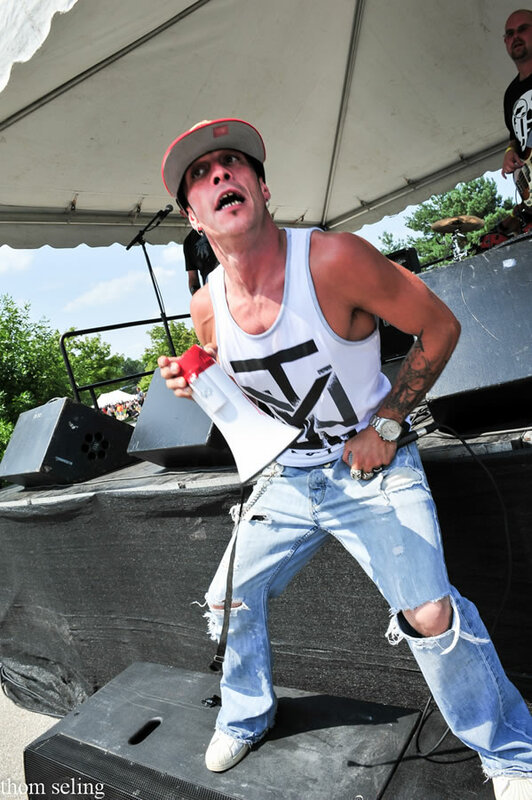 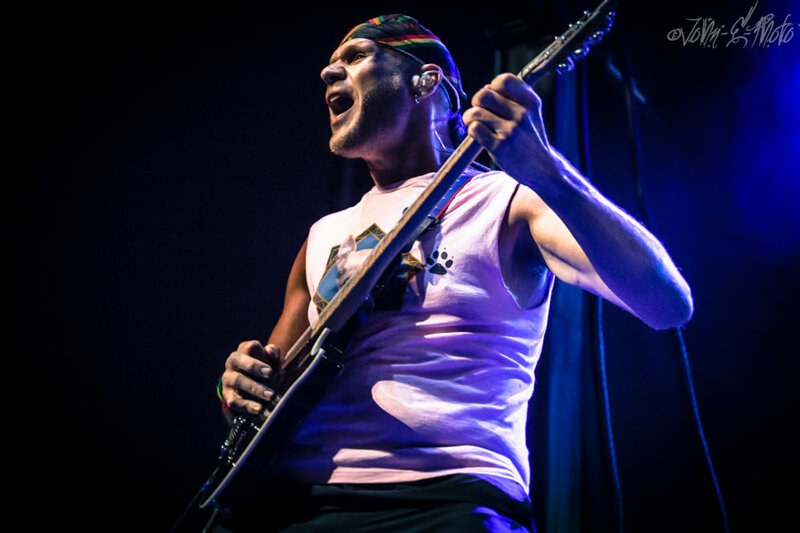 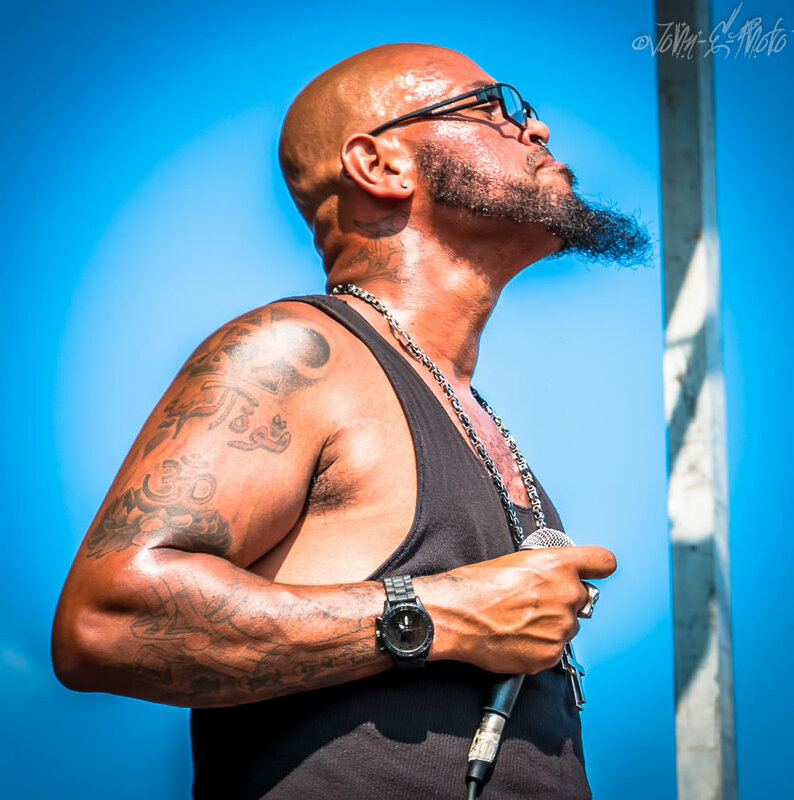 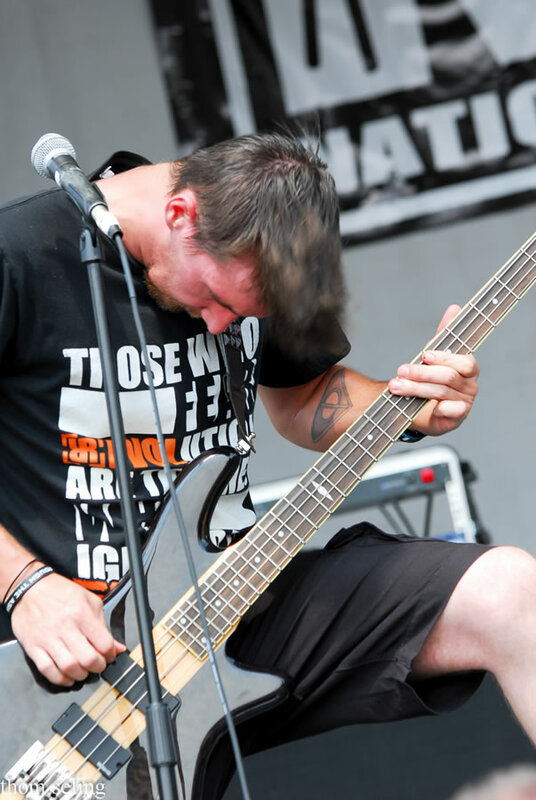 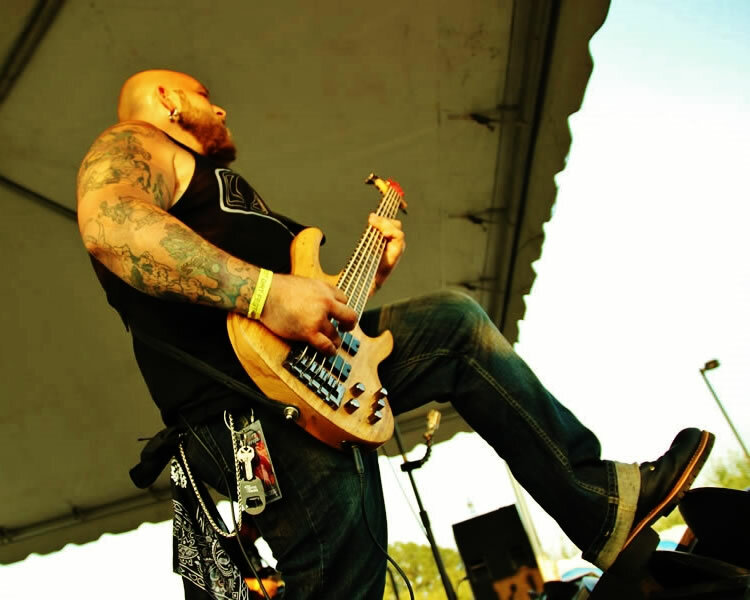 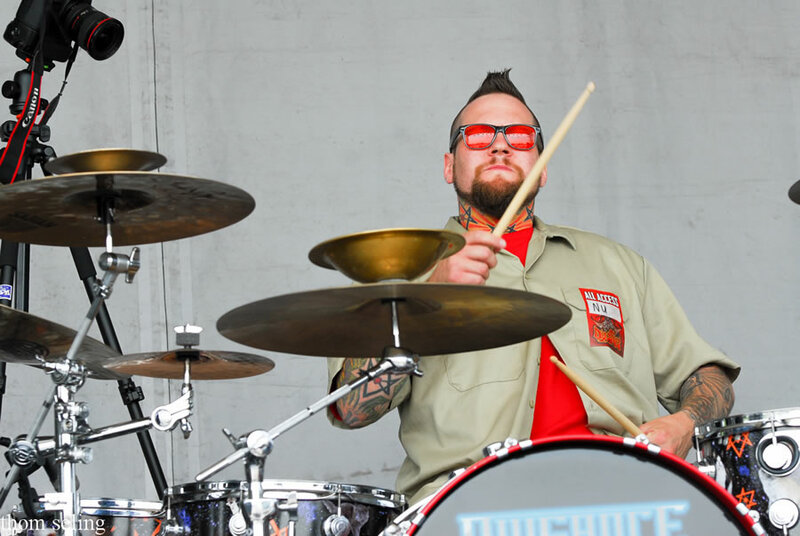 Killswitch Engage headlined the festival along with 65 other bands including, Sid Wilson, Gemini Syndrome, Powerman 5000, Nonpoint, Chimaira and many more. 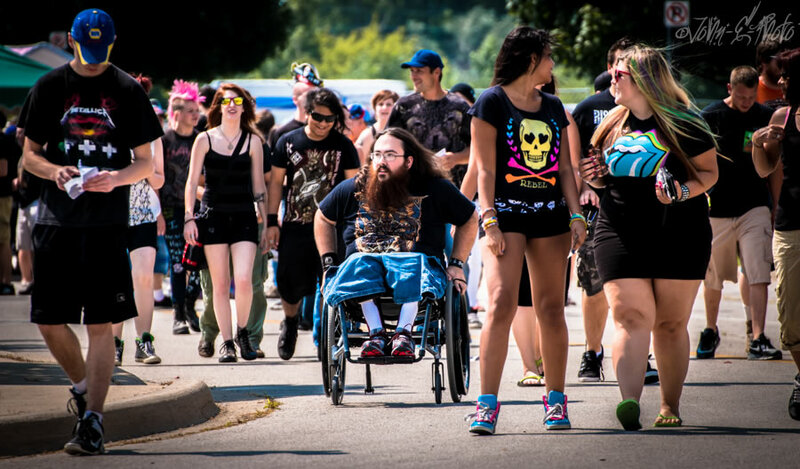 Here is a sampler of images from the day captured by our photographer, John E Photo. 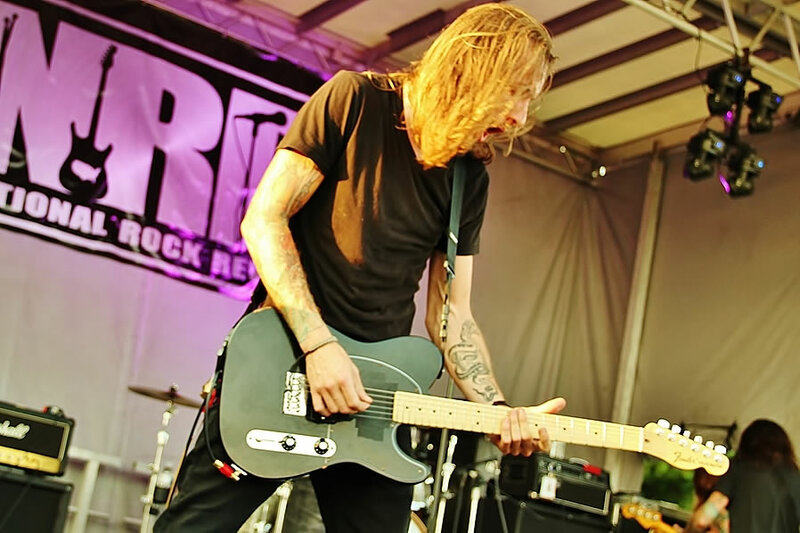 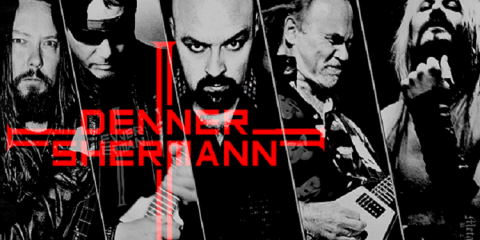 When it comes to Rock n’ Roll, age is never a factor. 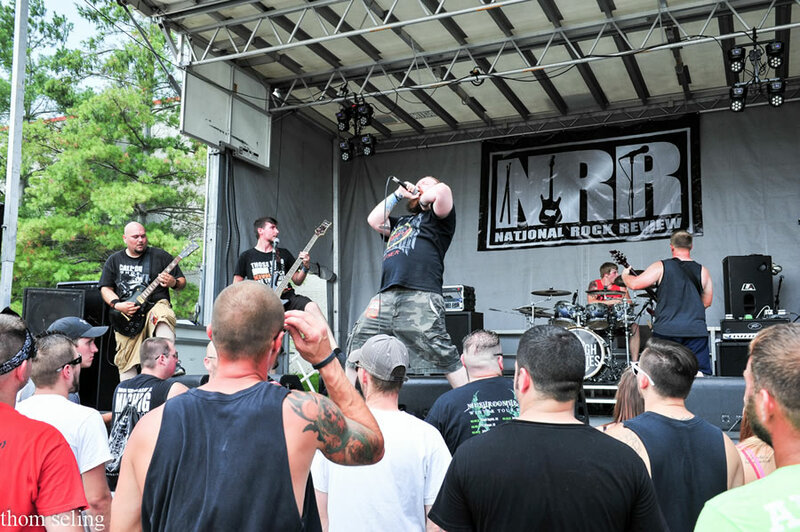 The attendance was noted of several kids on parents shoulders in the pit while Battlecross took the stage. 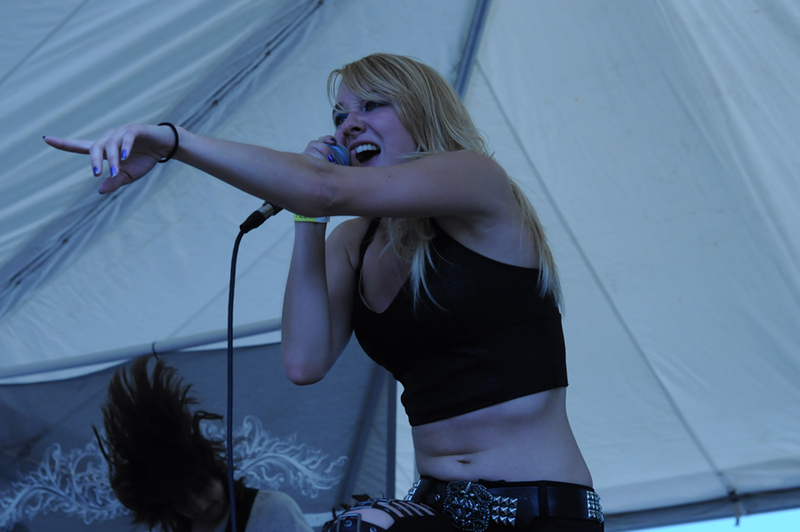 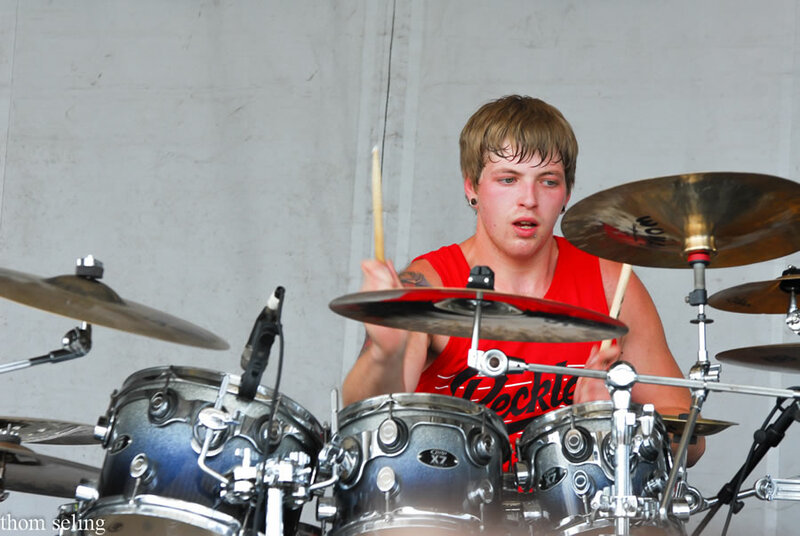 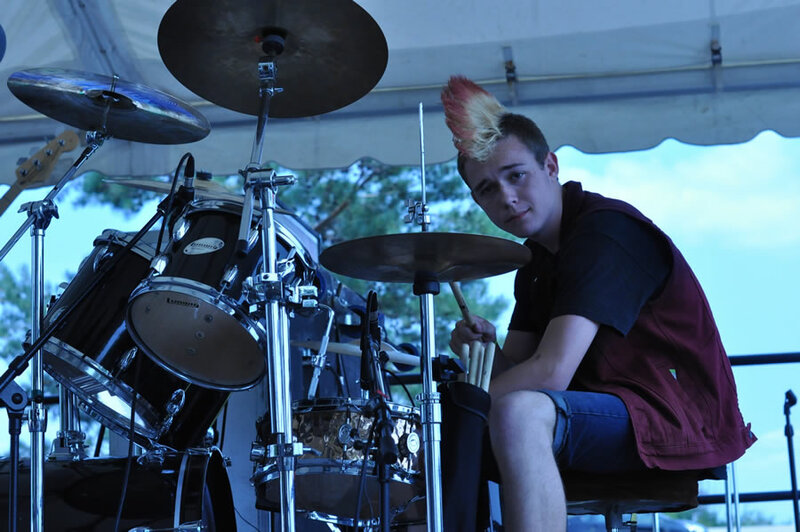 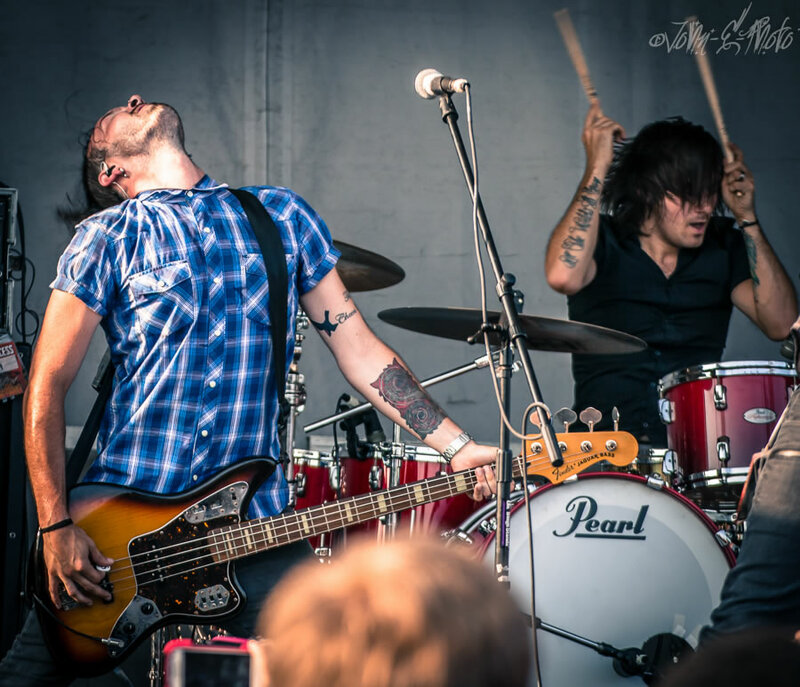 They were fearless and there to be a part of the show, definitely a new generation of rock/metal fans in the making. 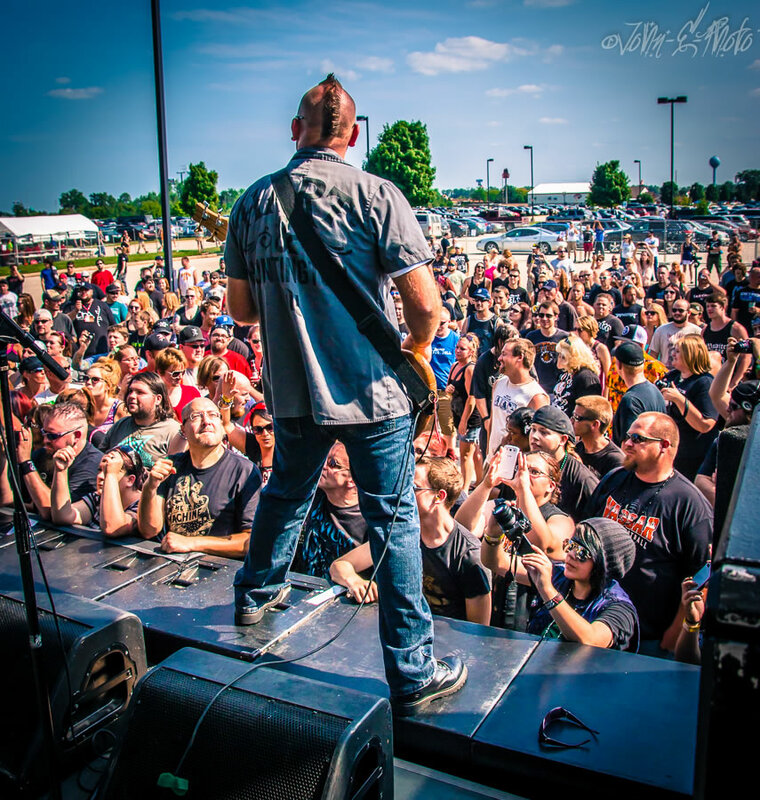 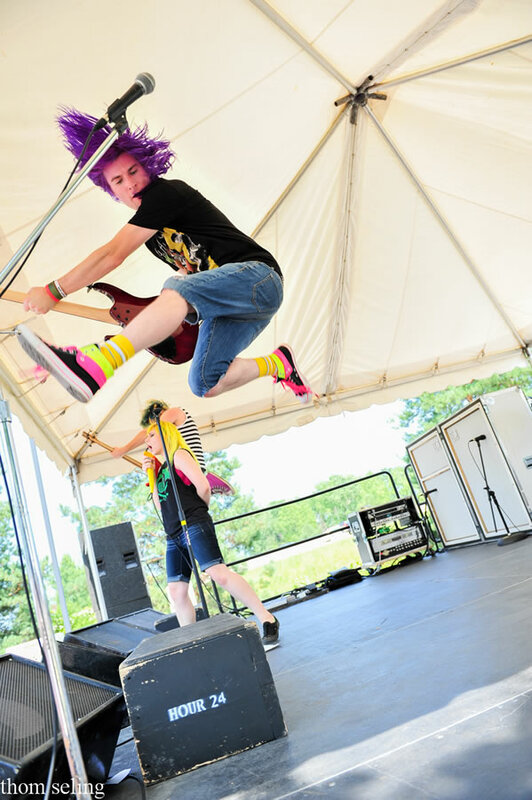 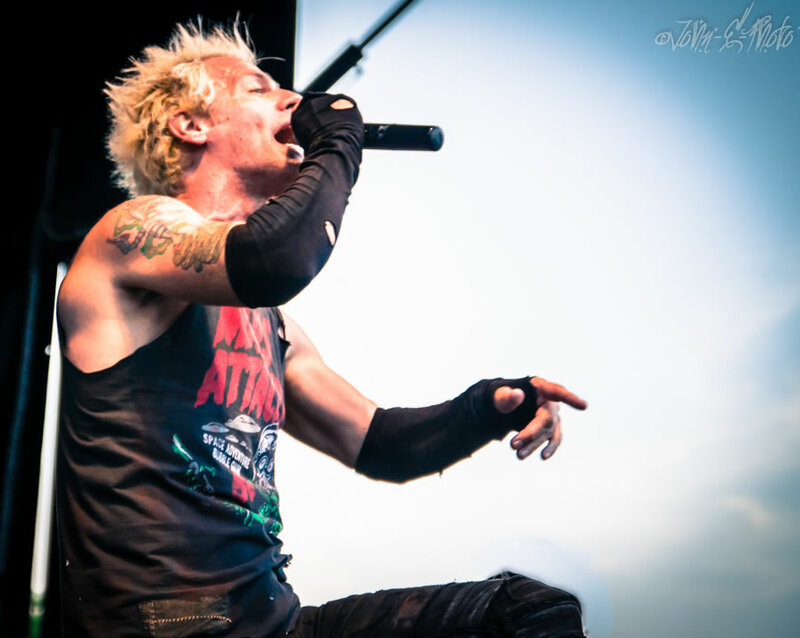 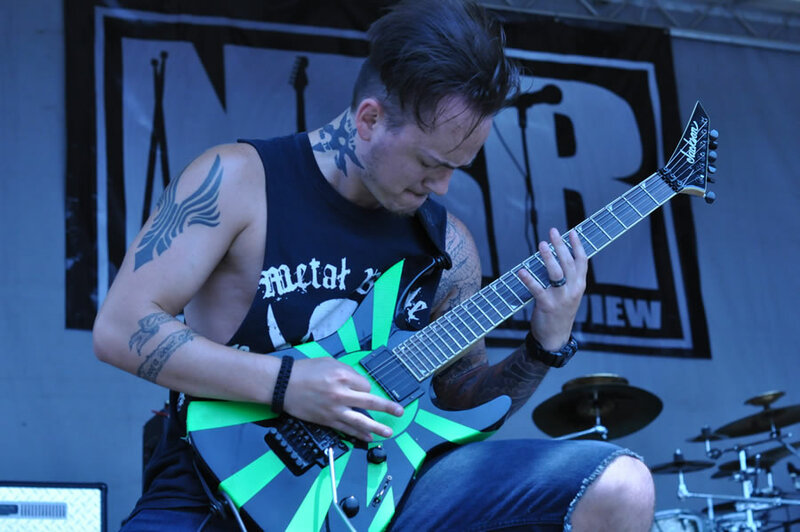 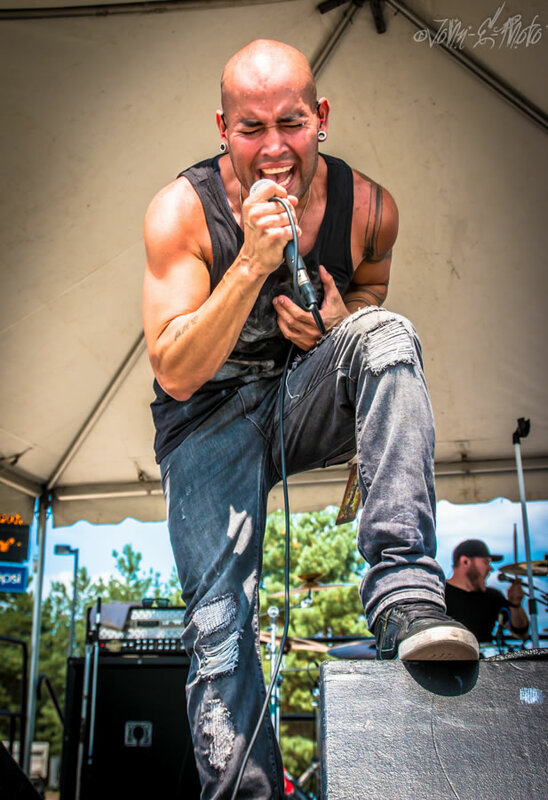 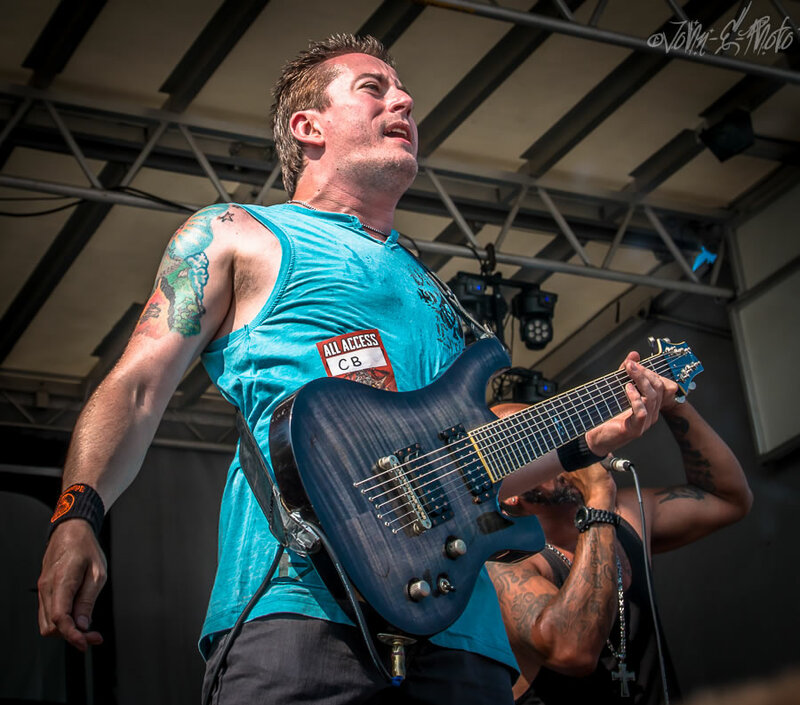 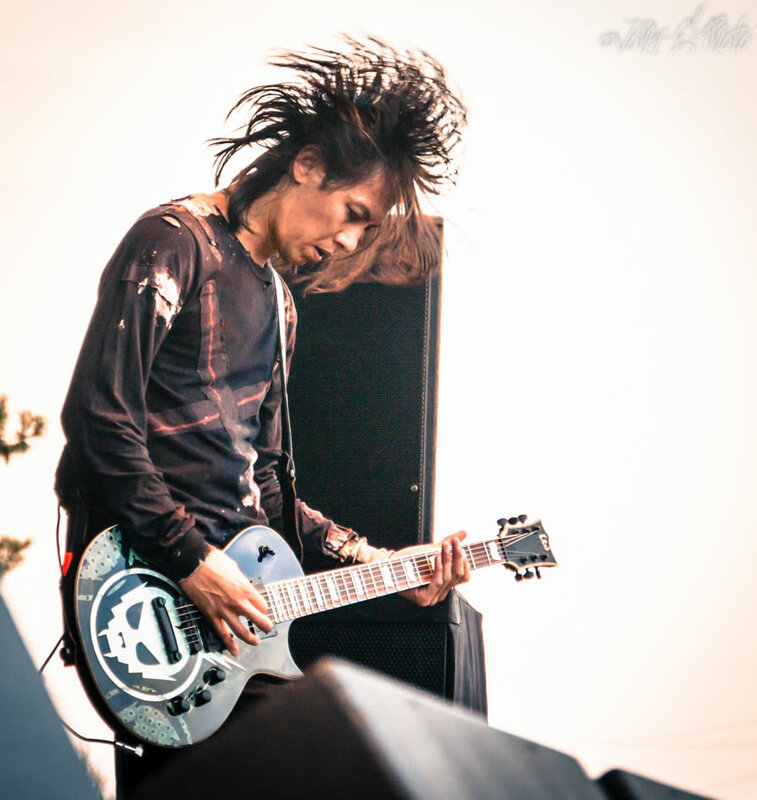 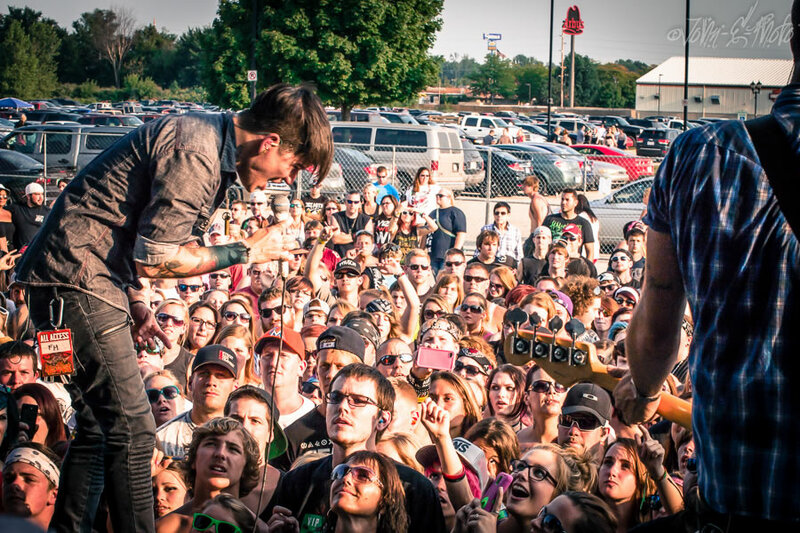 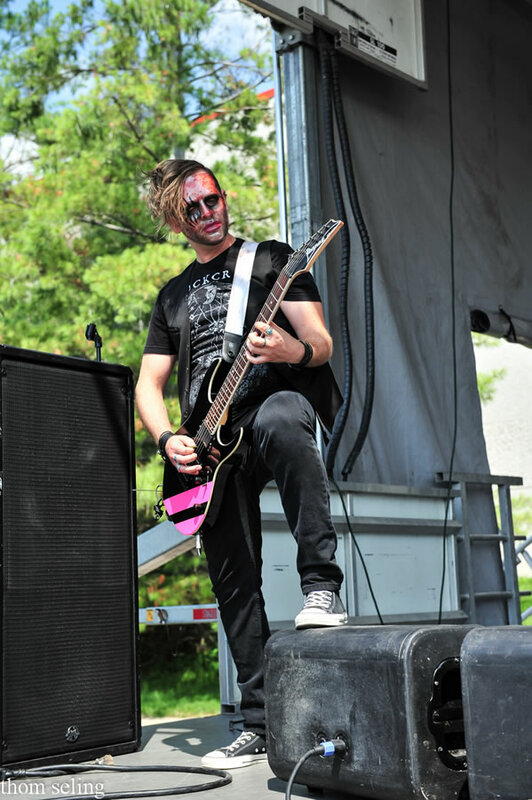 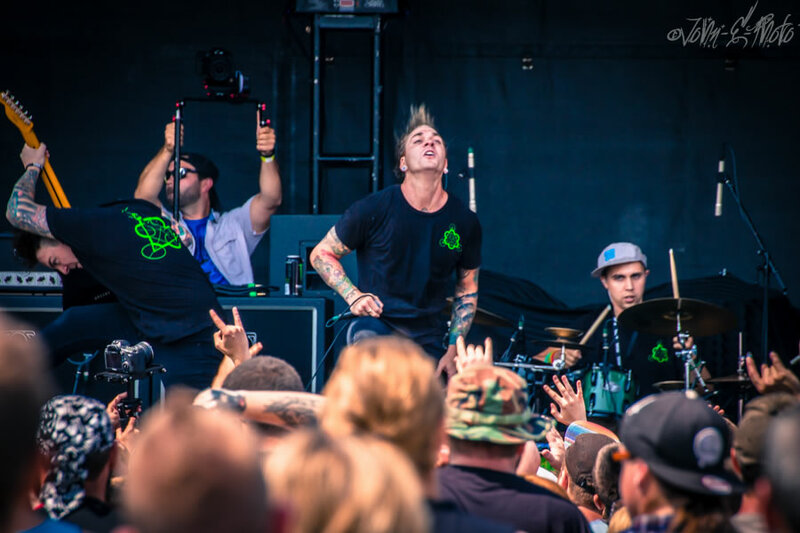 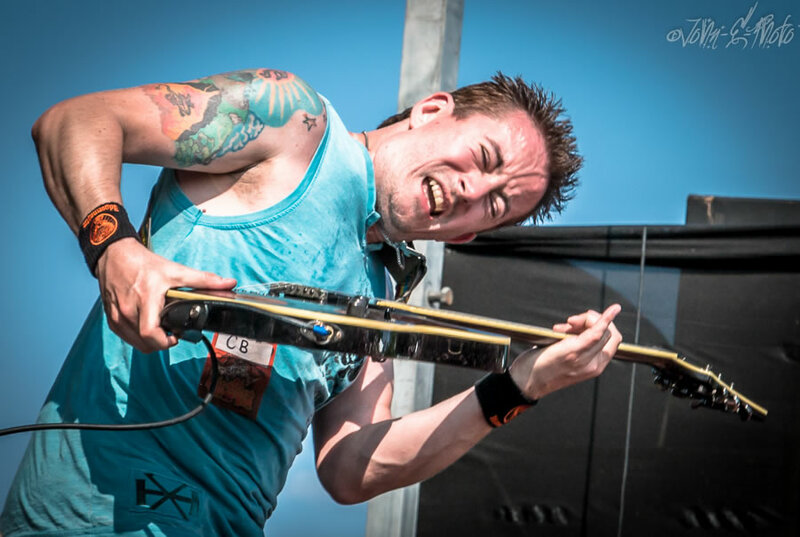 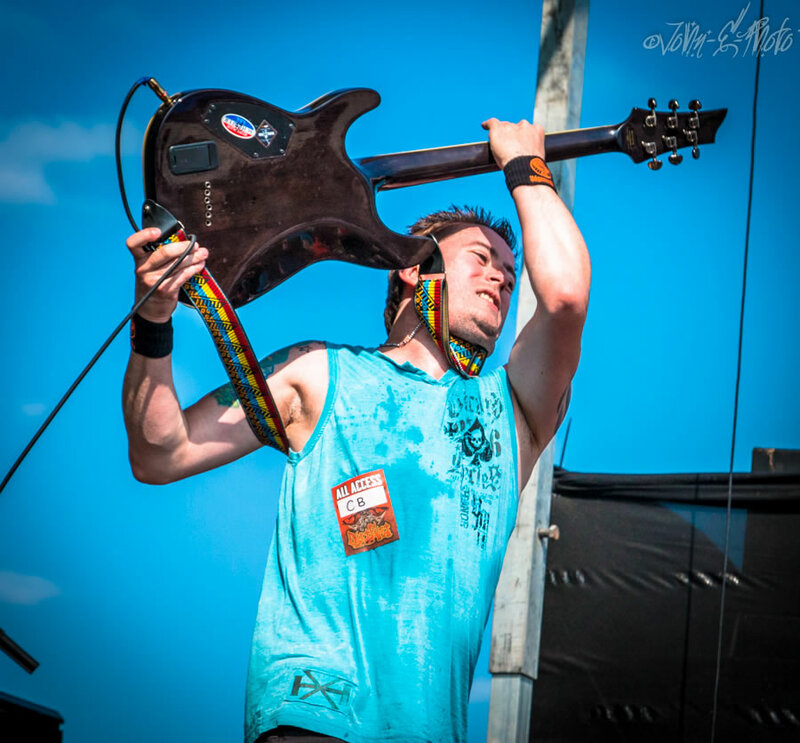 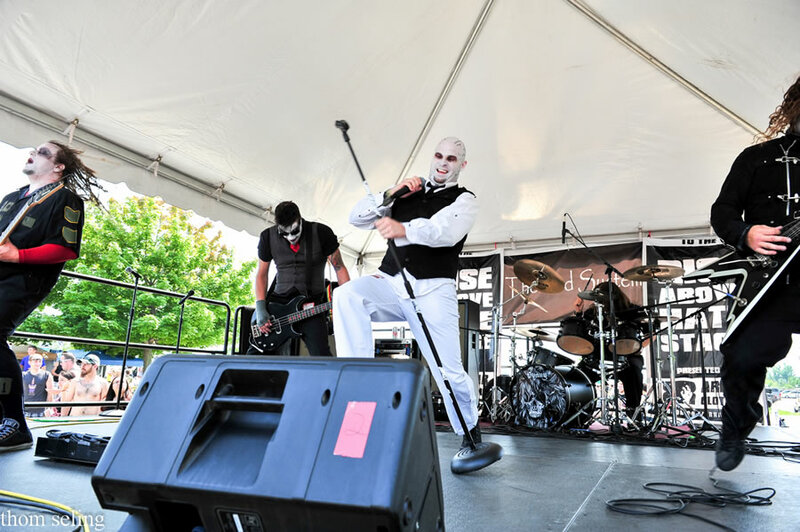 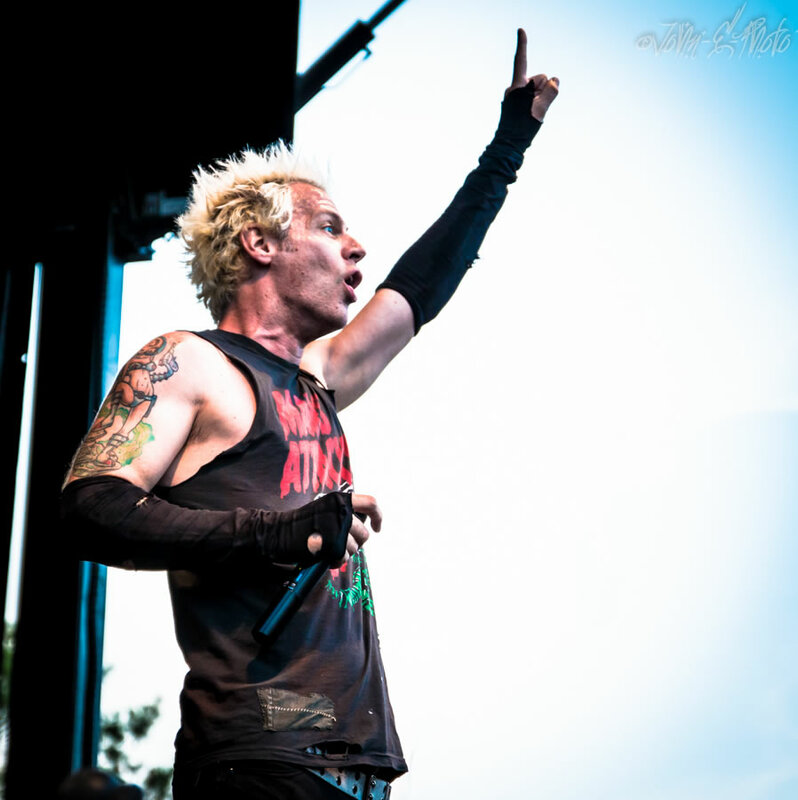 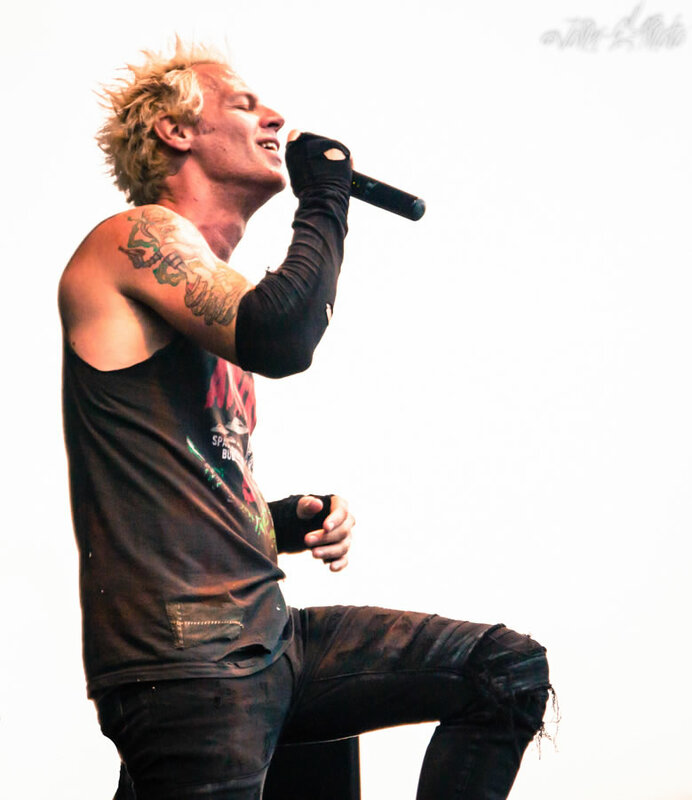 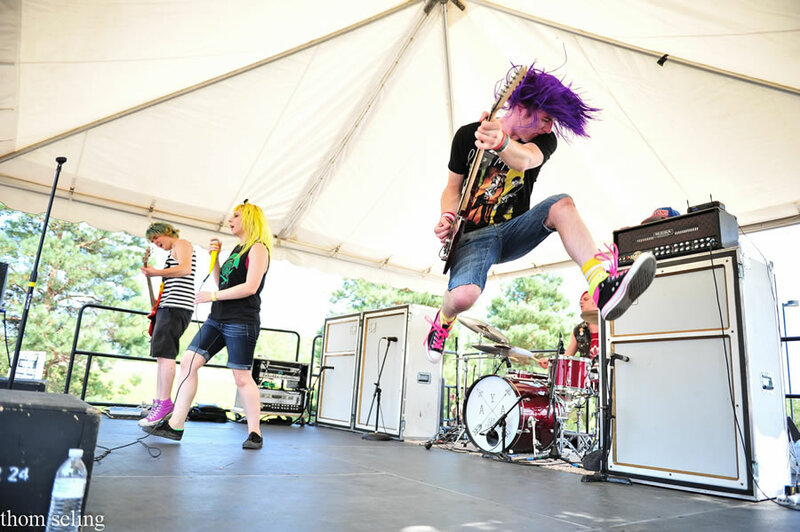 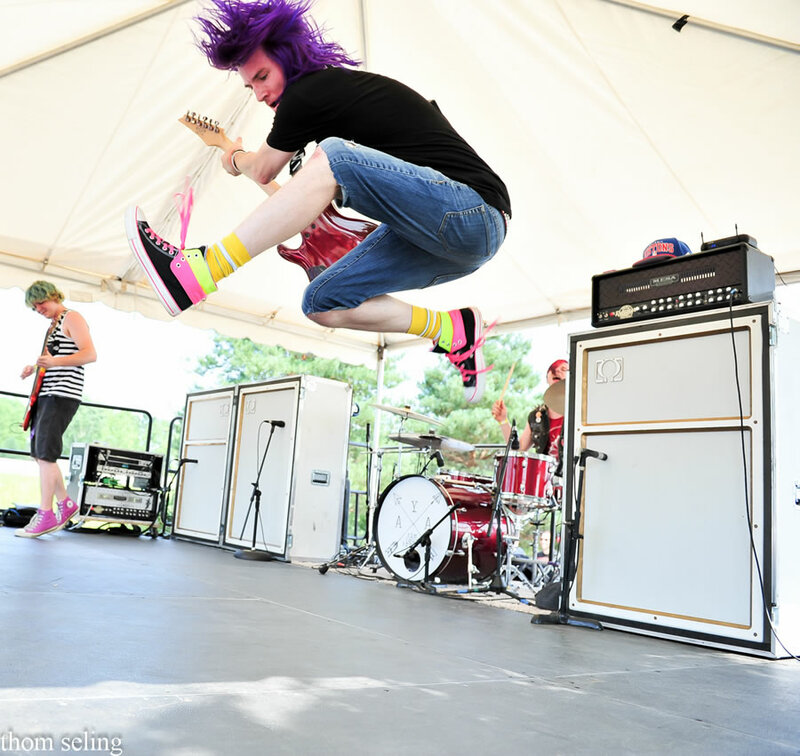 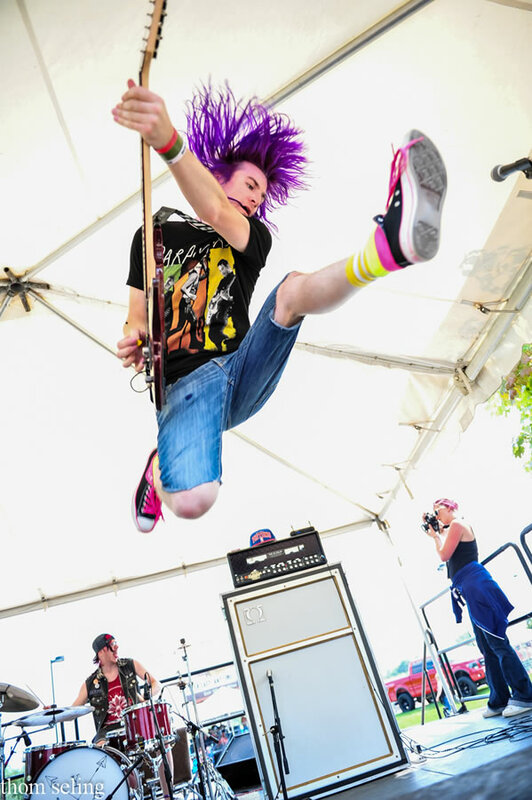 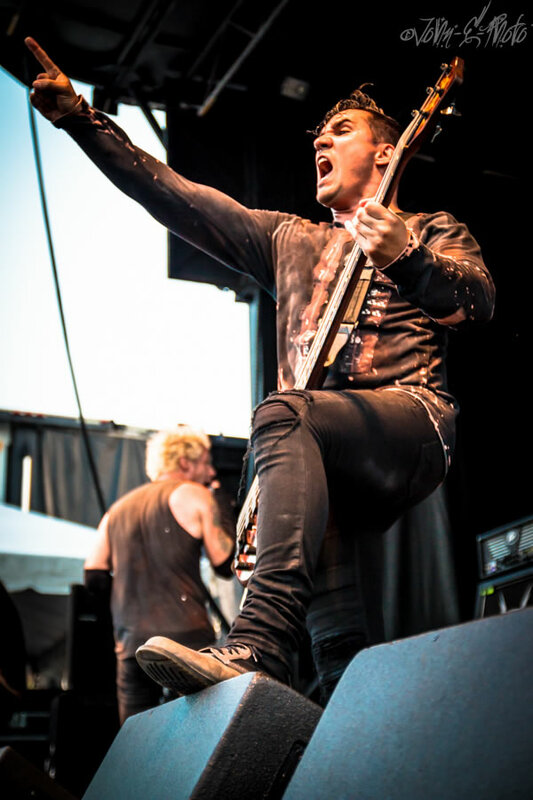 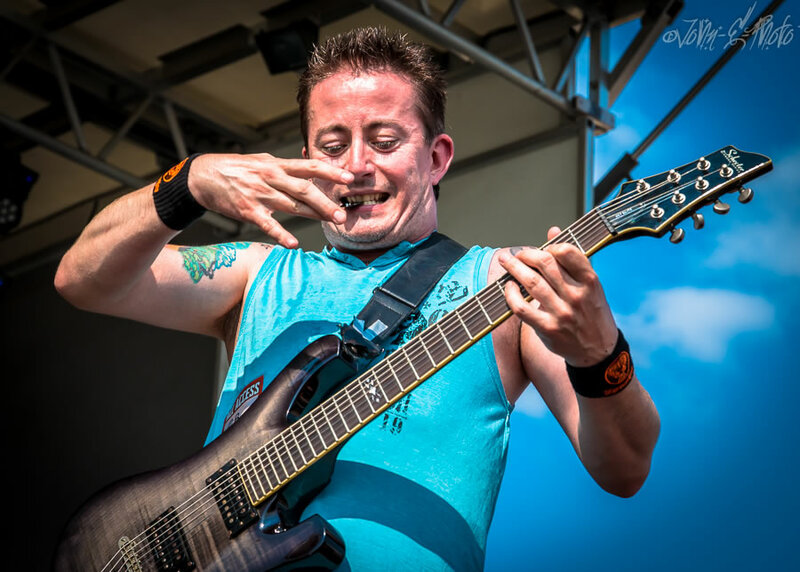 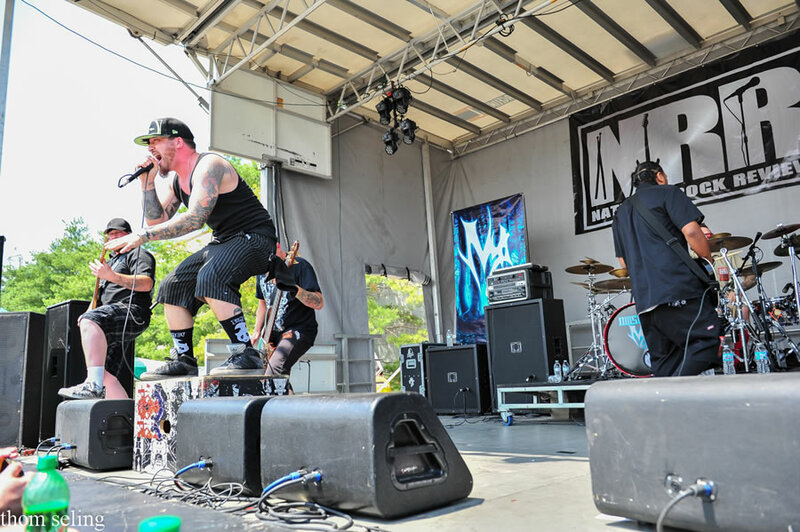 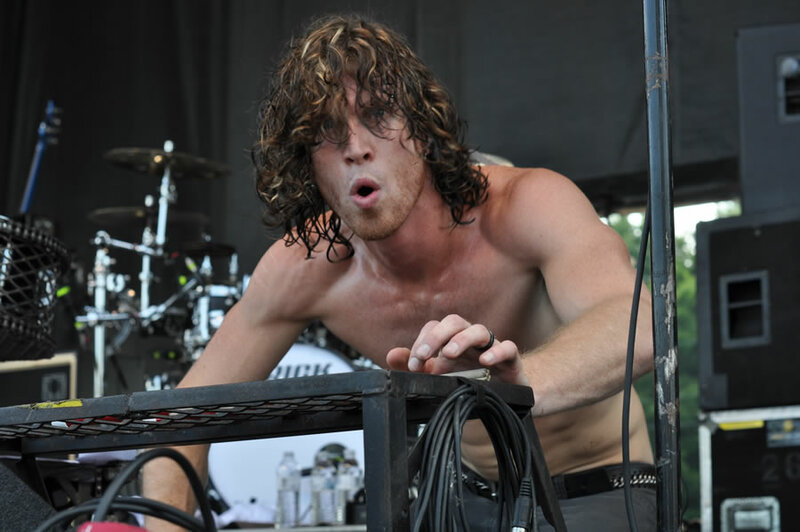 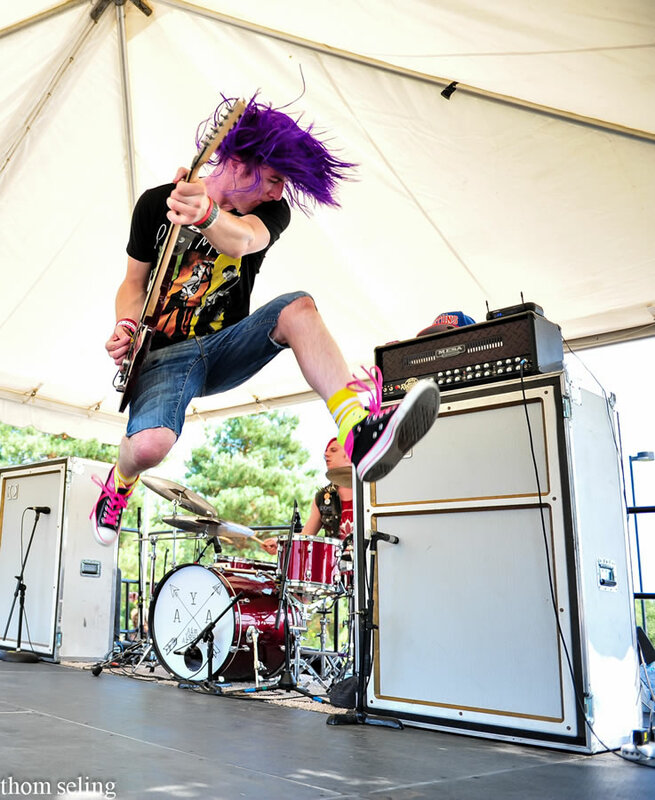 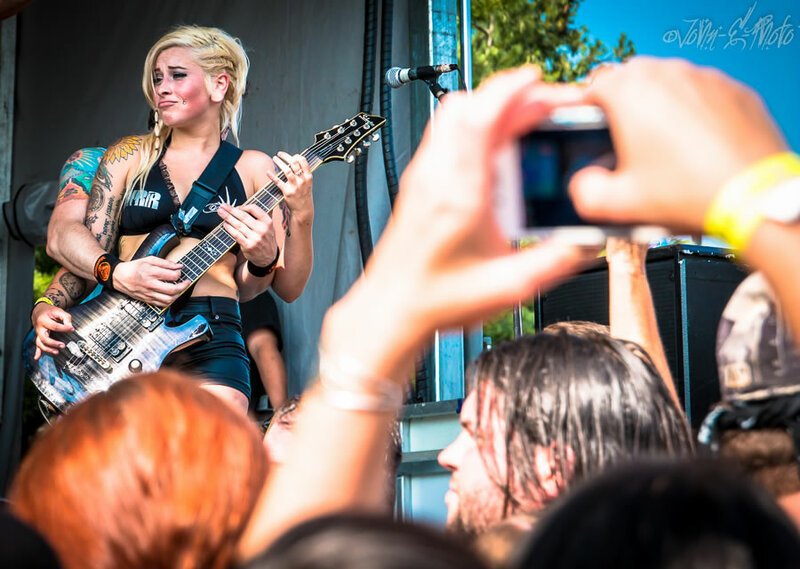 From Blue Felix stage diving from the top of the stacks, to Gemini Syndrome converting more “Synners,” to Powerman 5000 and Killswitch Engage playing as equals rather than trying to rise above one another, Dirt Fest 2014 was an event not to be missed! 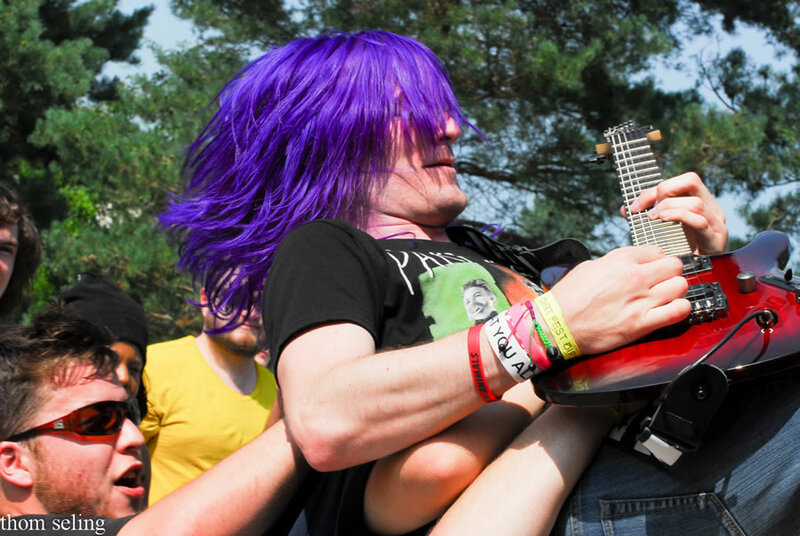 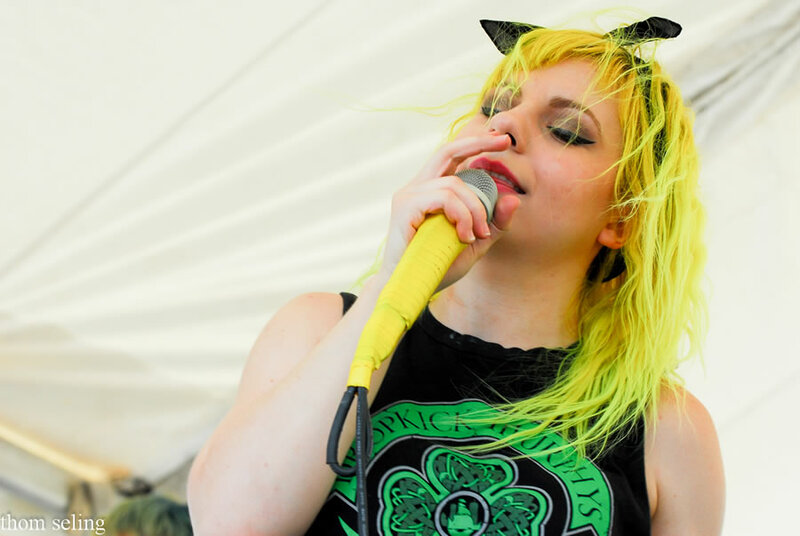 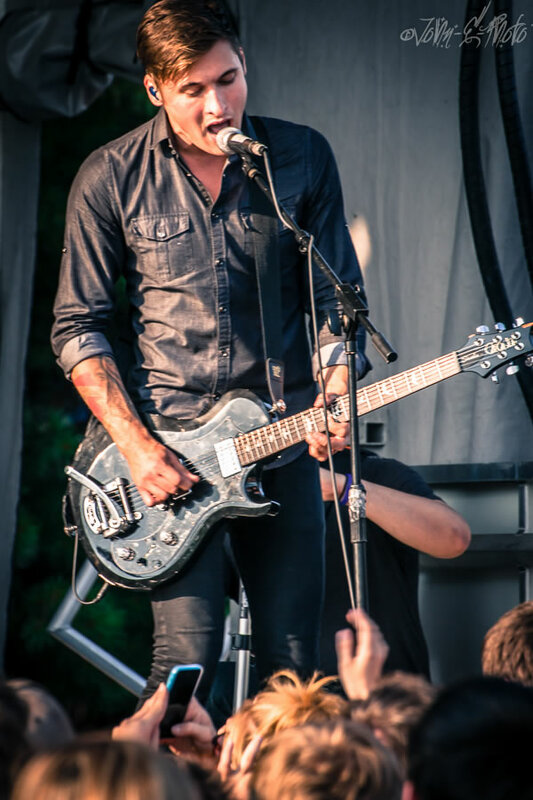 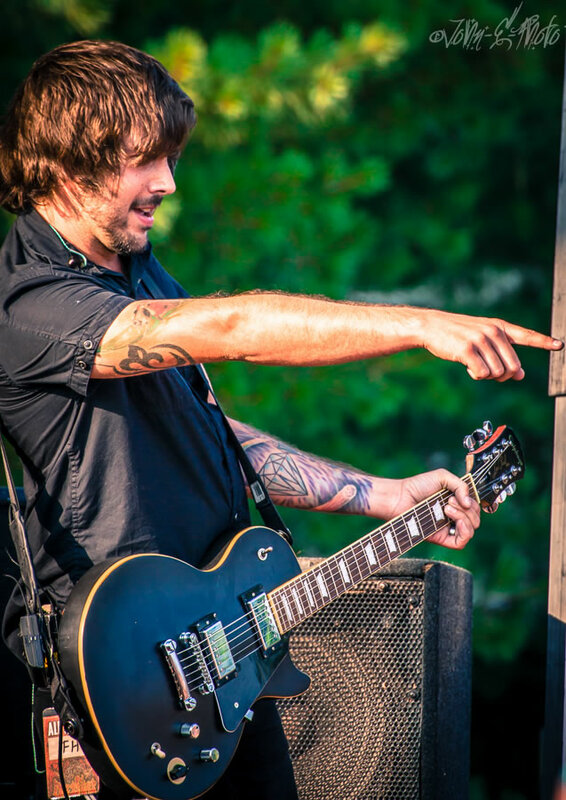 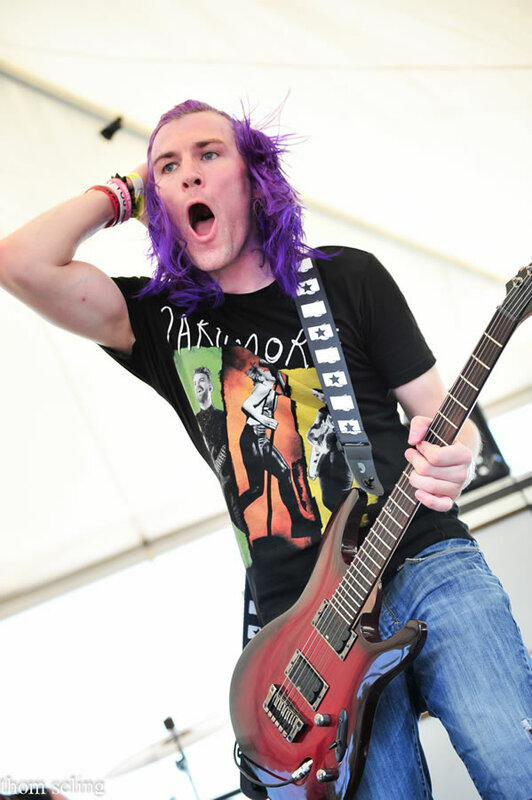 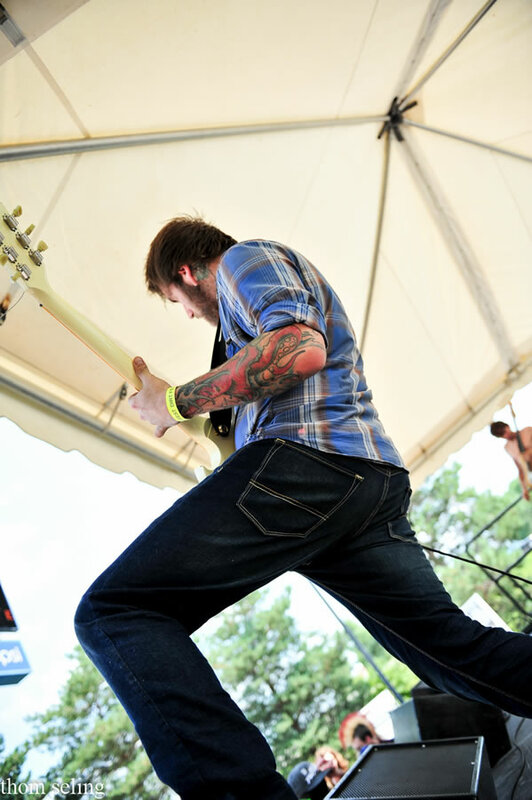 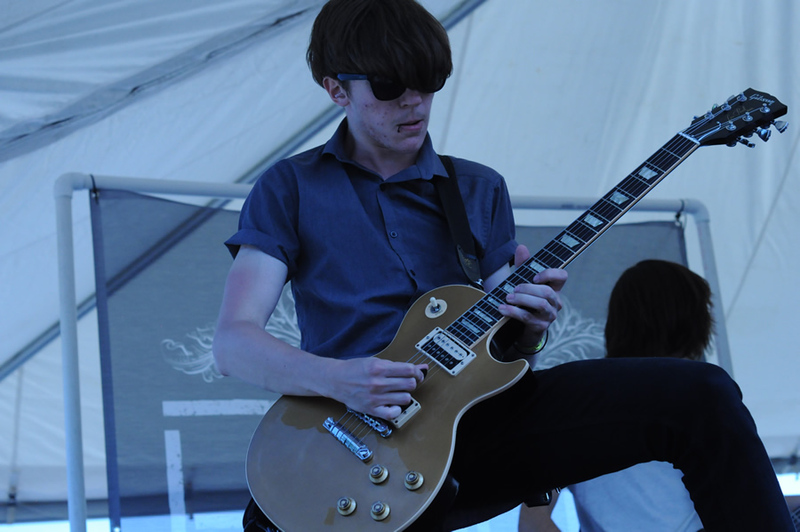 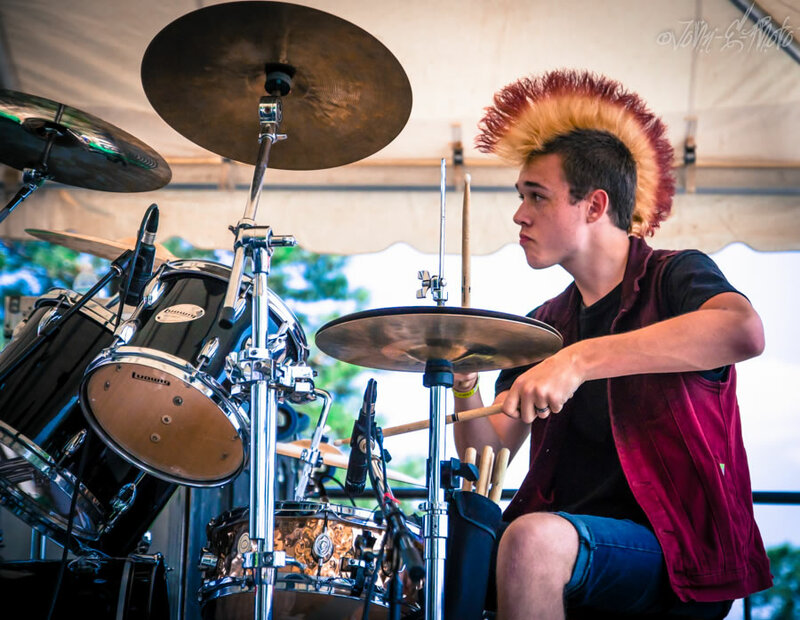 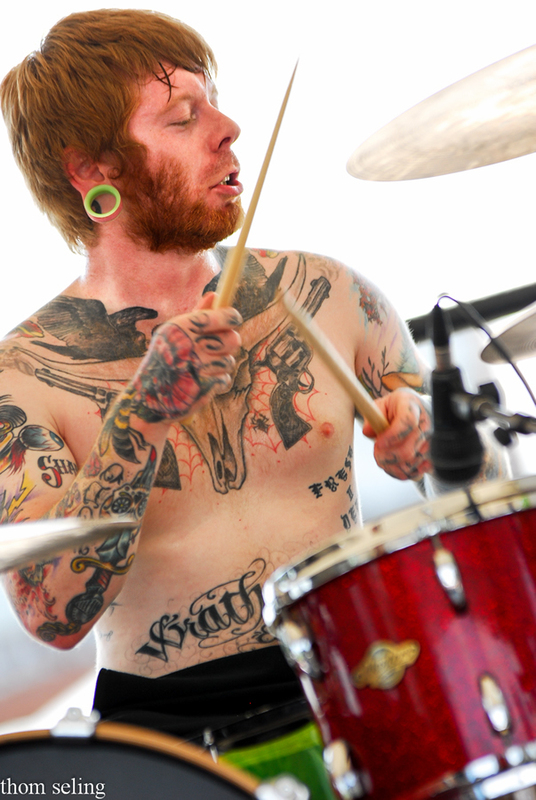 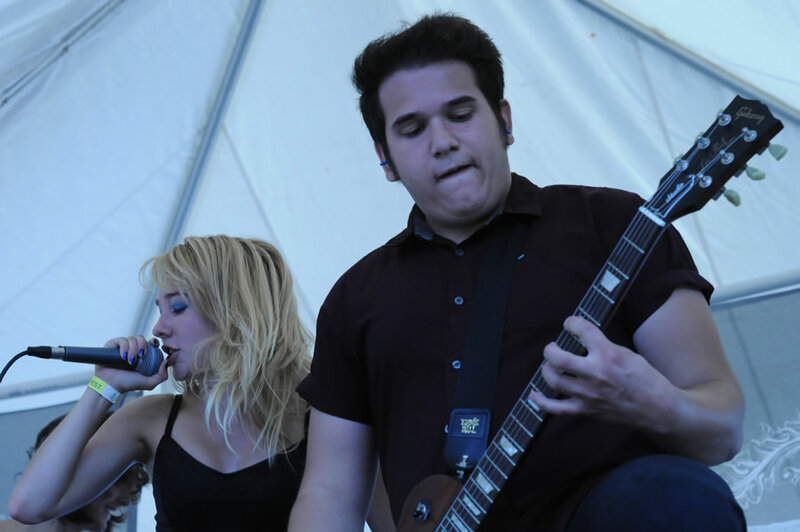 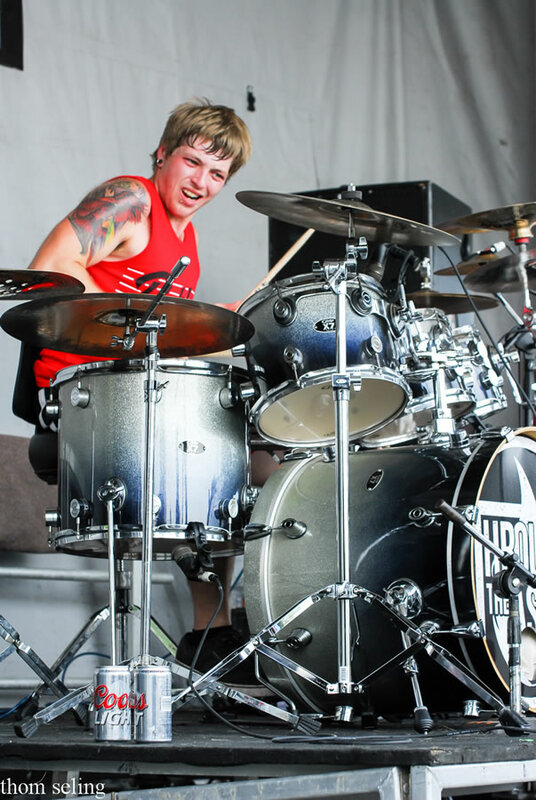 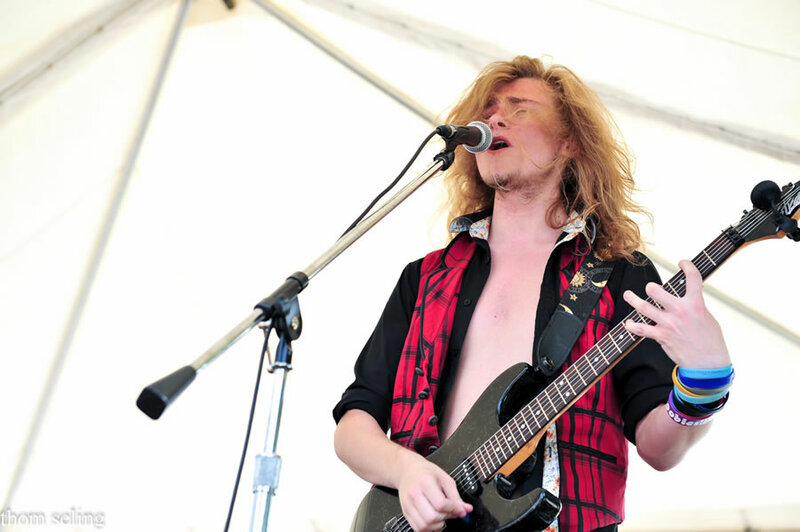 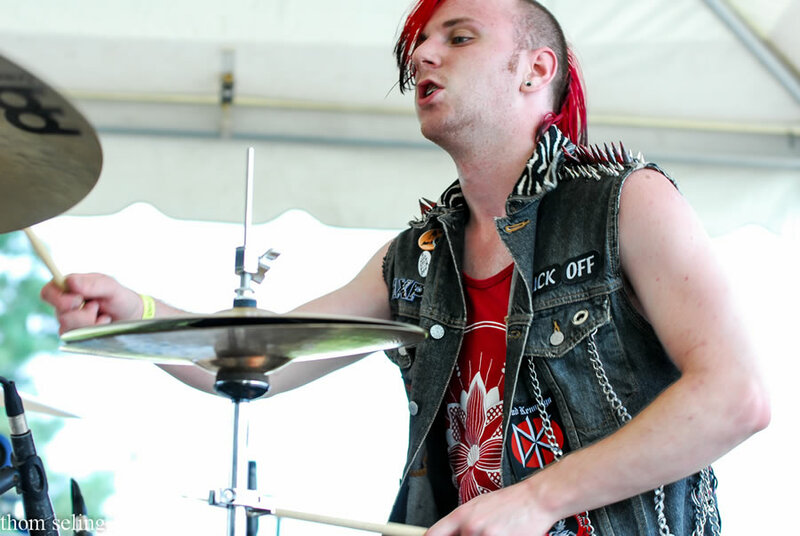 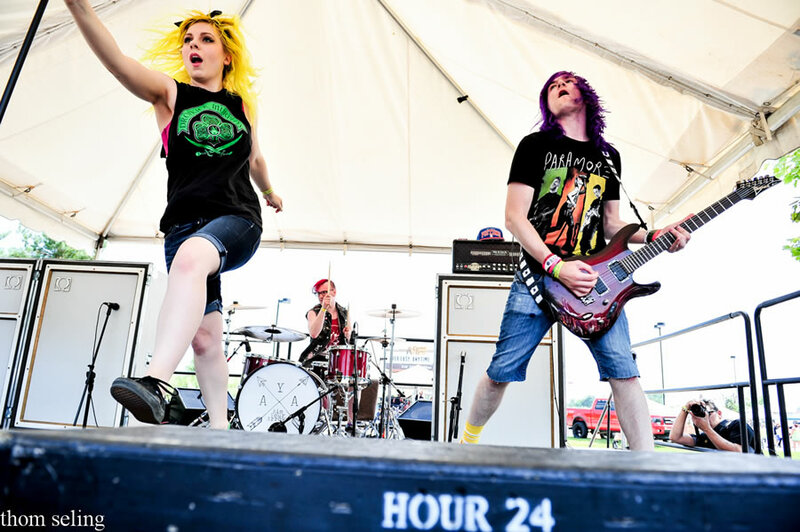 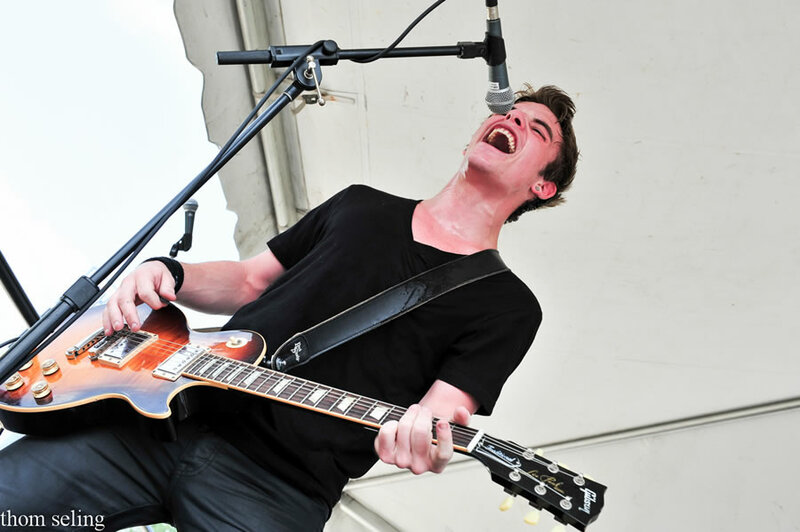 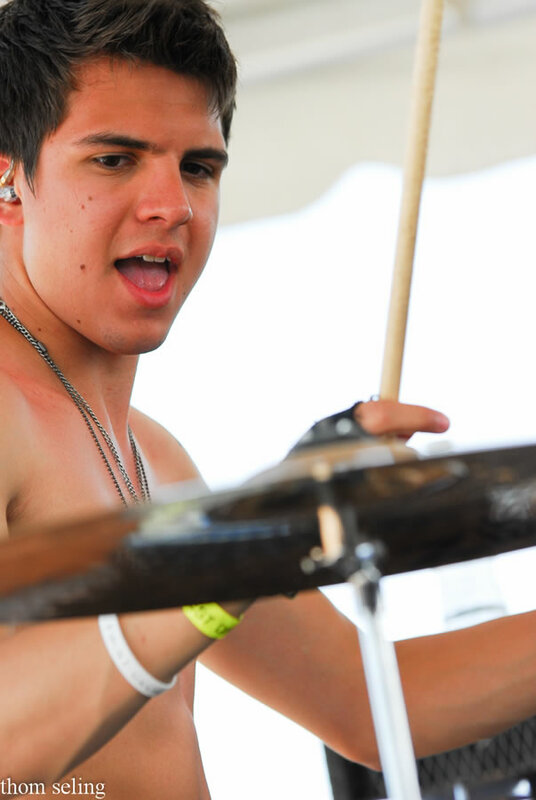 Fans across the festival grounds were fulfilled by the many top notch performances this year. 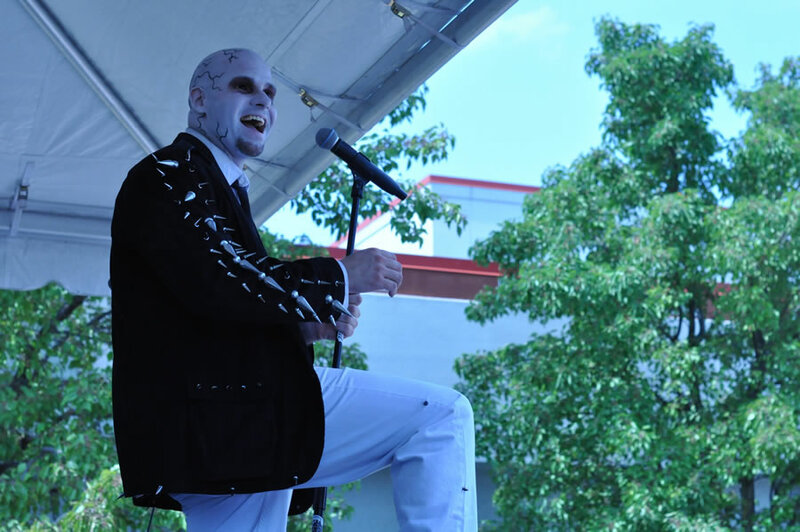 Drones made their way into the crowds, remote controlled helicopters with Go-Pro cameras capturing a bird’s eye view of performances. 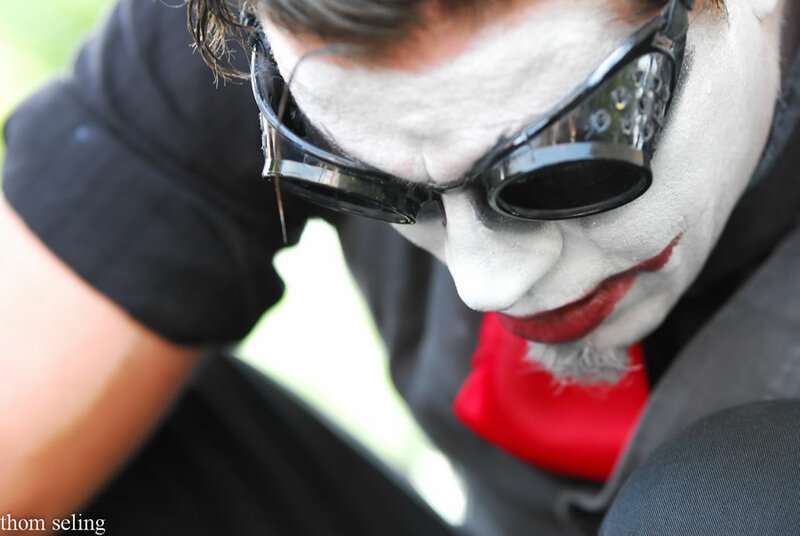 This unique angle is a new approach to seeing the broad picture of stage shows. 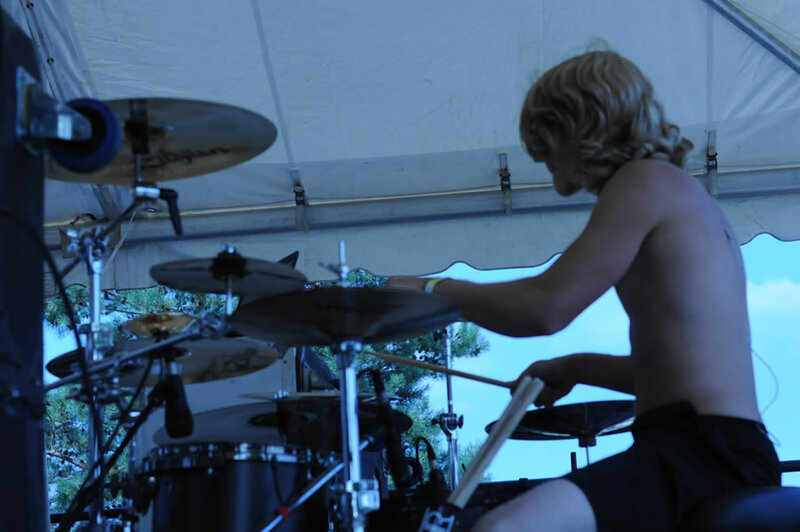 Hopefully some of the footage will surface soon. 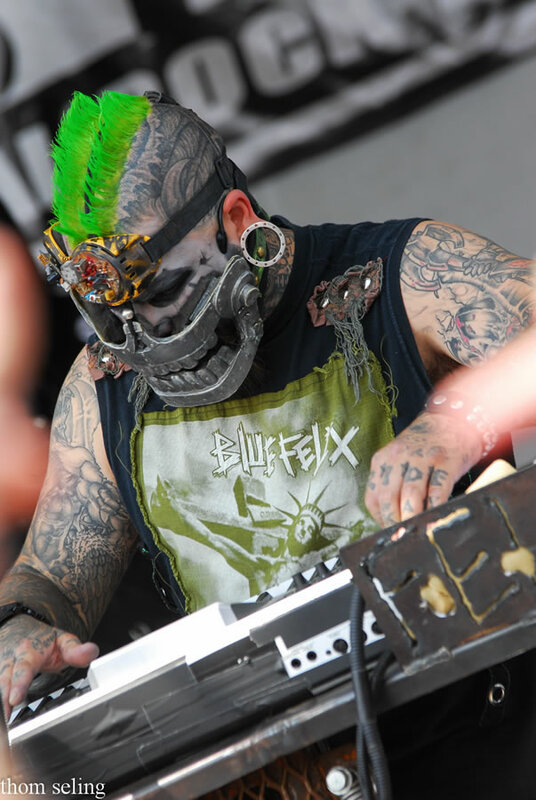 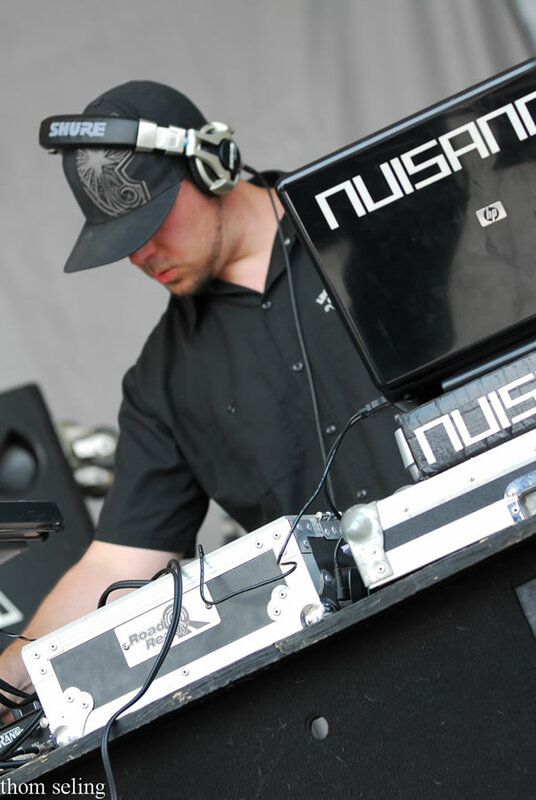 Sid Wilson took the Ourtunez main stage premiering his new remix of Slipknot’s new song The Negative One. 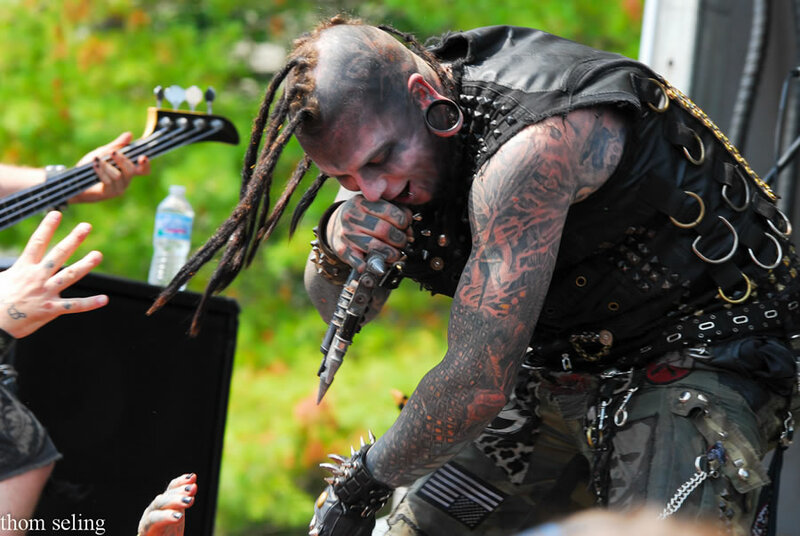 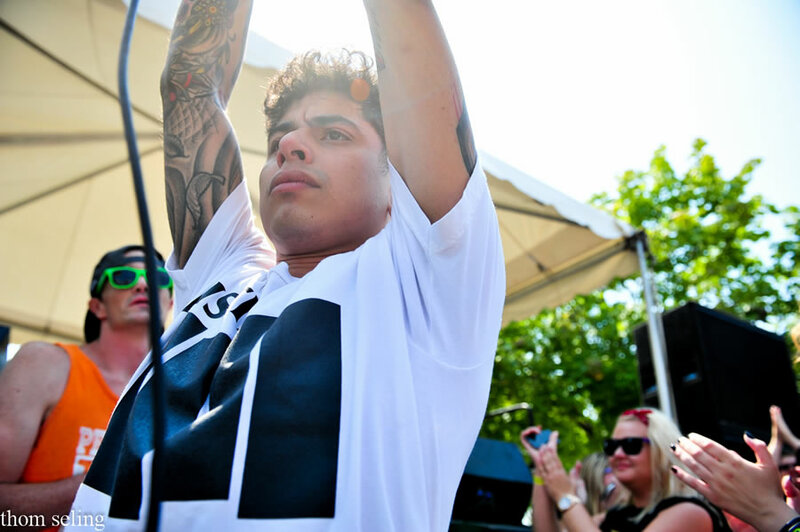 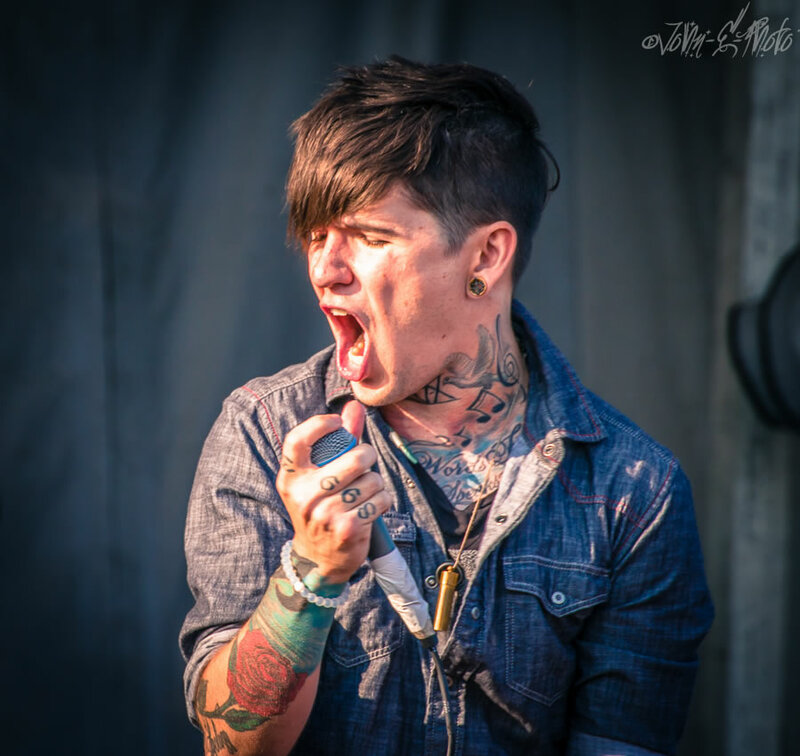 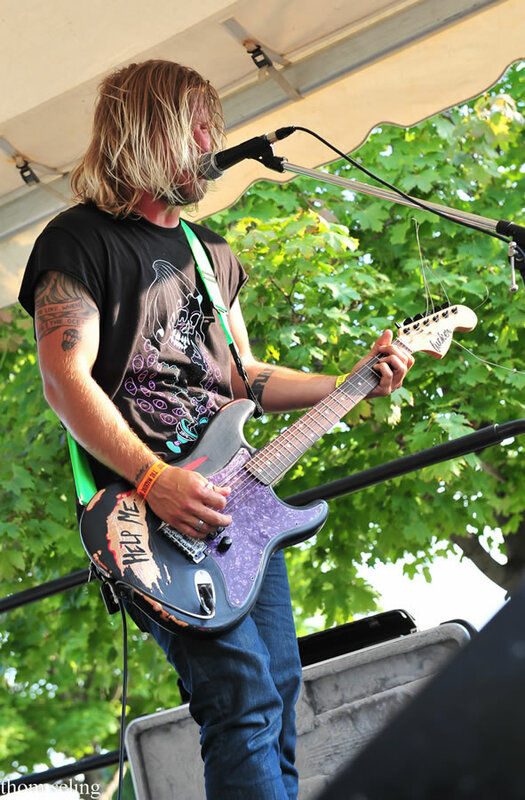 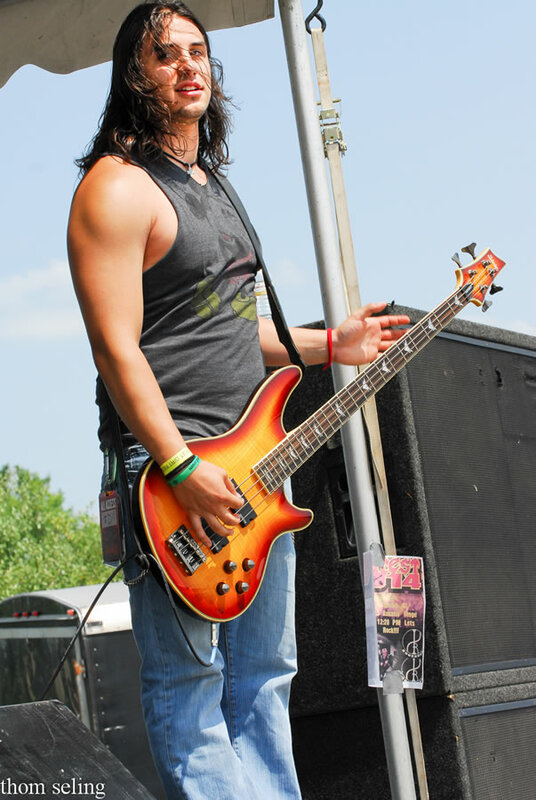 He was featured at the Inkaddict’s tent and signed autographs and hung out with fans most of the event. 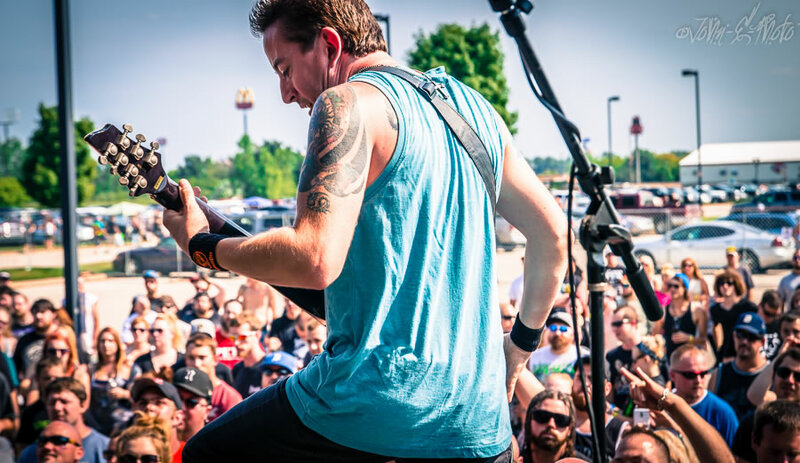 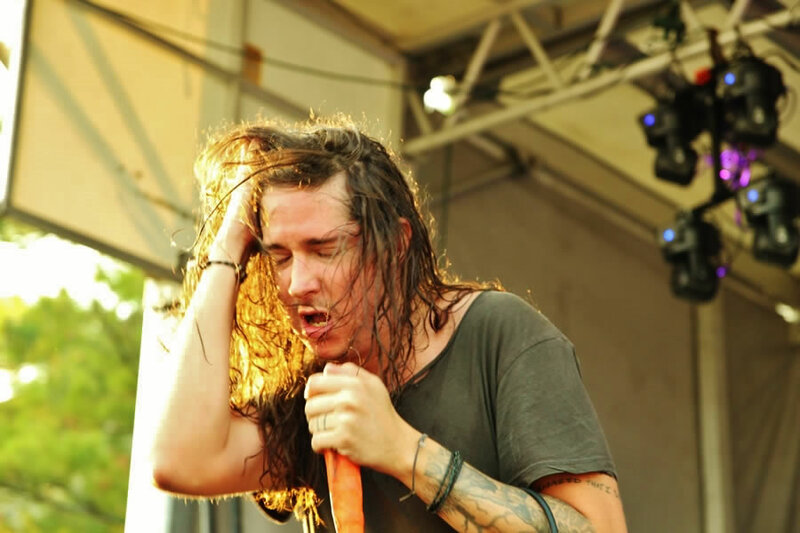 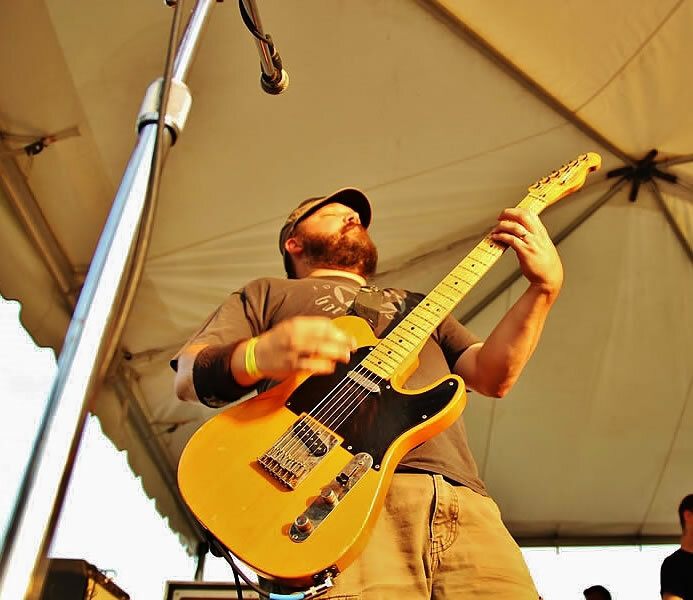 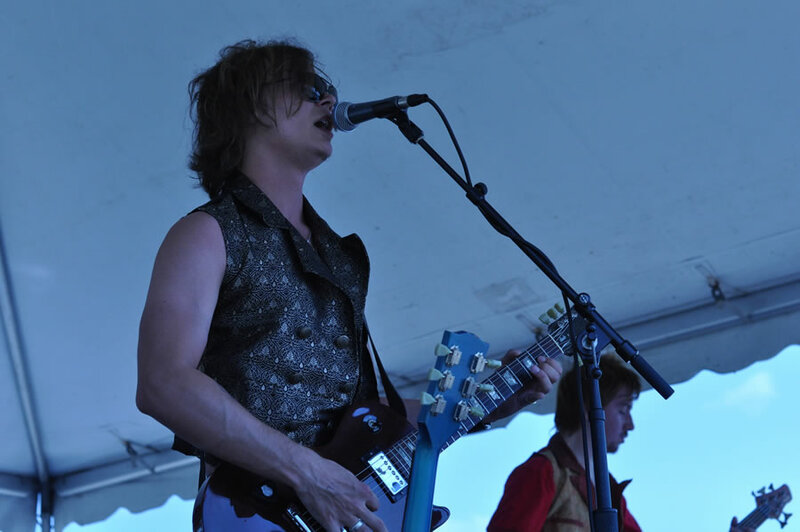 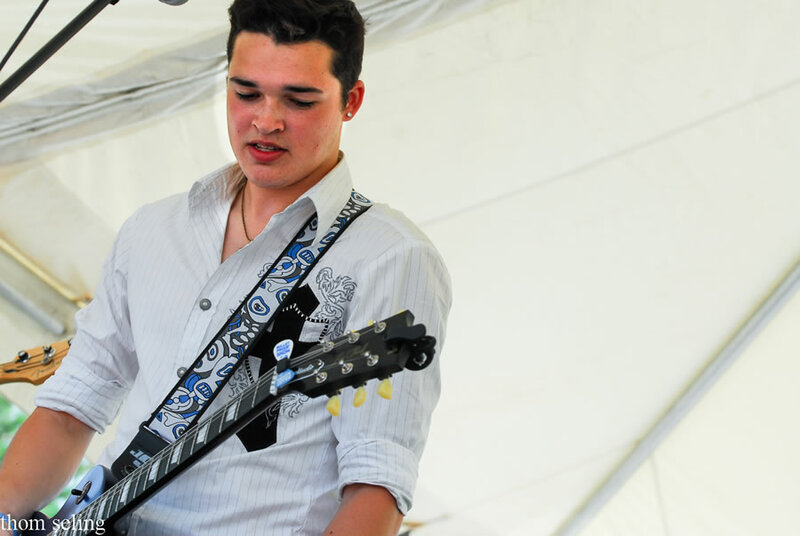 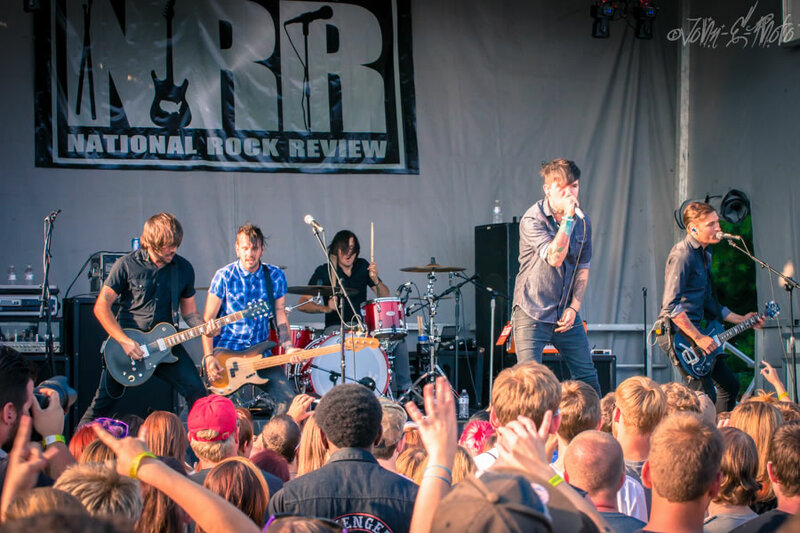 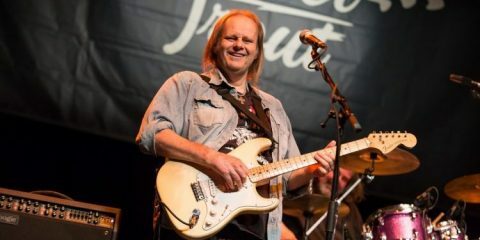 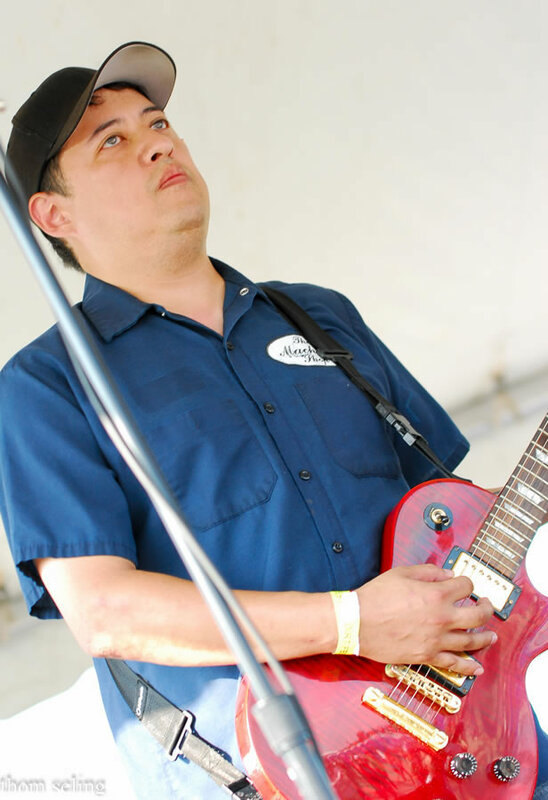 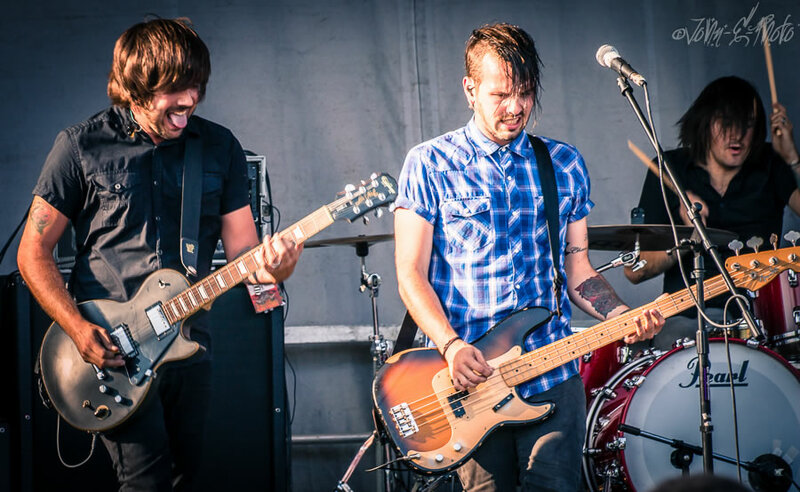 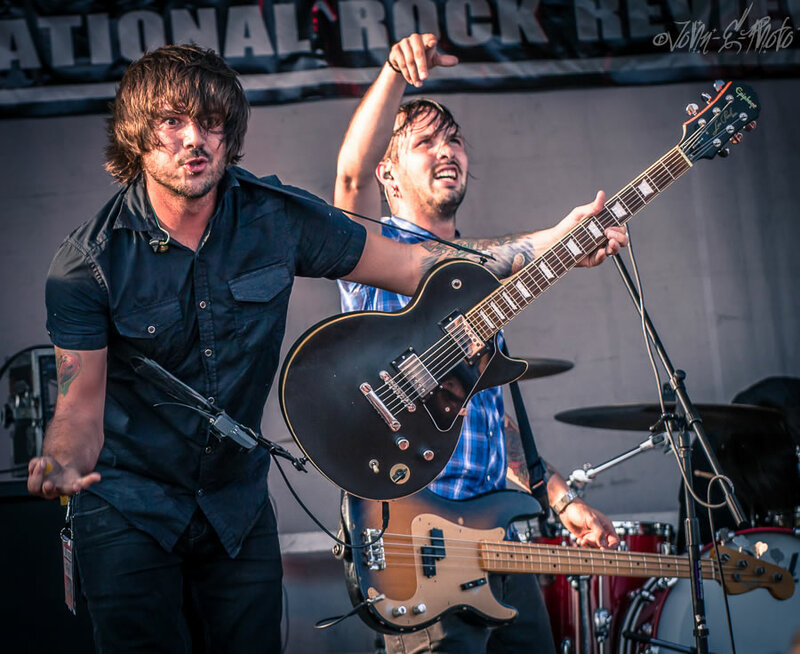 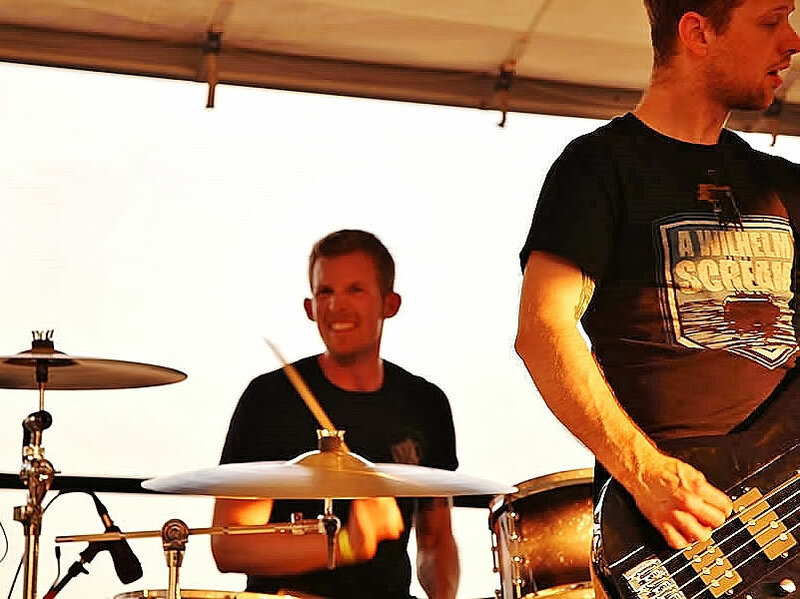 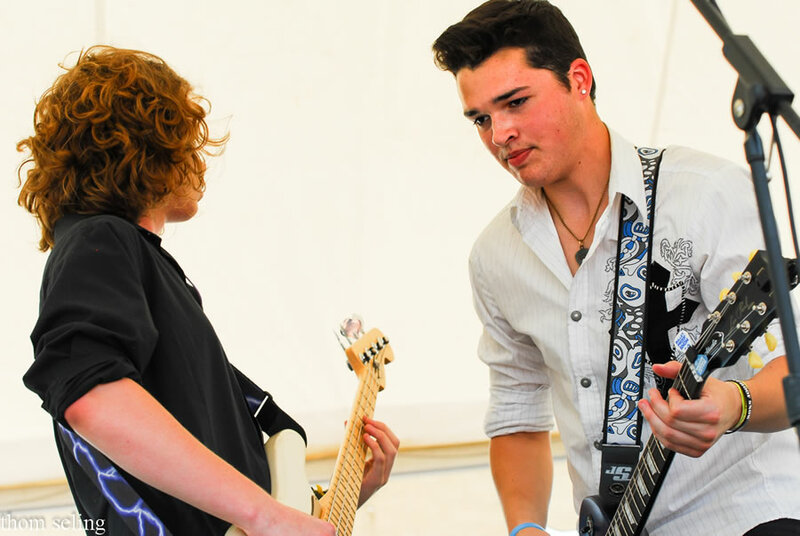 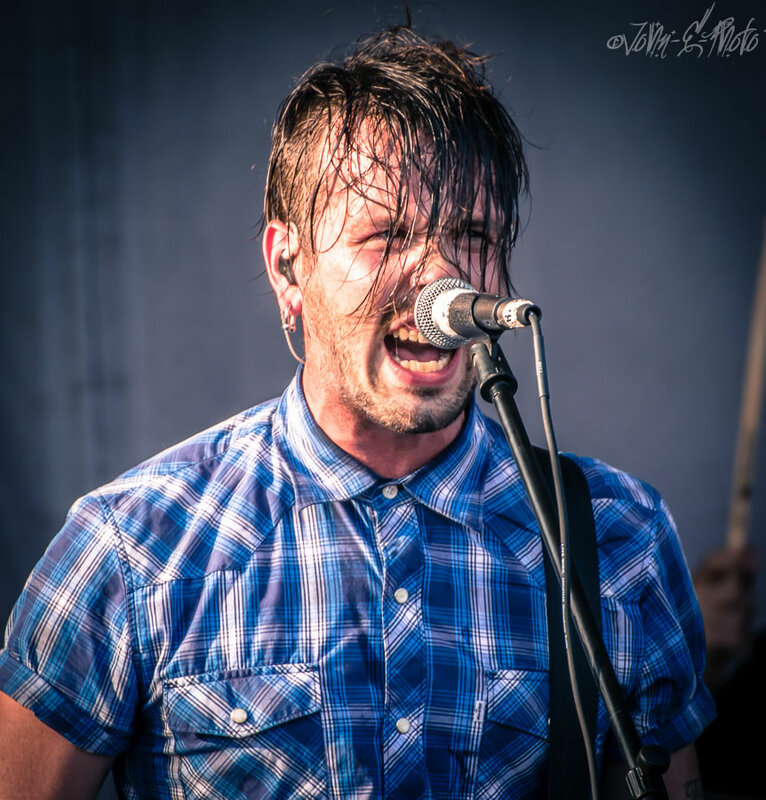 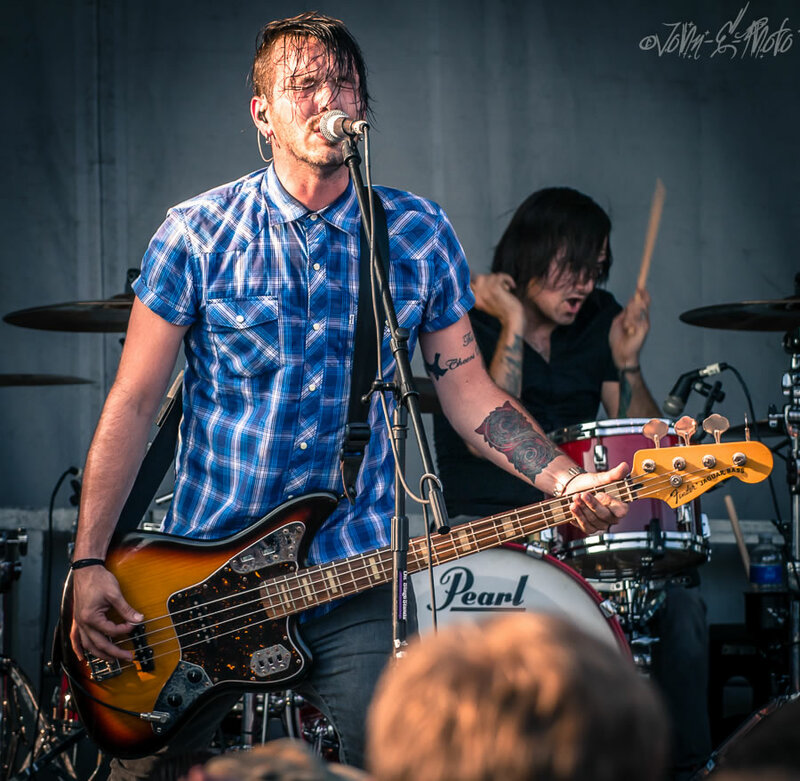 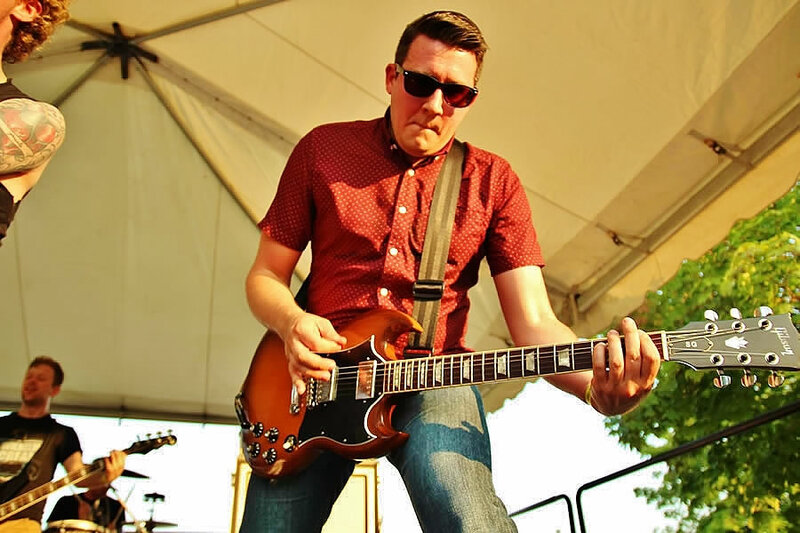 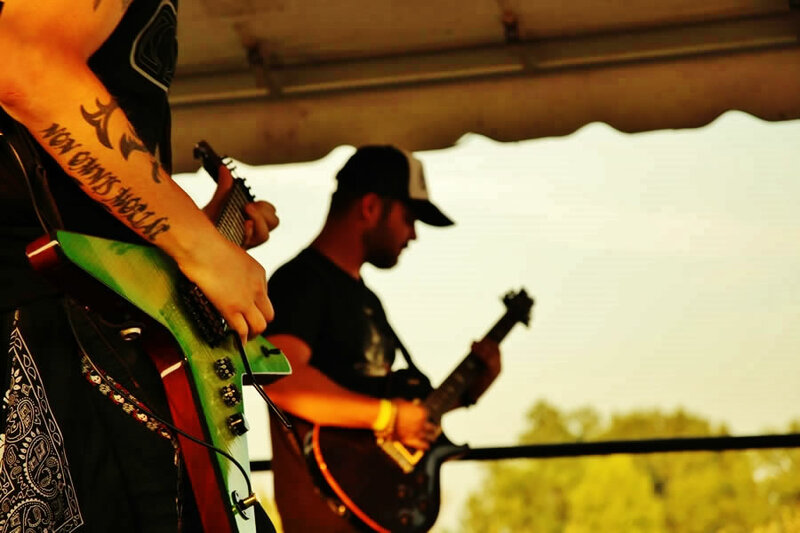 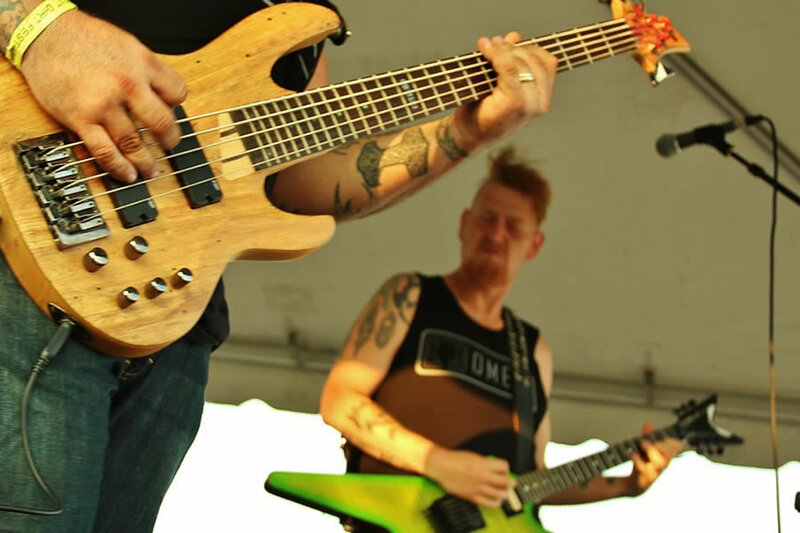 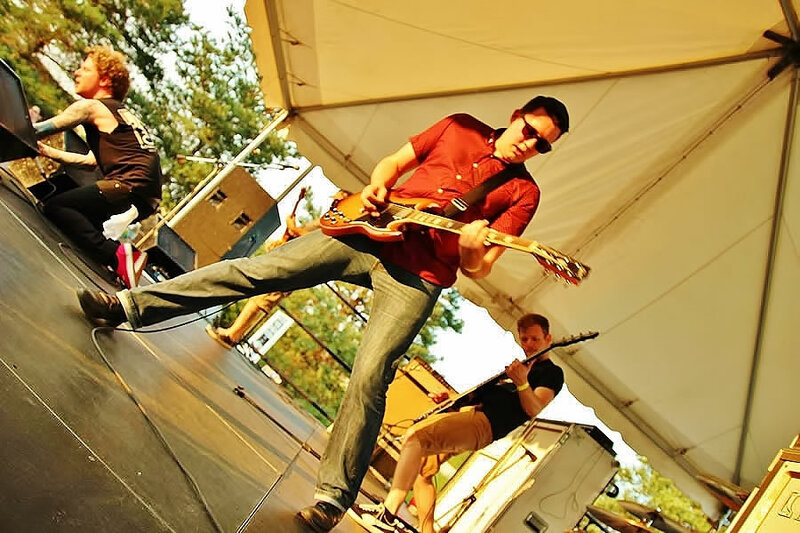 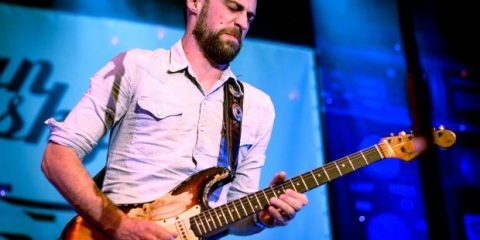 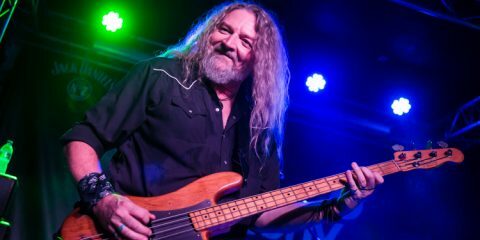 Bands traveled from all over the country and many from previous performances the night before, but every artist bled on the six stages at Dirt Fest making it another successful year and more memorable than the last. 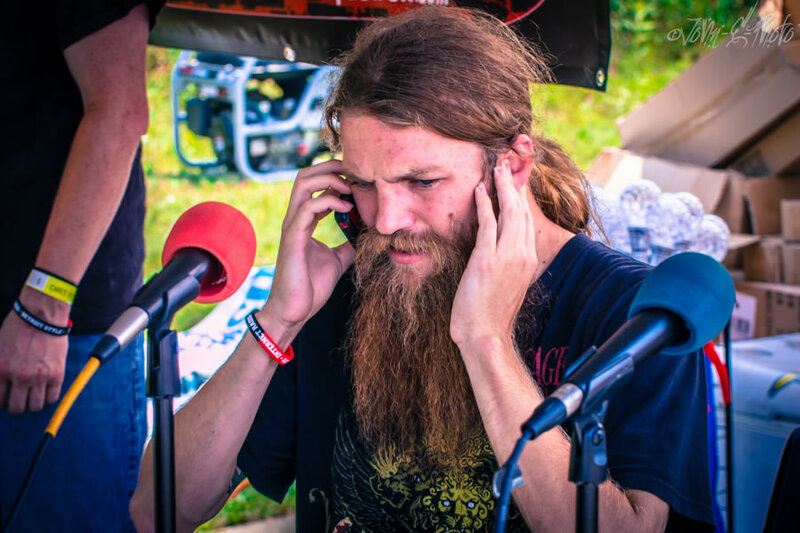 Our photographers, Thom Seling, Steve Sergeant, Eric DiRezze, John-e, Chuck Marshall, Mark Skinner, Josh Kahl, Kelly Rosner, and Dave Ball were on site capturing Dirt Fest. 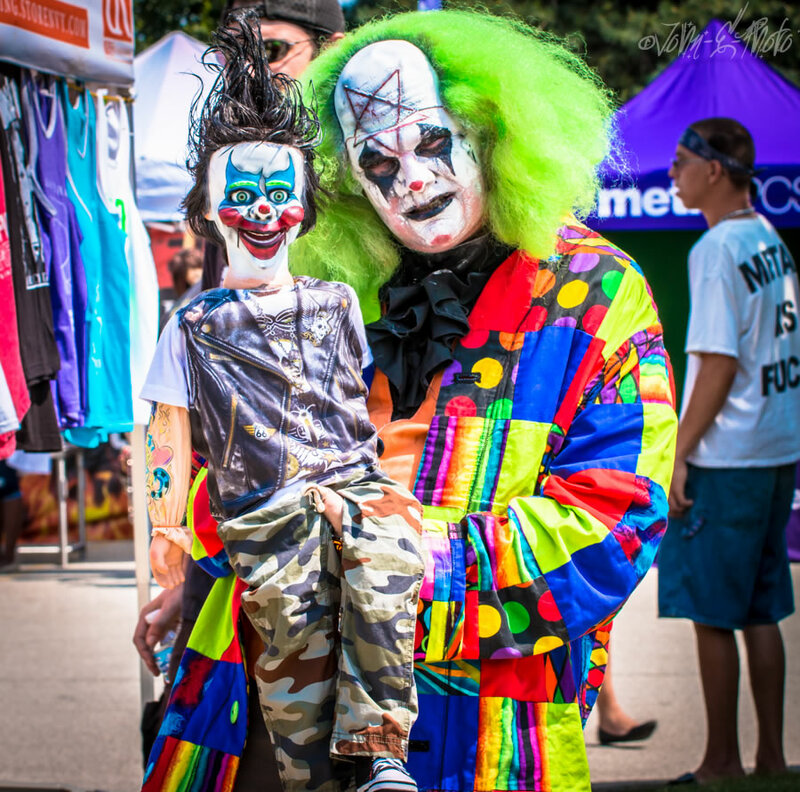 EDITOR’S NOTE: Due to the size of this festival event, we were unable to collect all of the photo’s in time for publication. 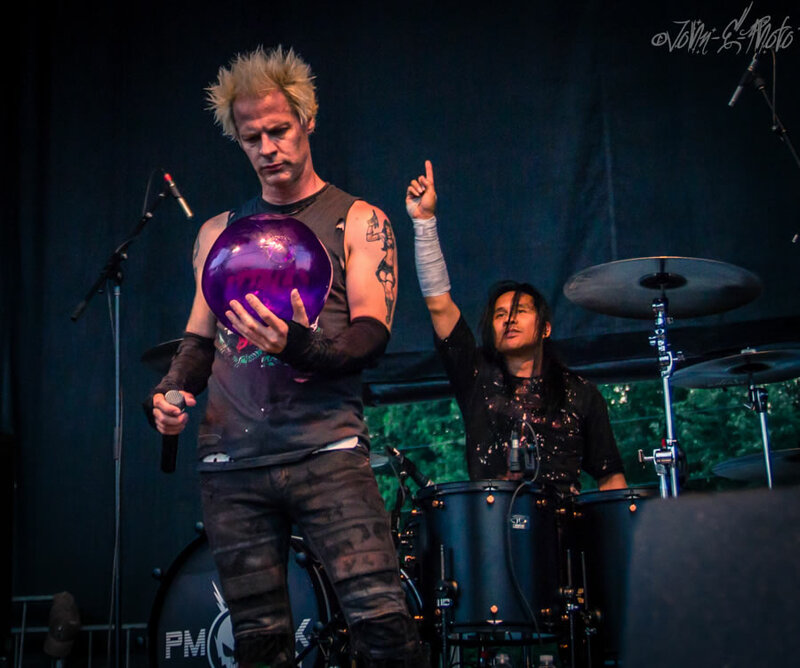 Instead of waiting any longer, we have included all available and will be adding more pics in the comming days, so check this article again for updates. 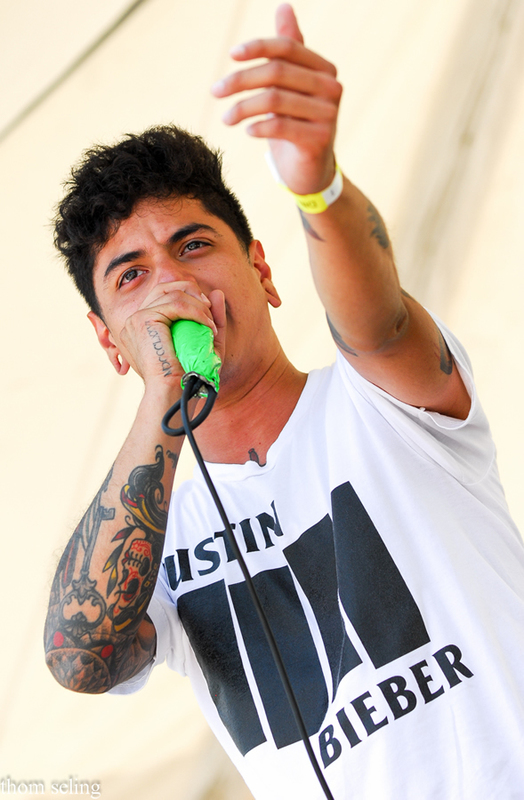 Born and raised in Phoenix, Arizona now in Texas, with a B.A. 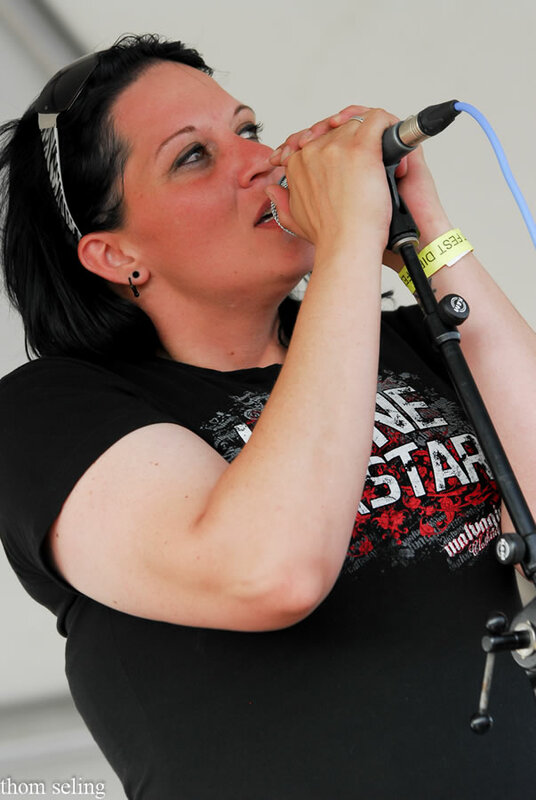 in Journalism, Shannon has experience with behind the scenes and on stage. 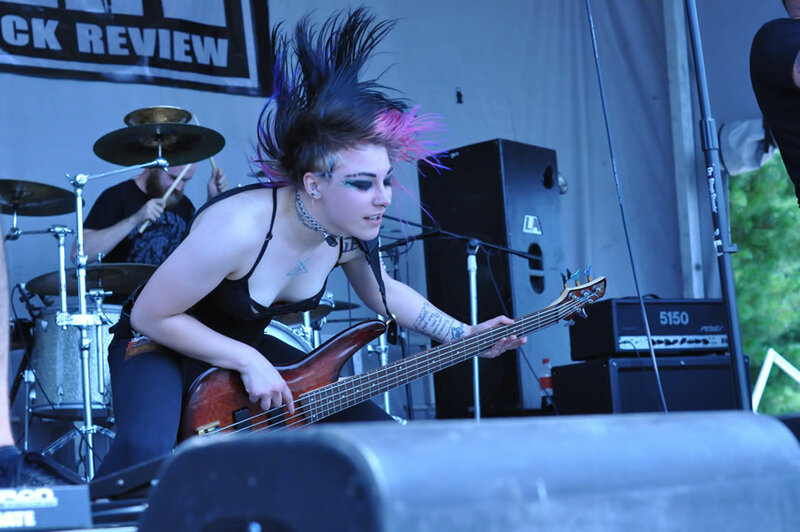 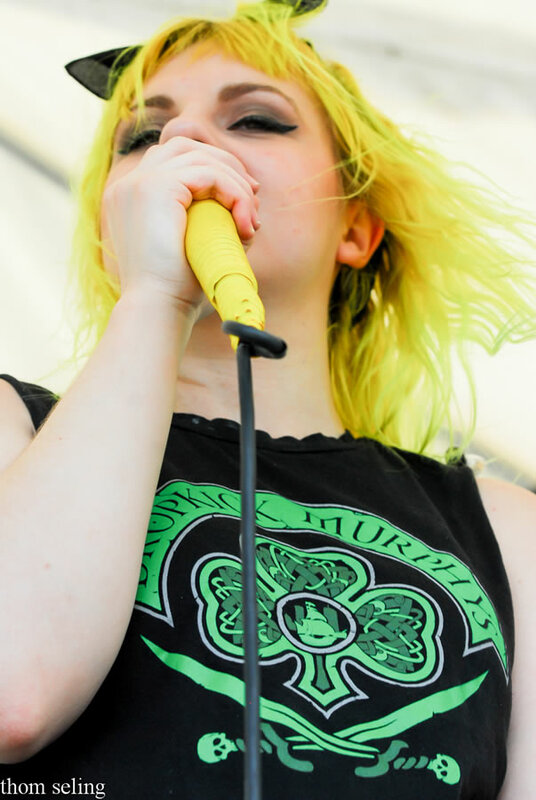 Her background in music stems from her introduction to Heavy Metal at a young age. 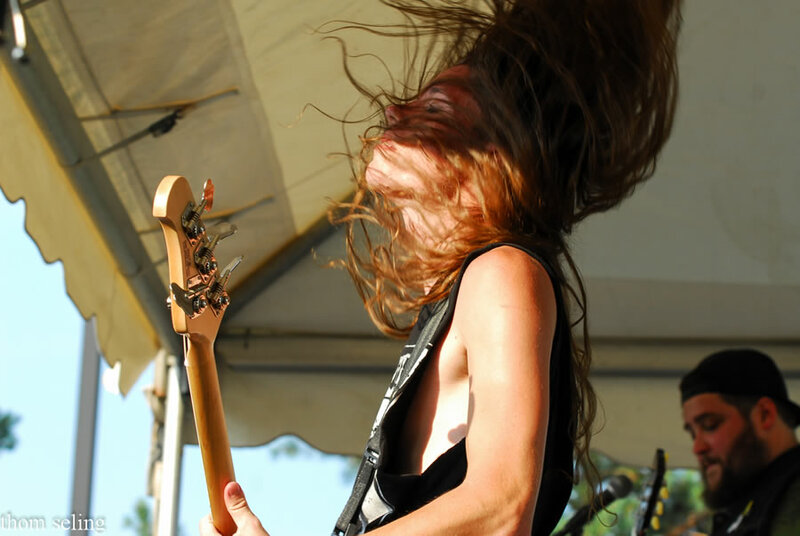 Growing up around the sounds of Ozzy Osbourne, Pantera, Megadeth, Aerosmith, and Tool, she acquired an obsession for information on these bands and the stories they had to tell. 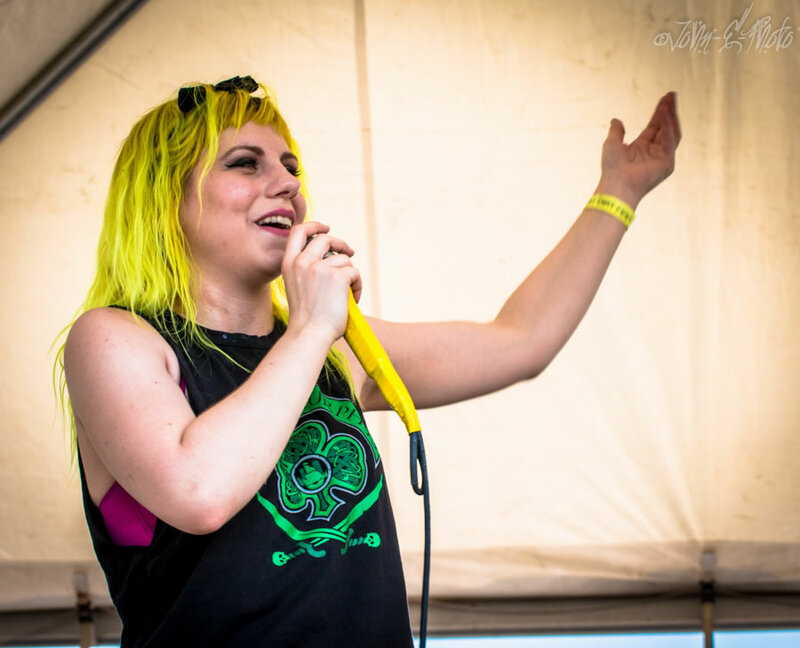 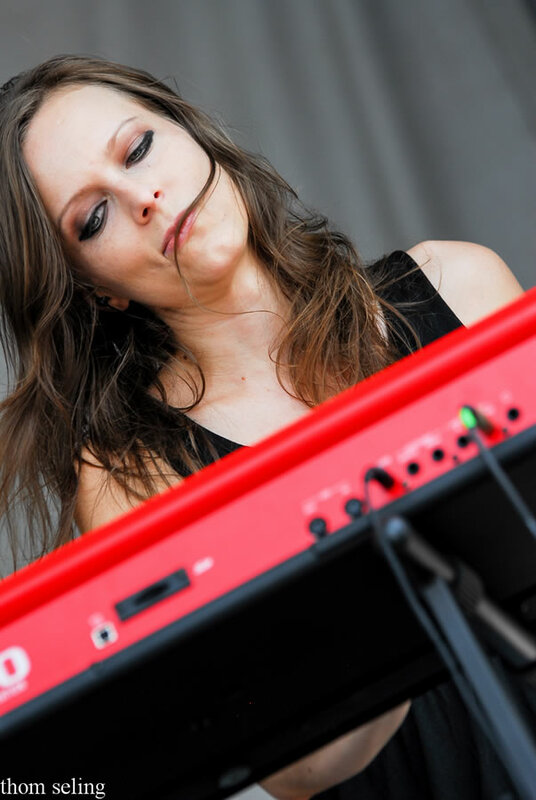 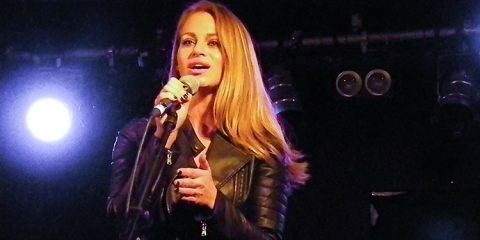 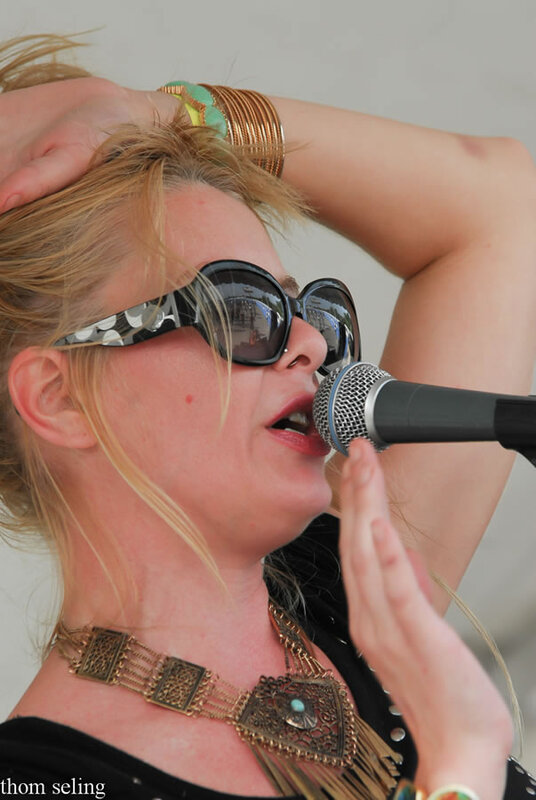 Not only that, Shannon found an outlet instrumentally playing flute from third grade into college, and developed vocally through private lessons. 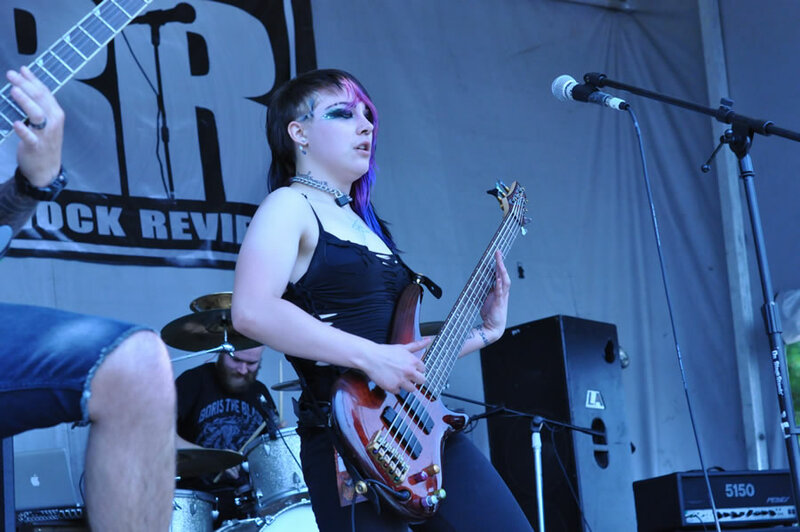 She firmly believes Heavy Metal is a positive outlet and has contributed to her success as a writer and person.